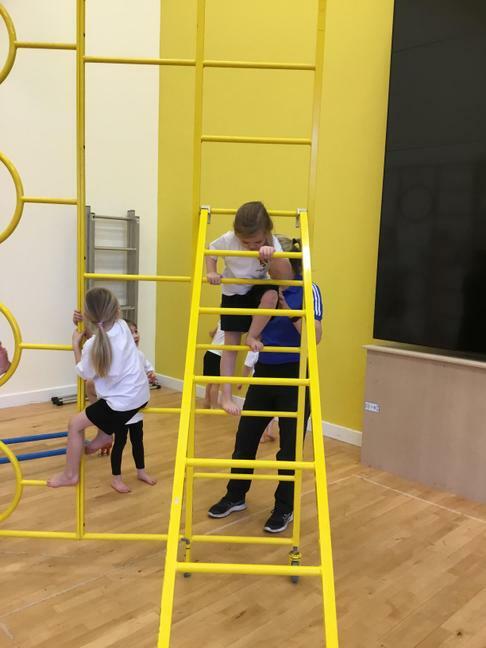 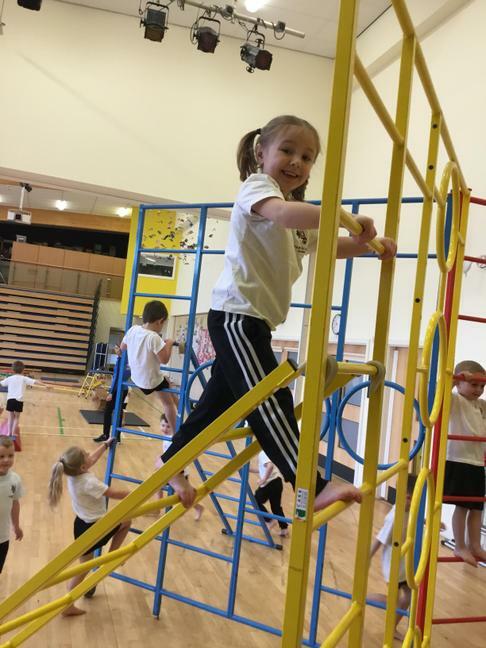 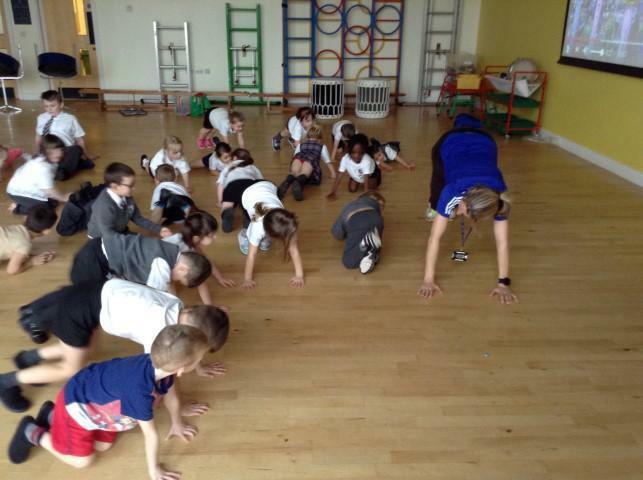 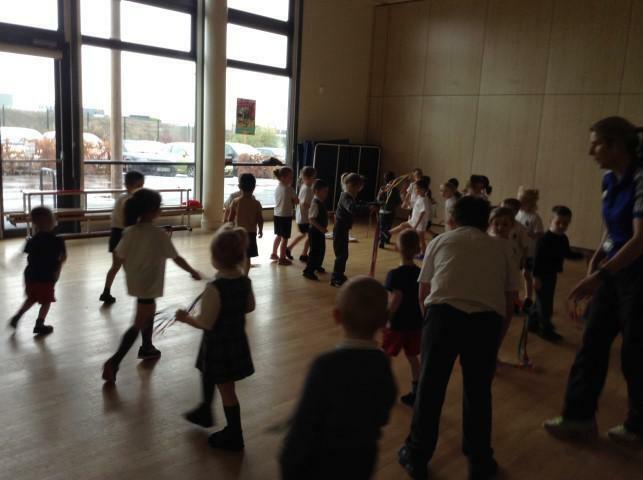 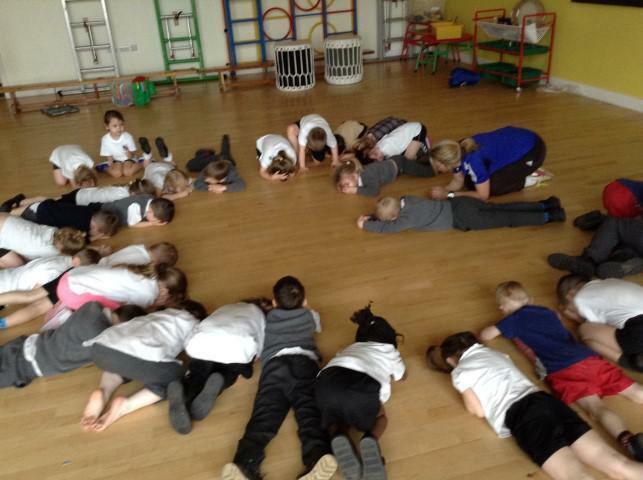 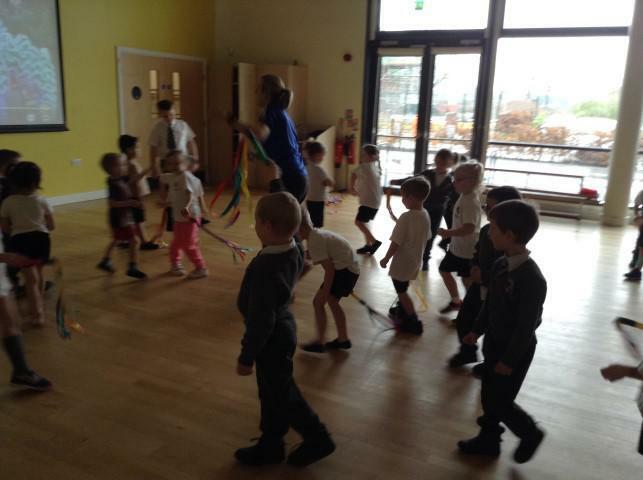 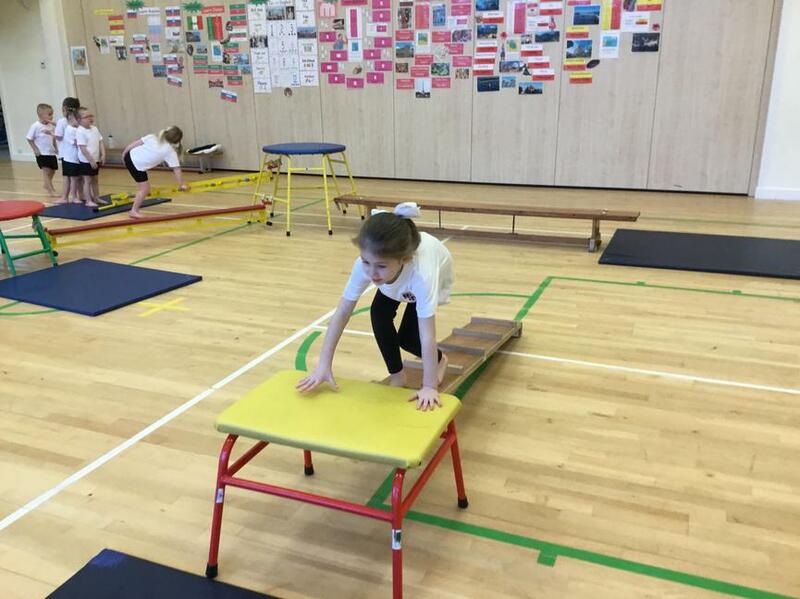 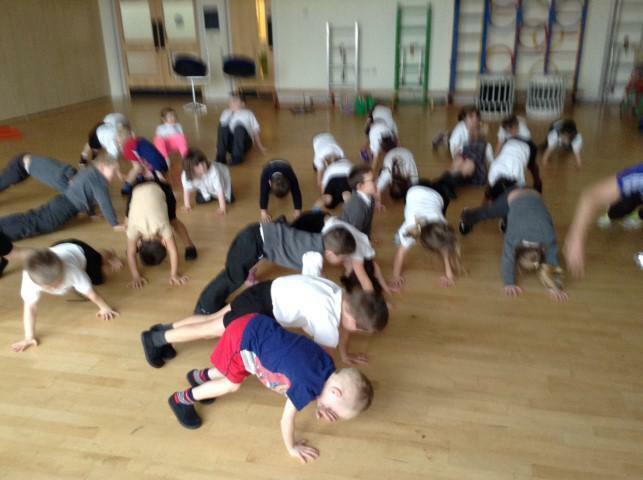 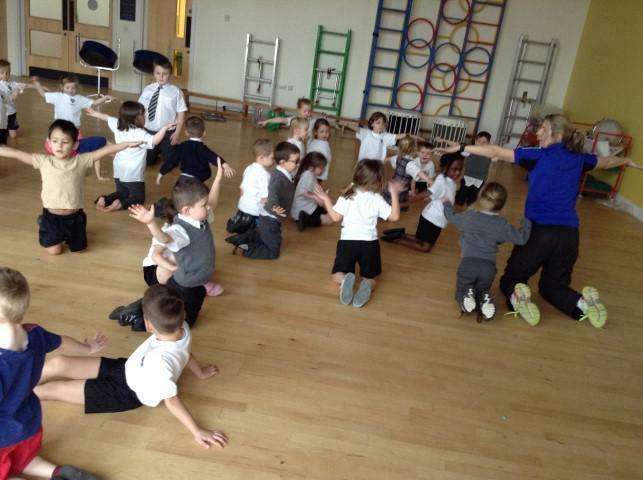 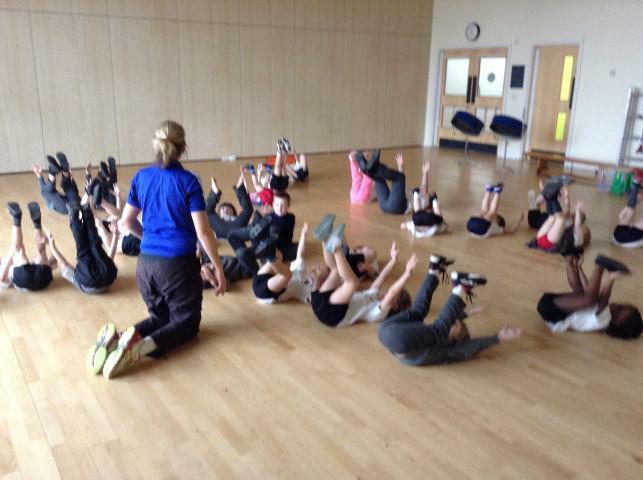 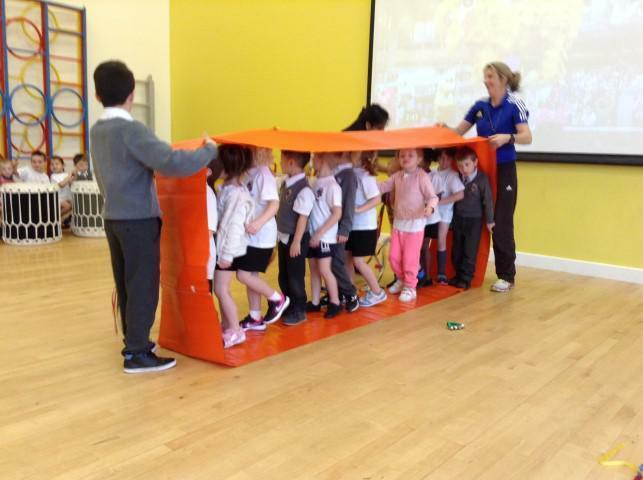 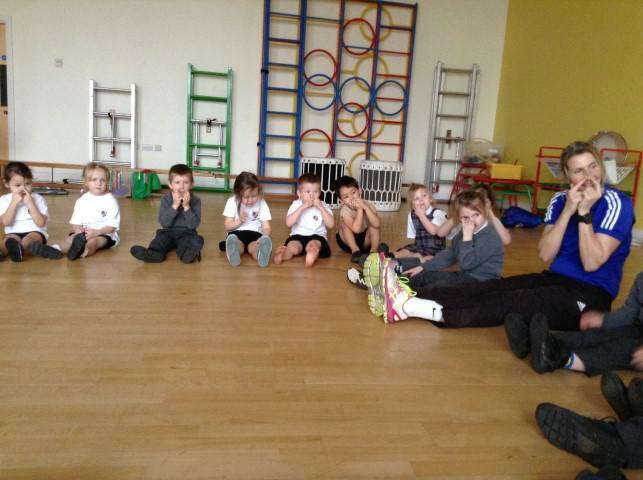 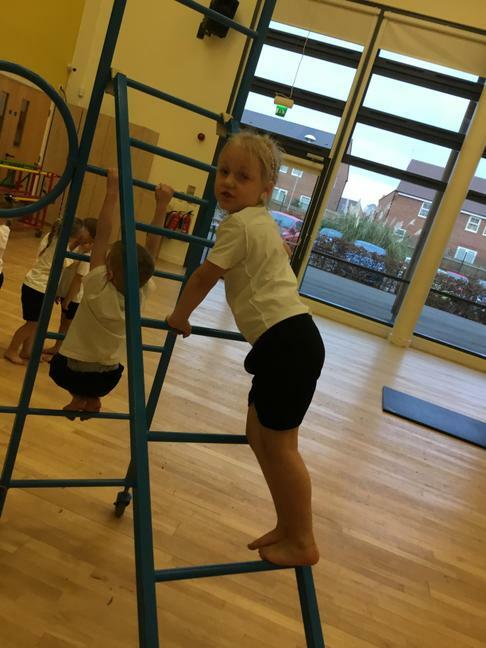 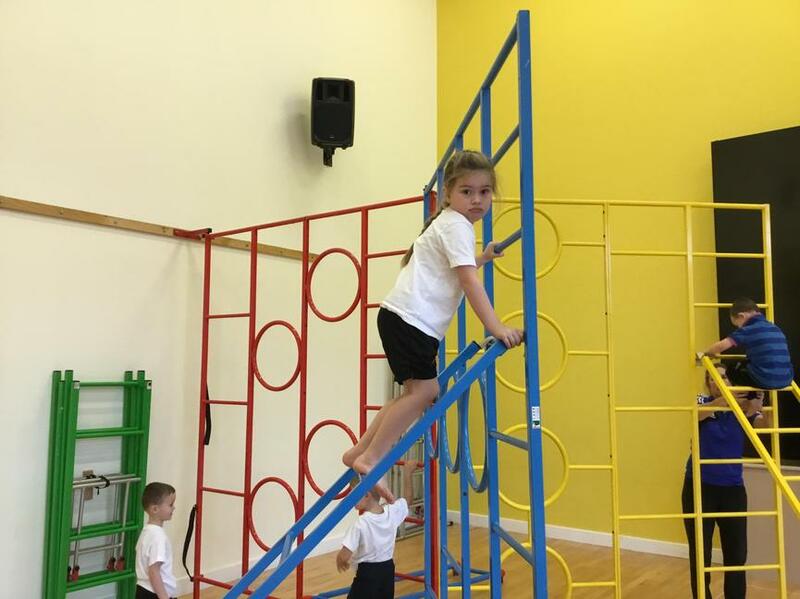 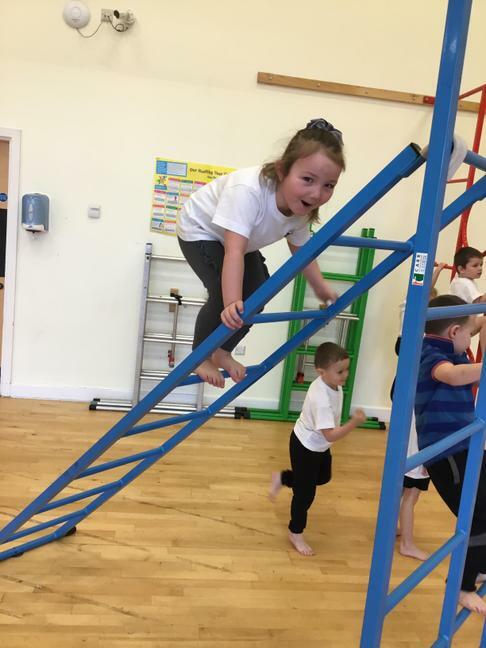 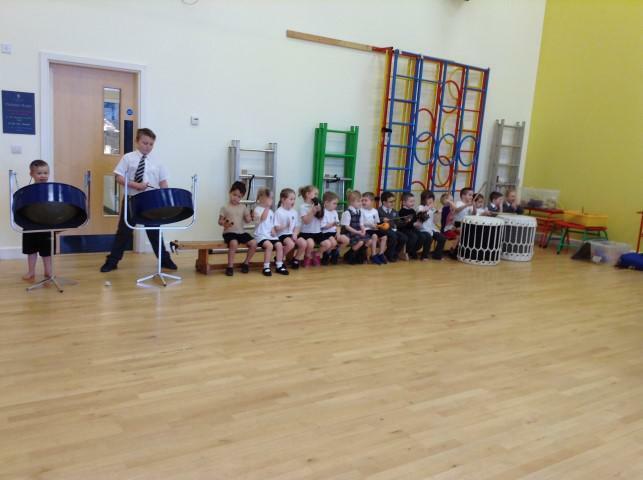 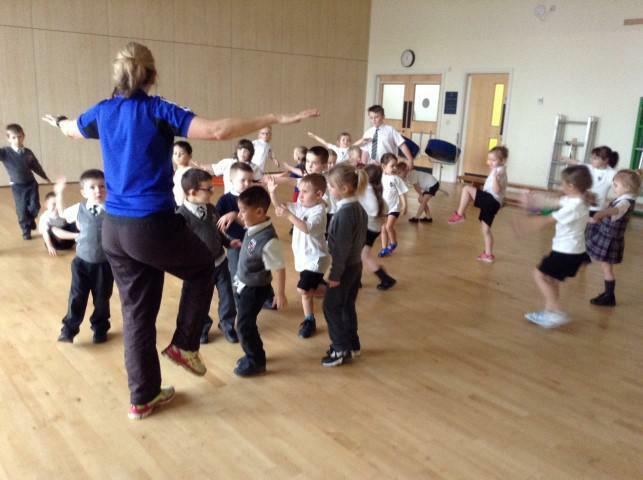 Today in PE we went into the jungle and pretended to be different animals. 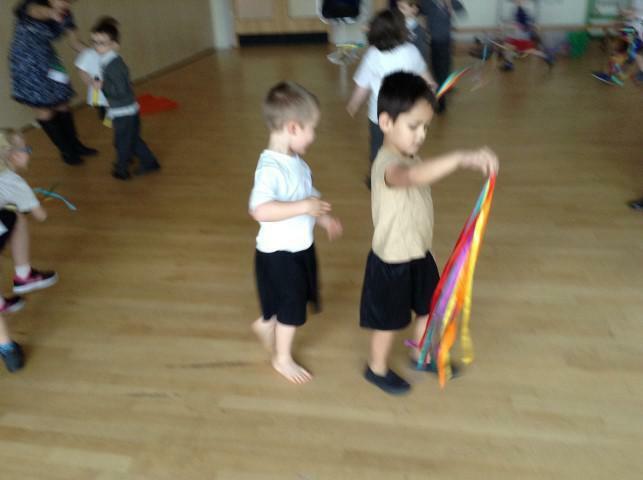 We had to think about the way different animals move and then try to do it ourselves. 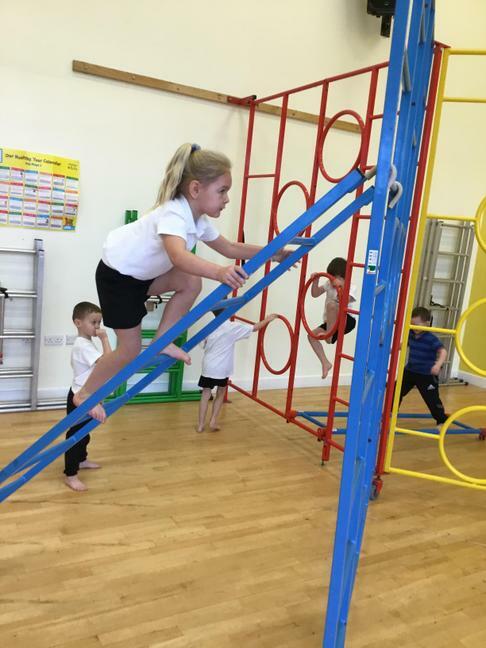 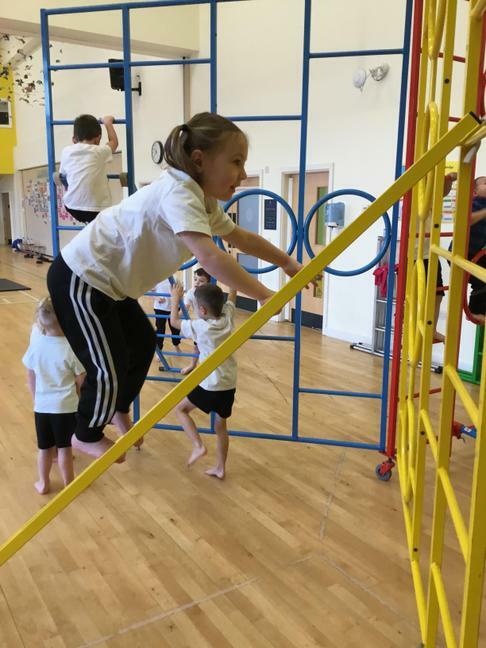 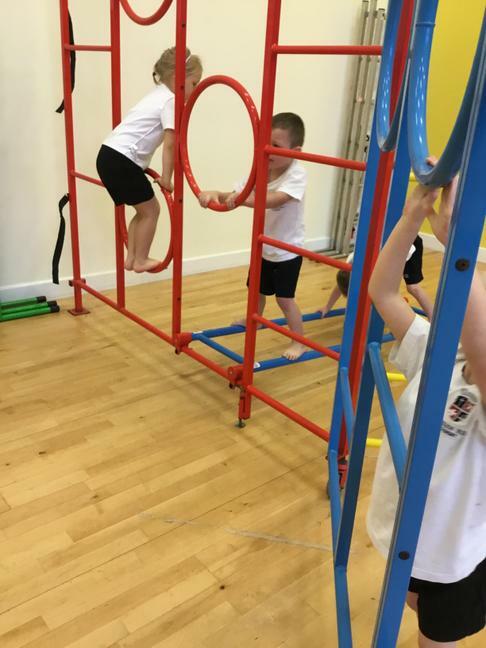 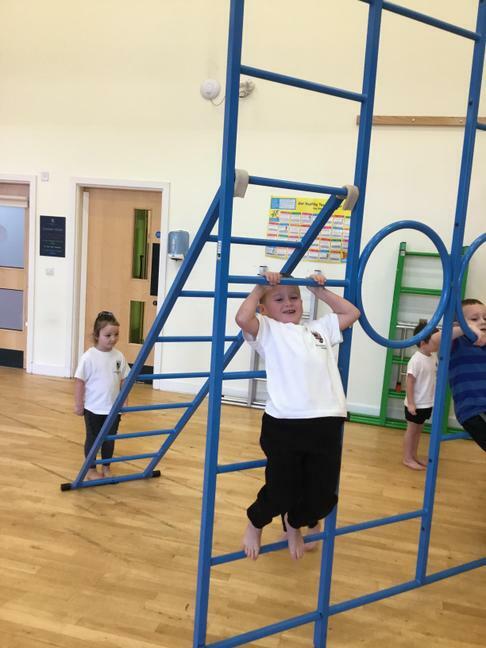 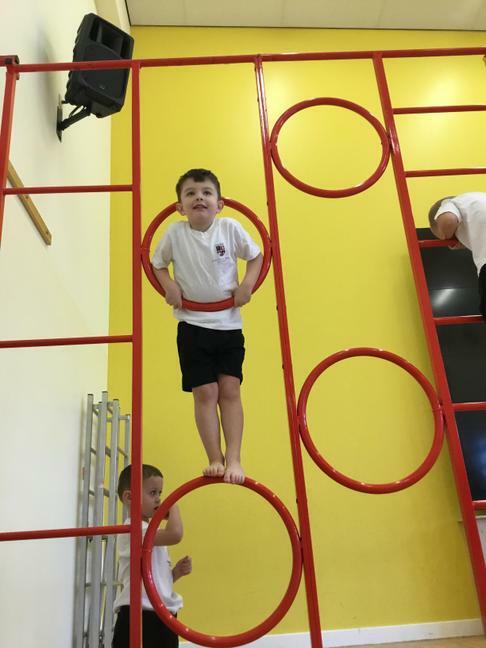 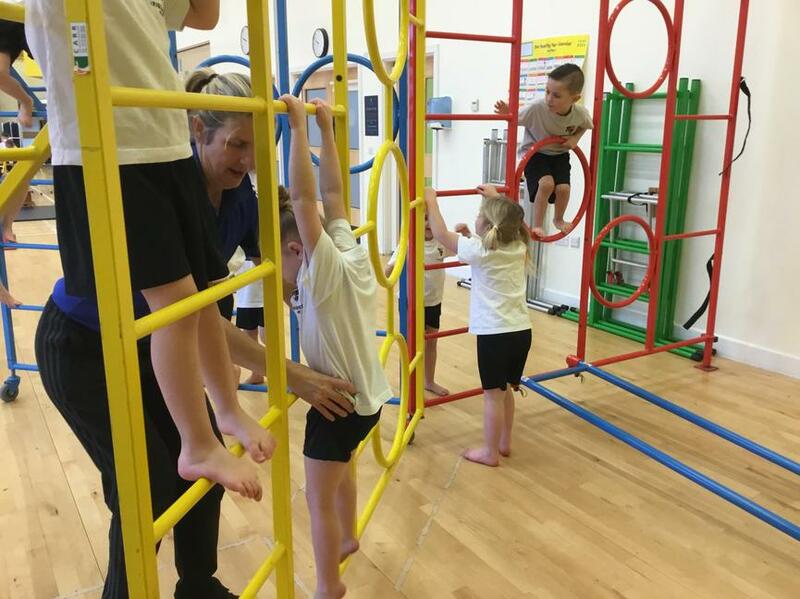 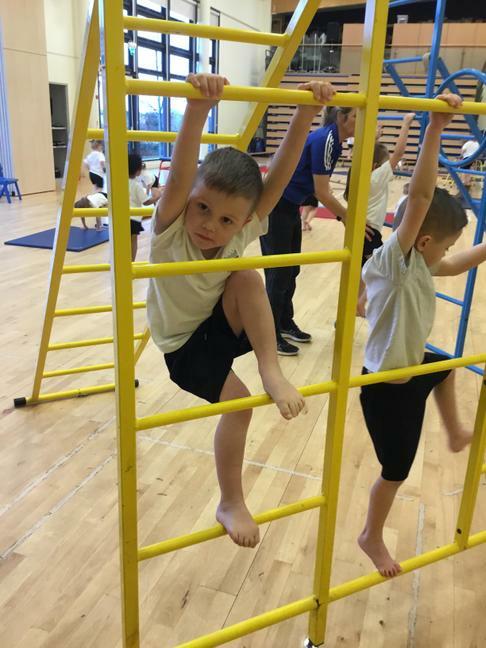 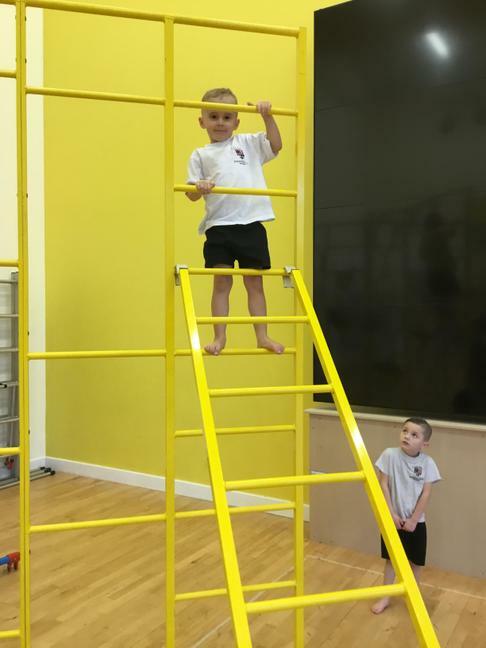 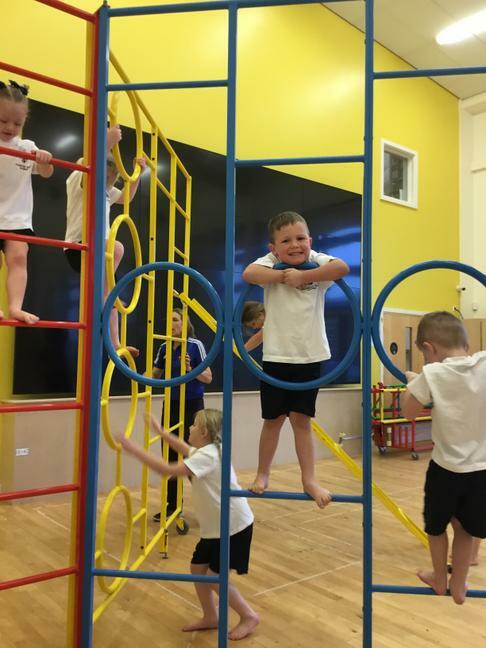 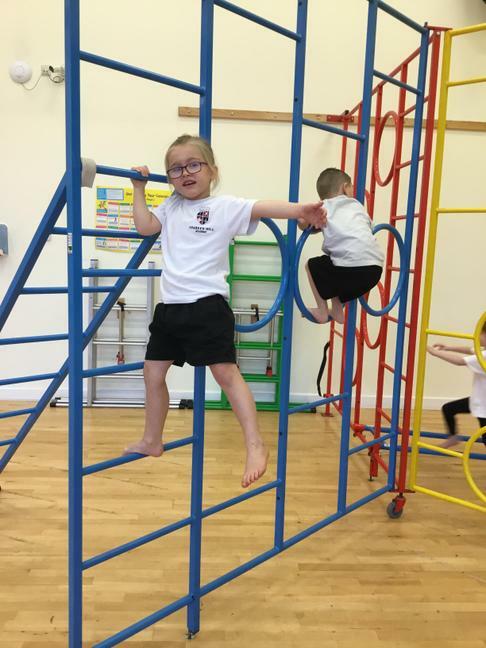 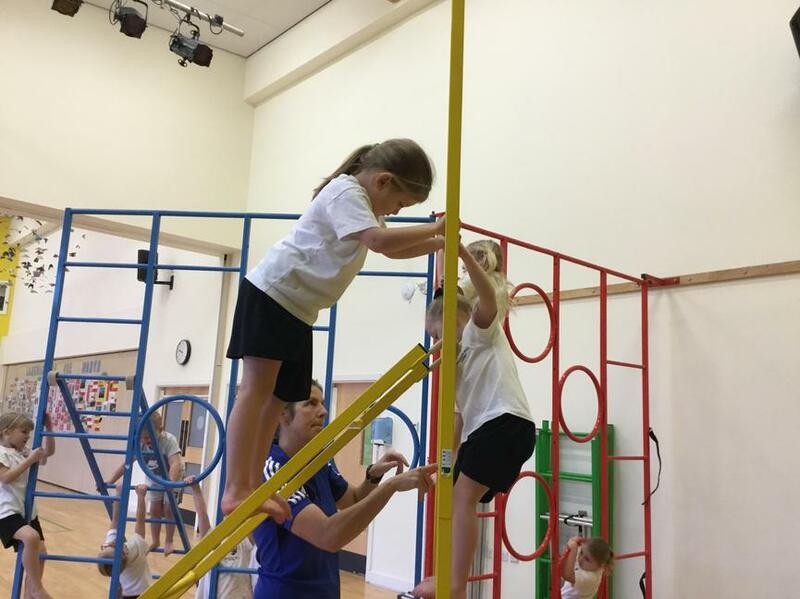 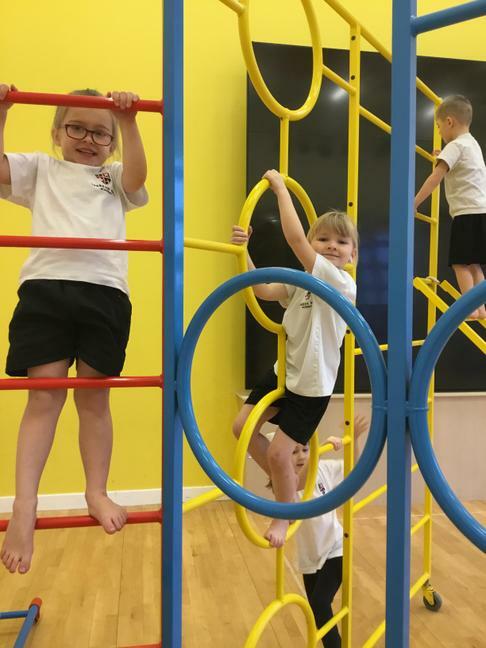 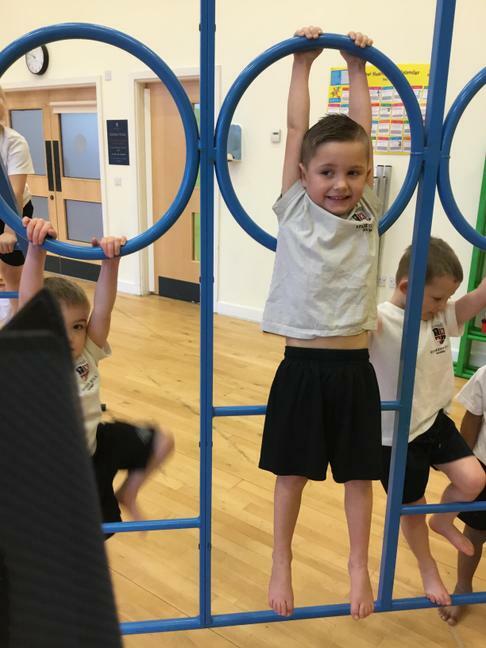 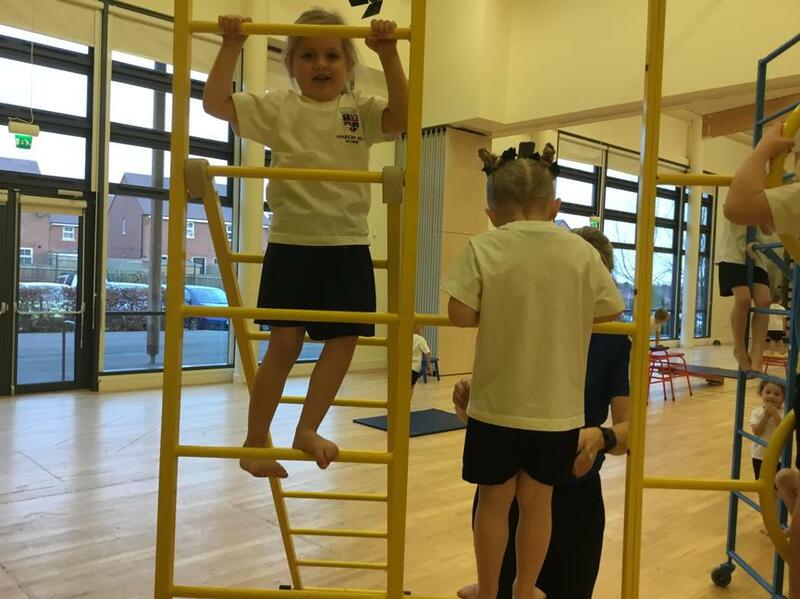 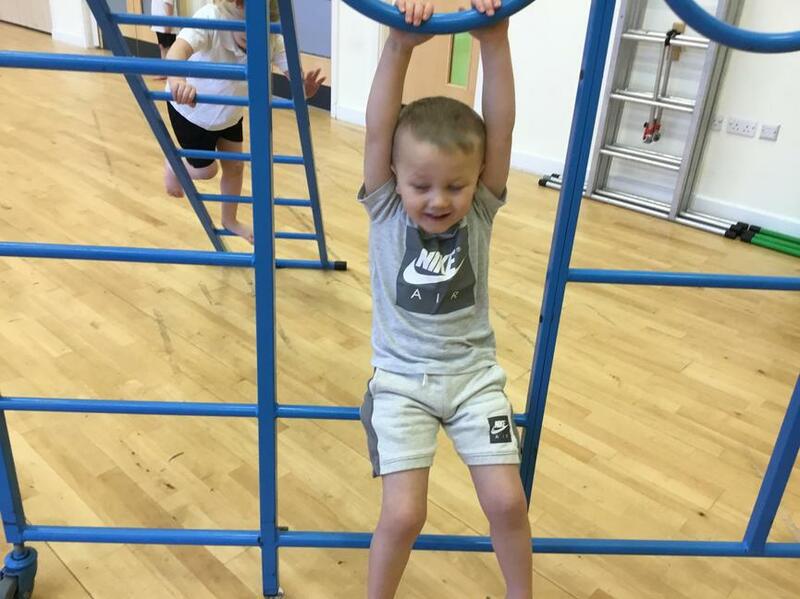 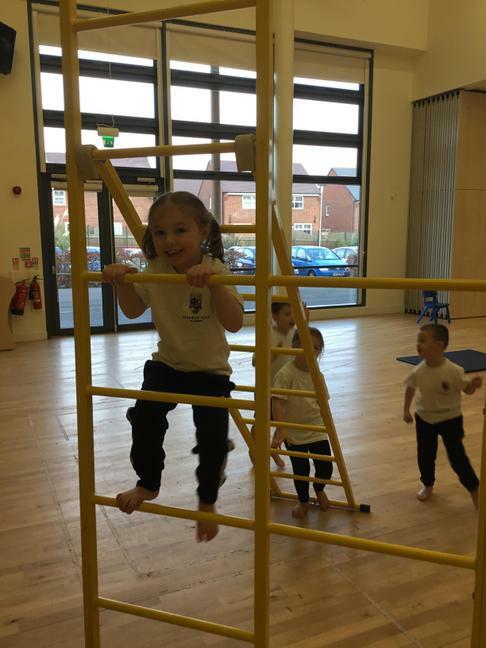 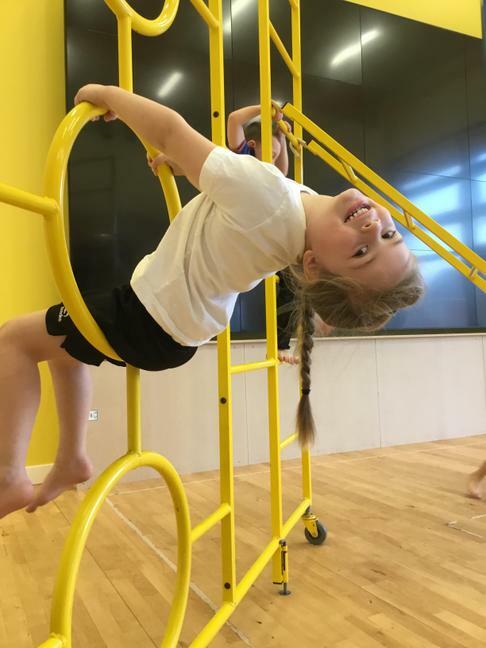 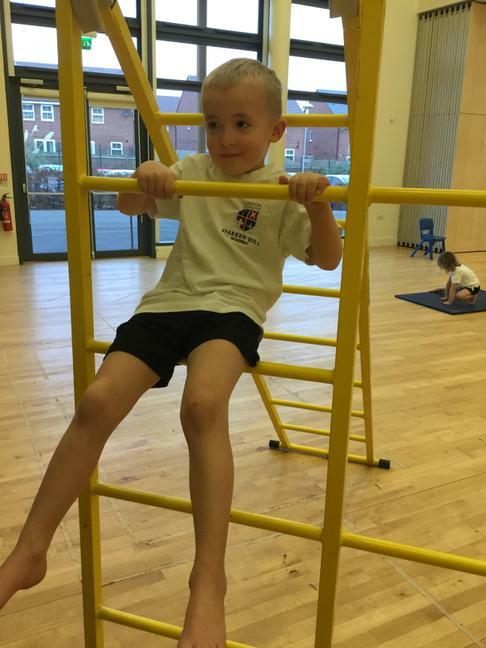 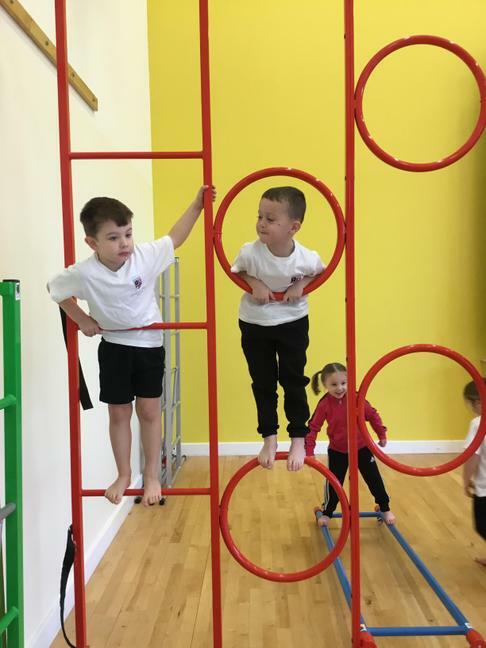 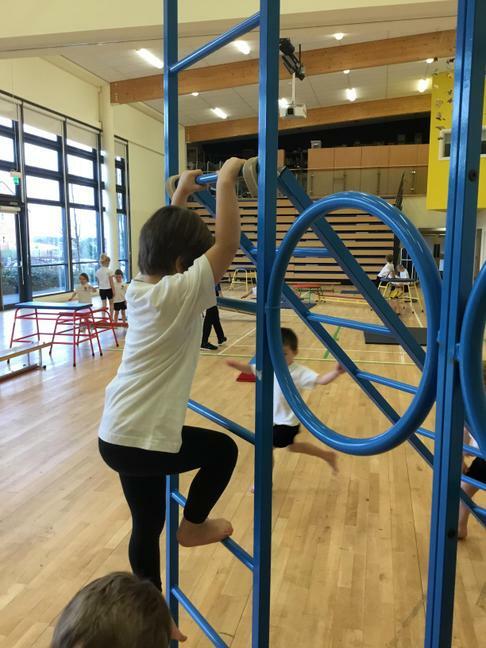 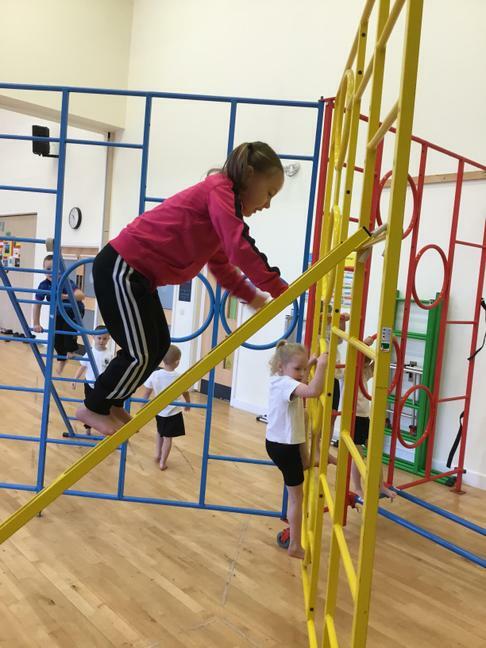 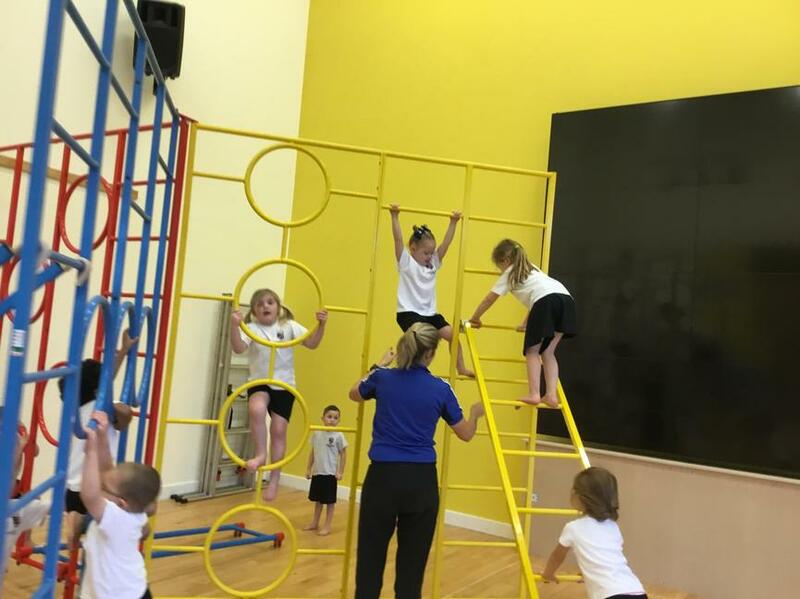 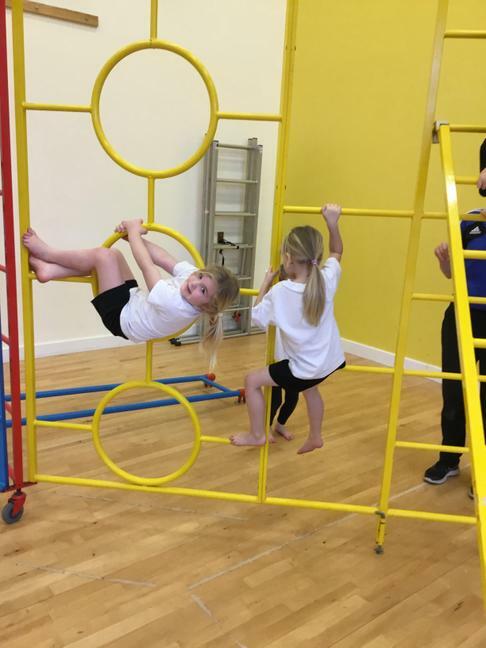 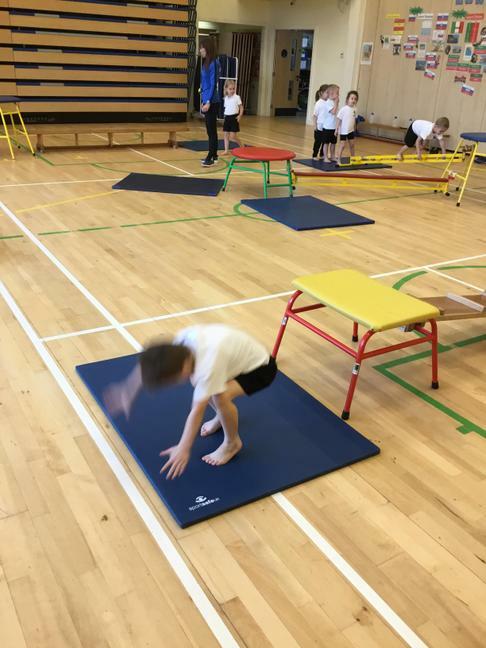 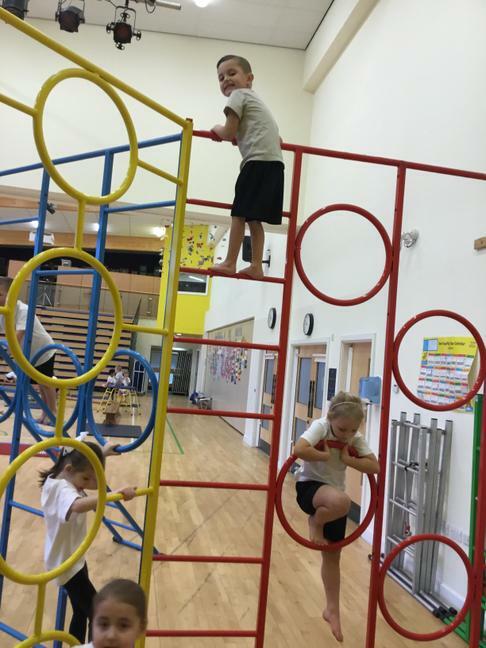 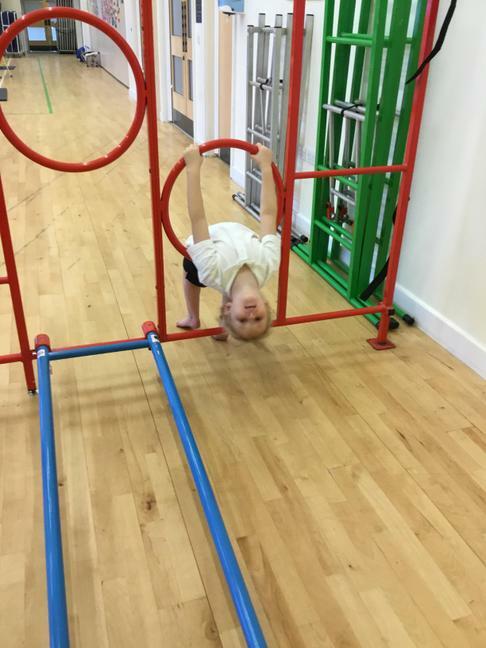 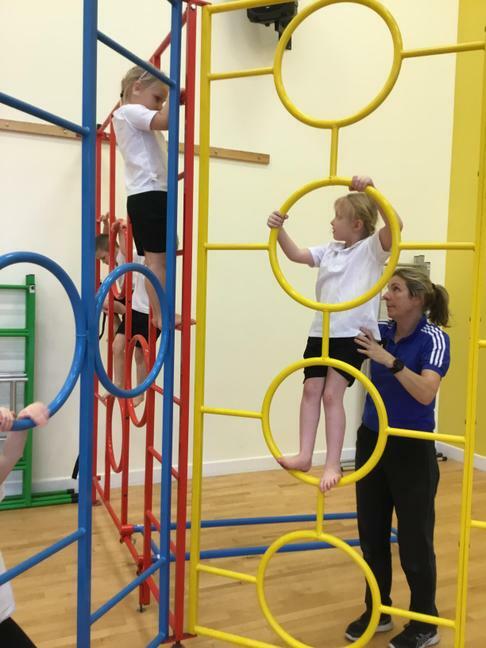 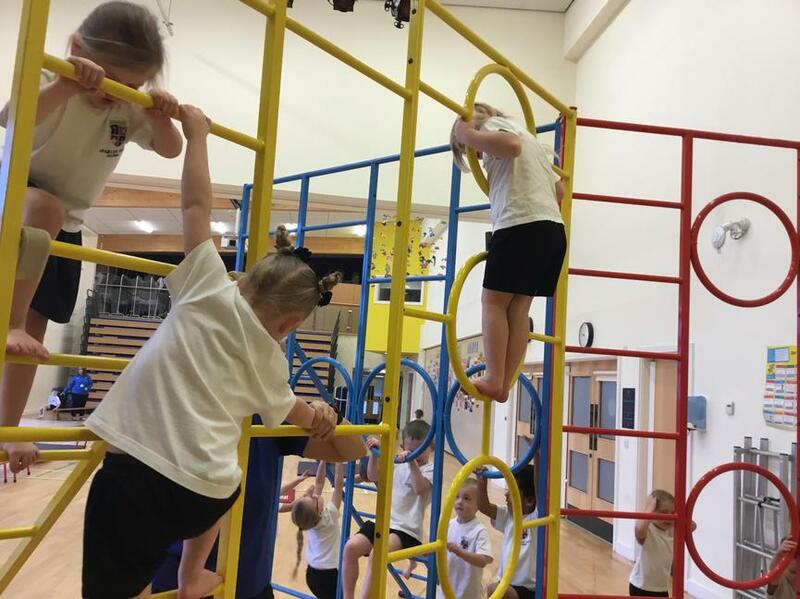 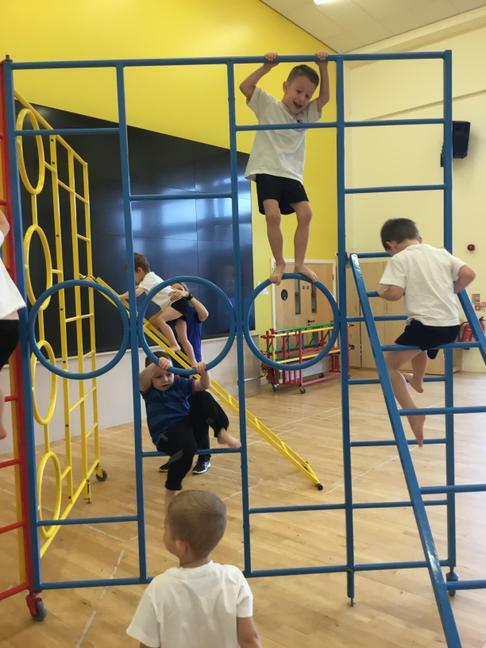 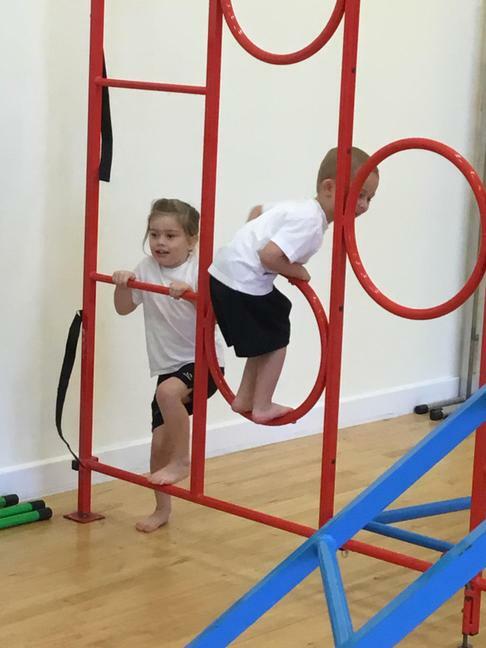 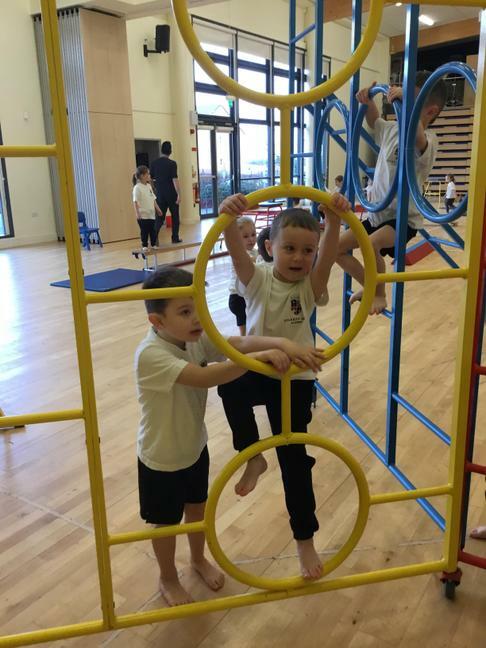 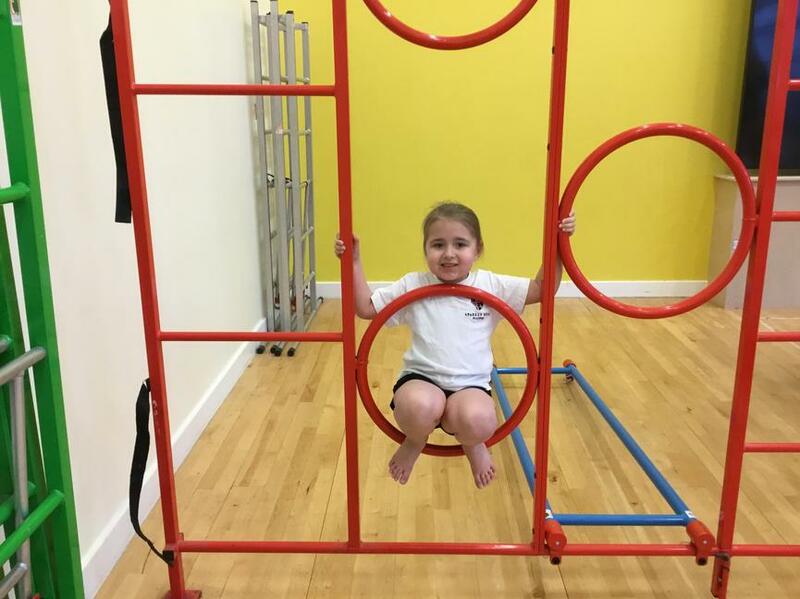 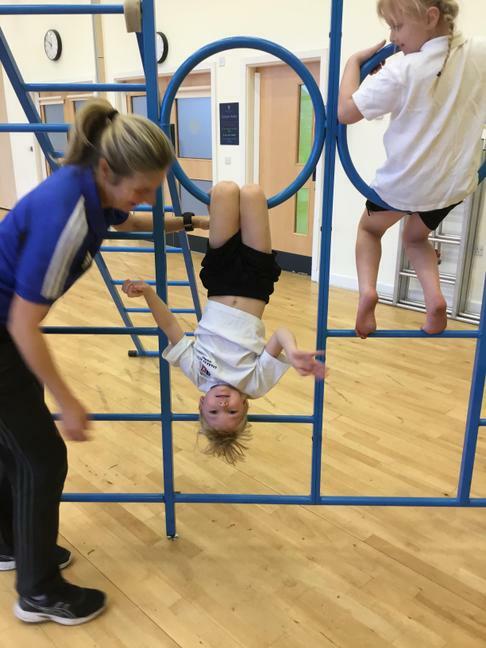 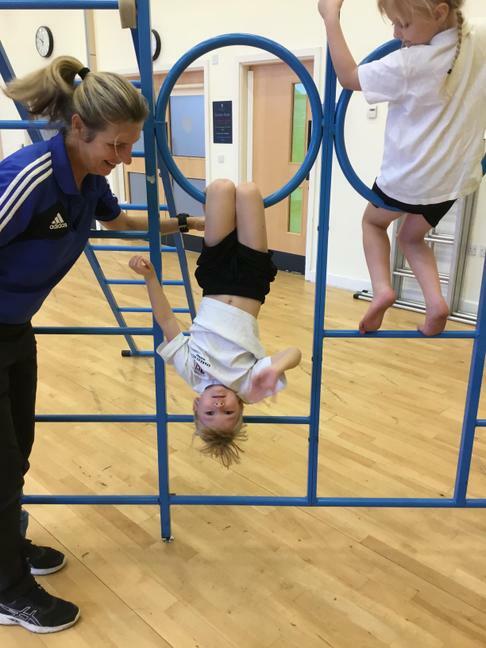 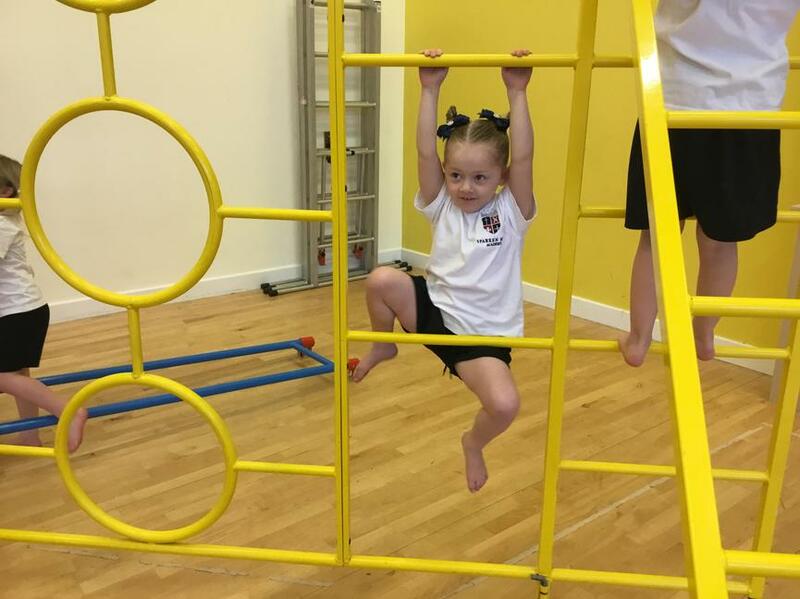 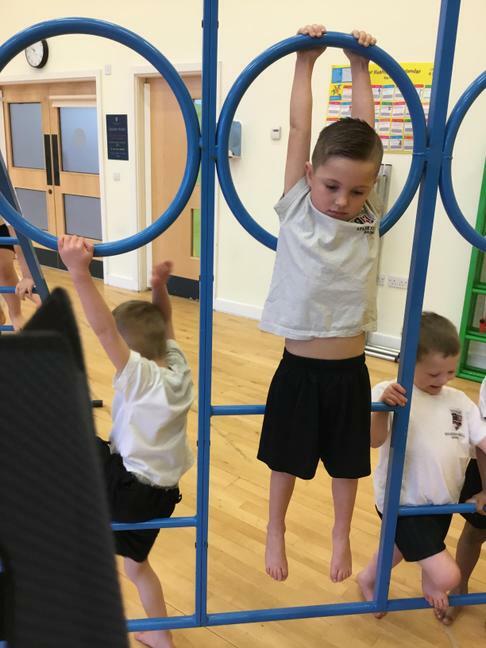 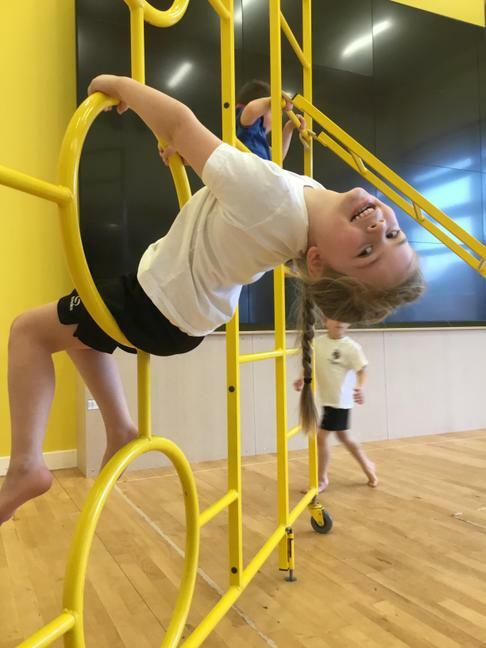 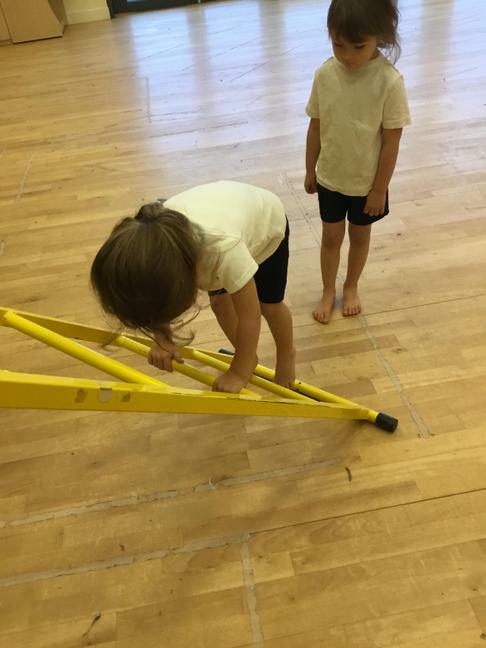 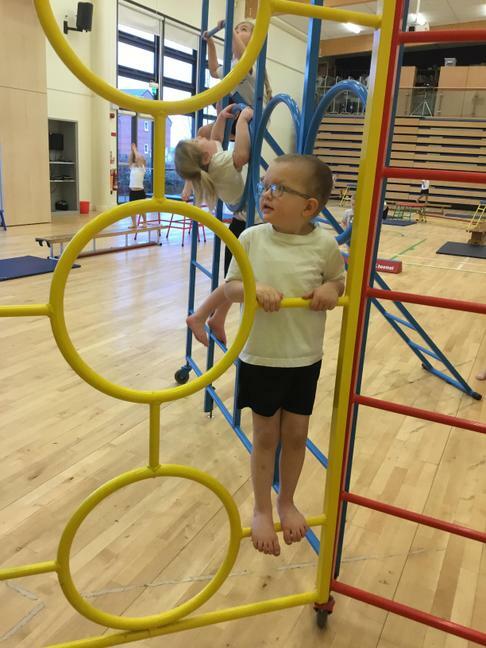 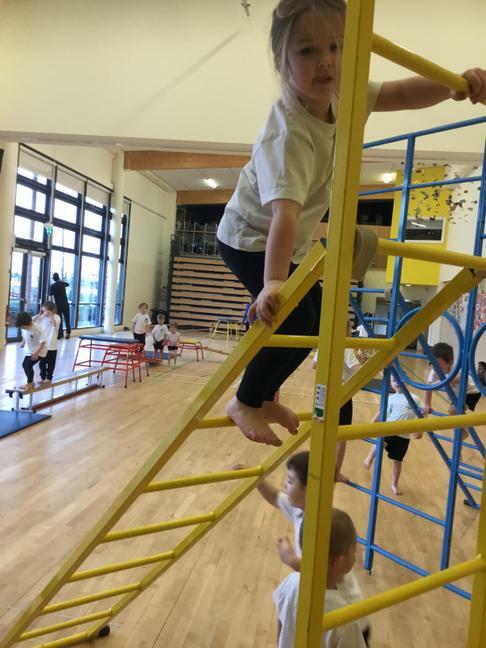 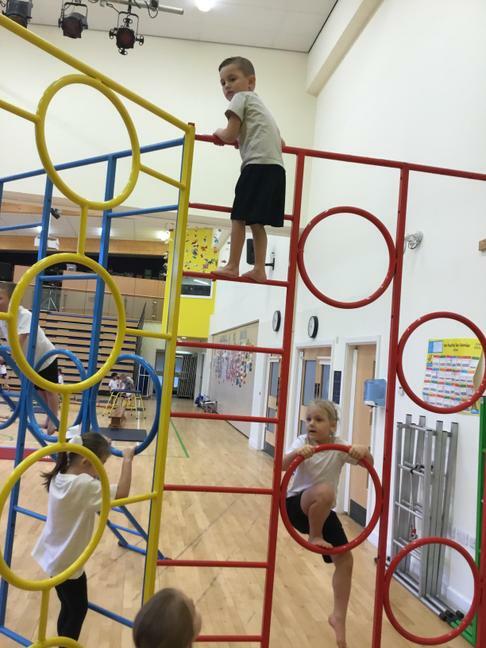 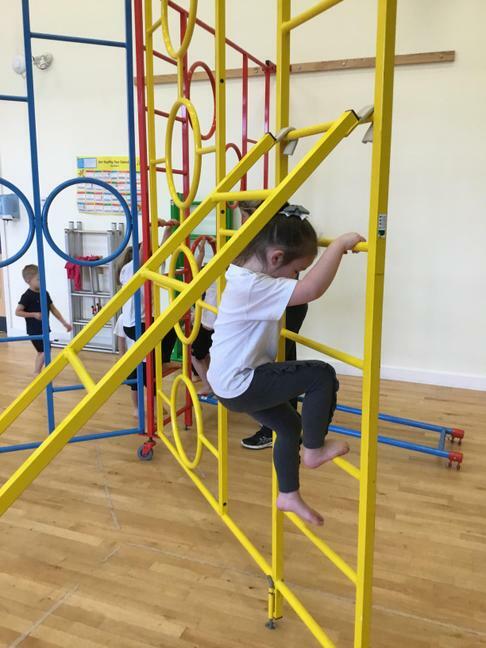 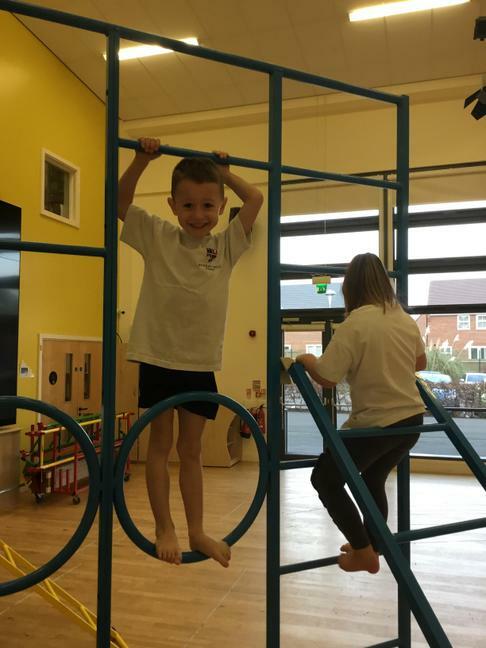 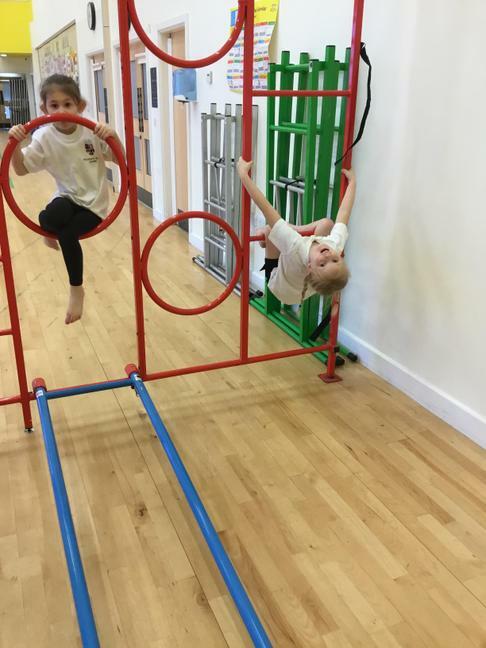 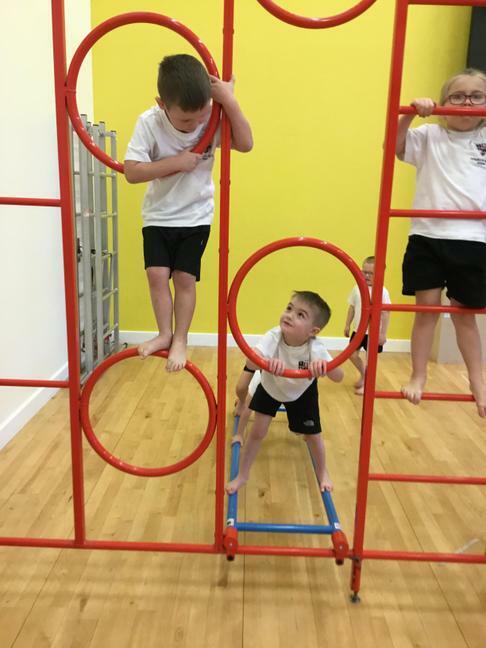 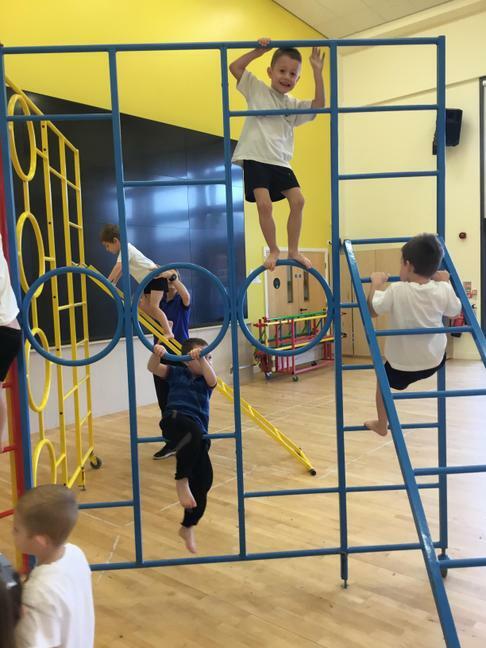 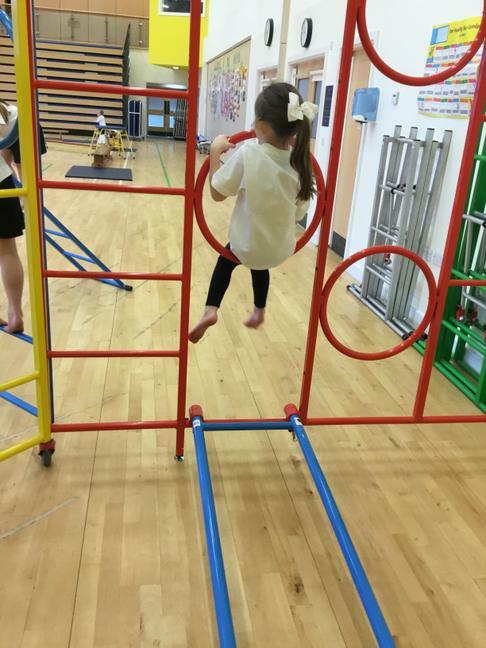 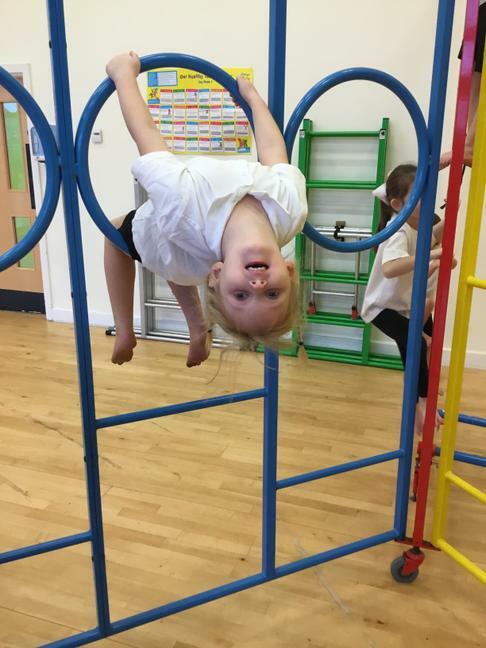 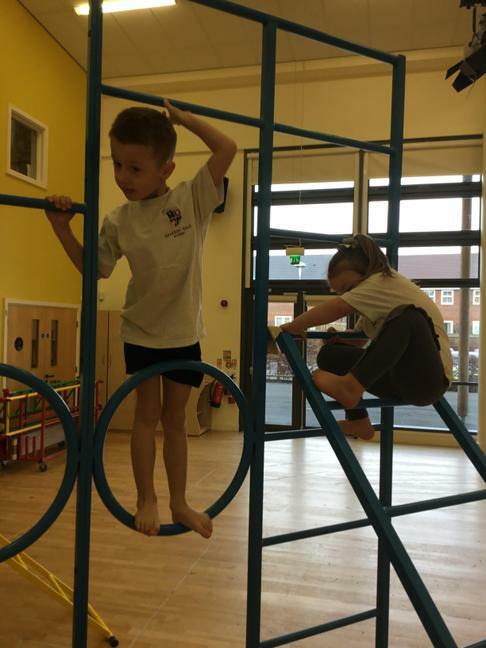 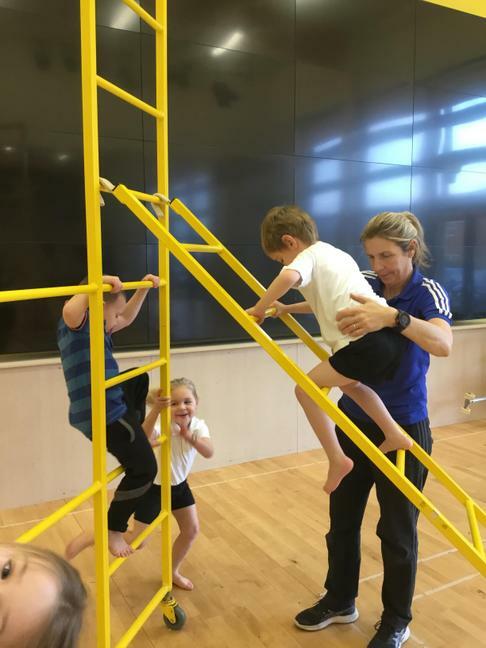 We had all the apparatus out and could climb and jump and even hang upside down too. 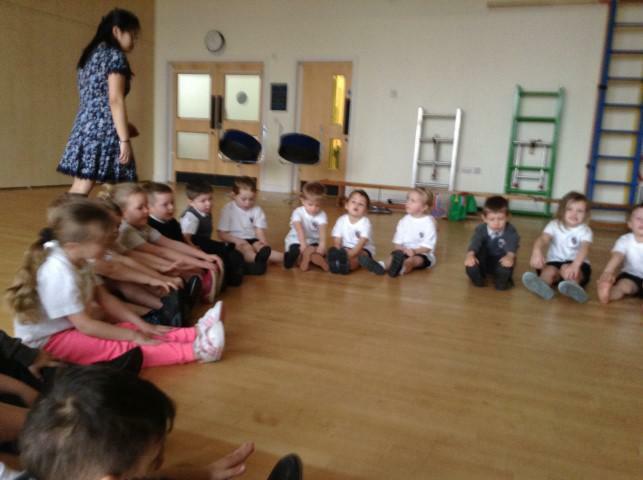 Below are some pictures of today's session, you can see how much fun we all had. 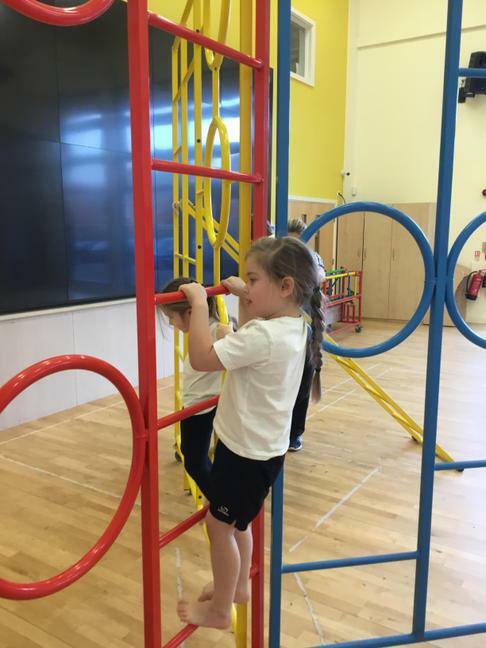 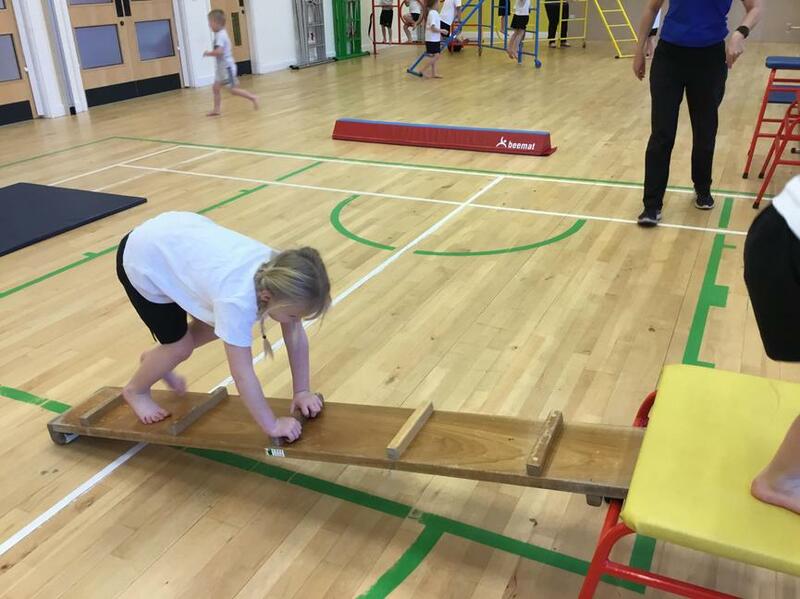 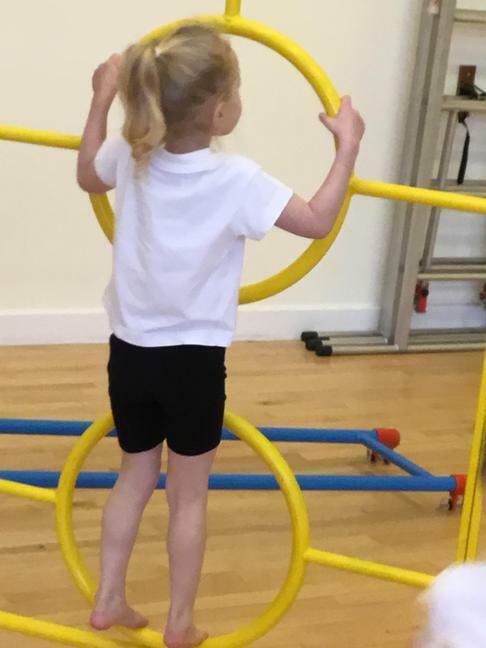 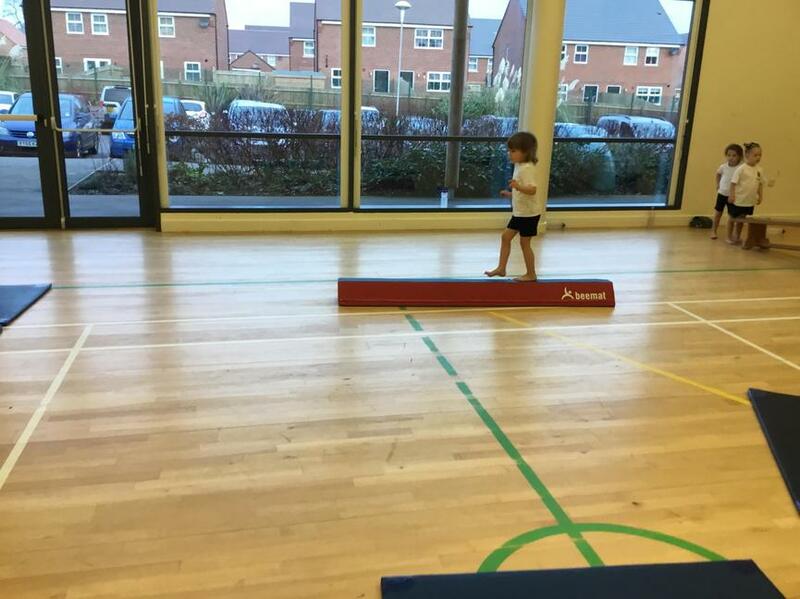 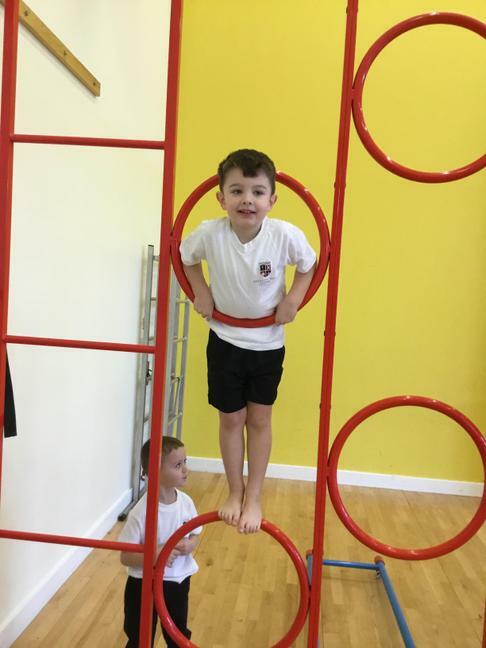 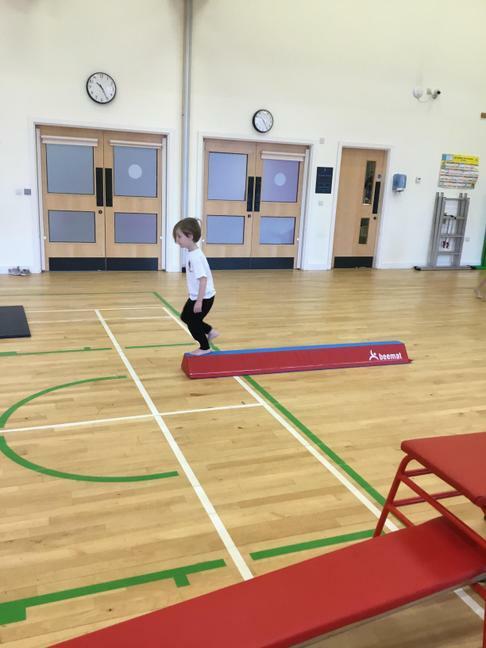 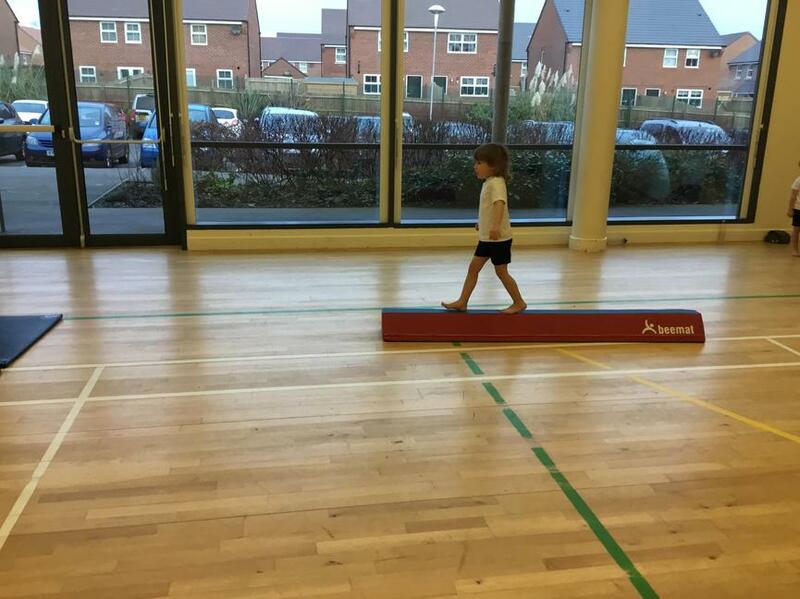 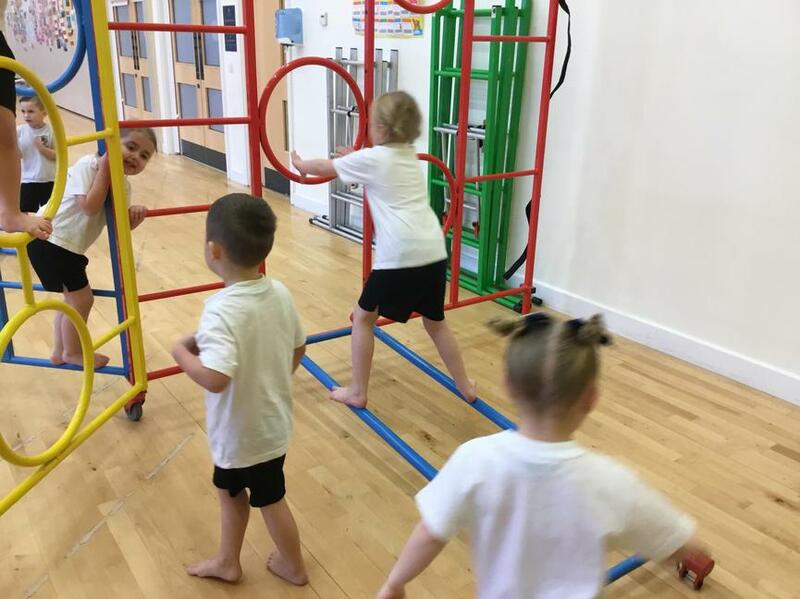 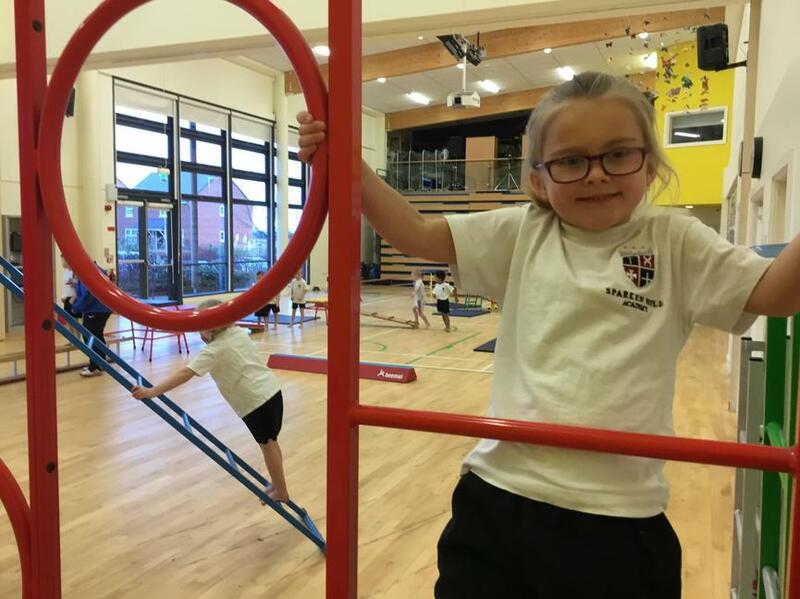 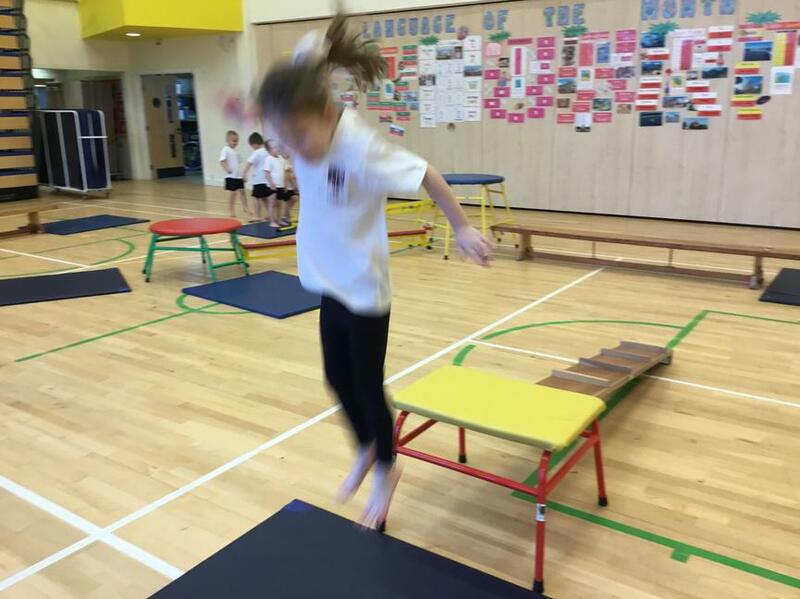 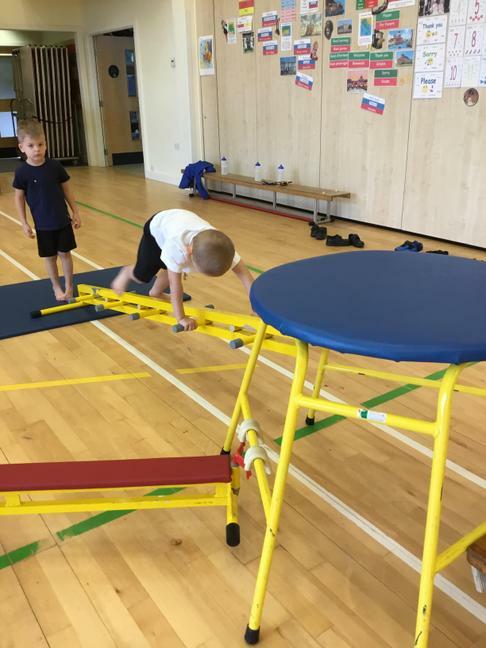 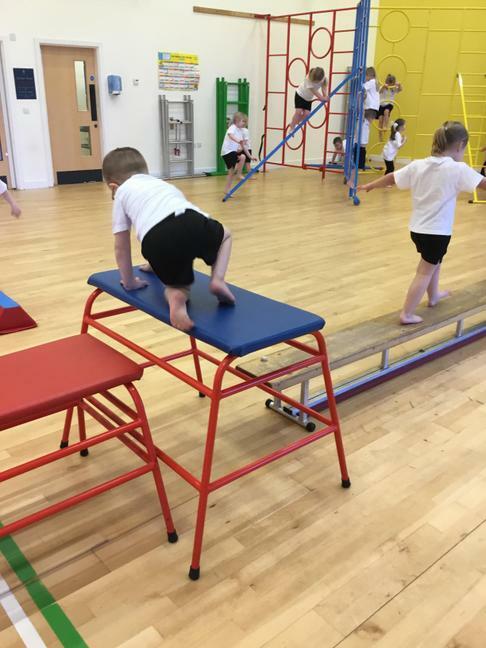 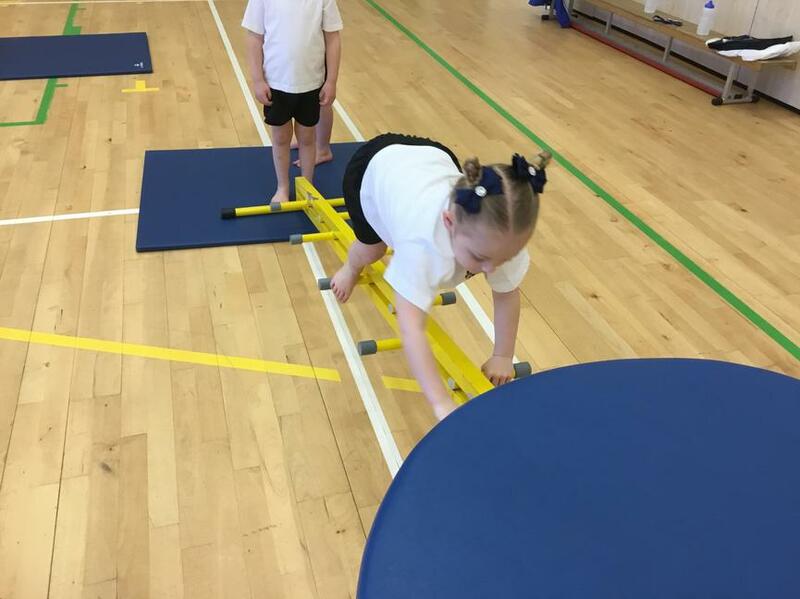 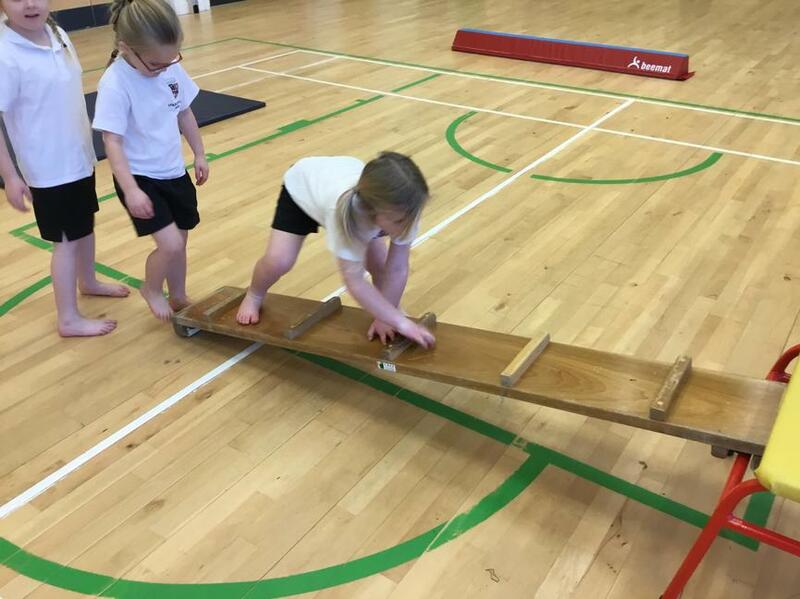 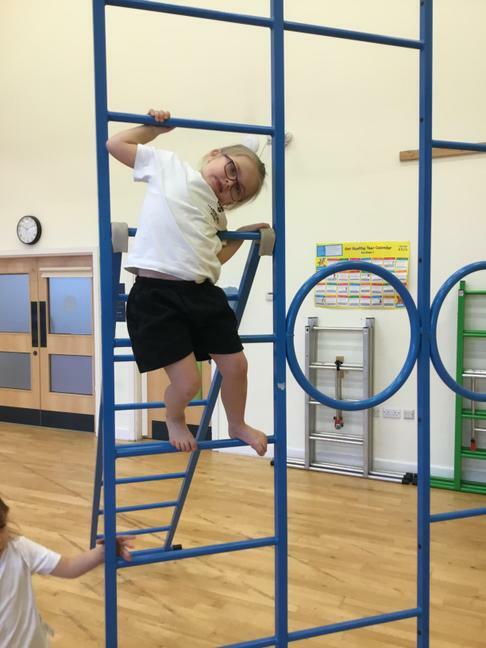 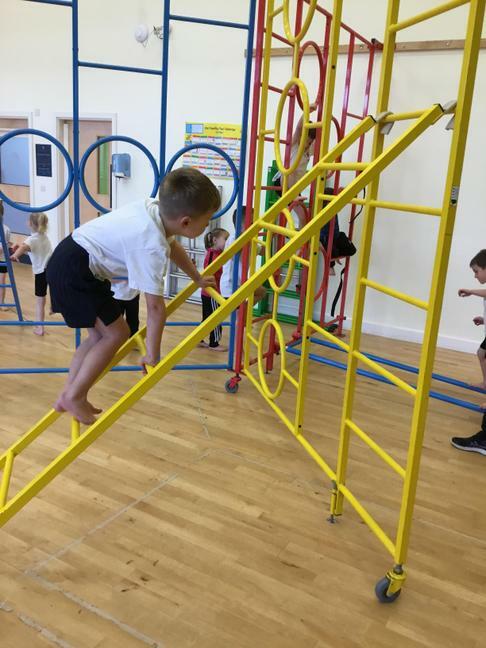 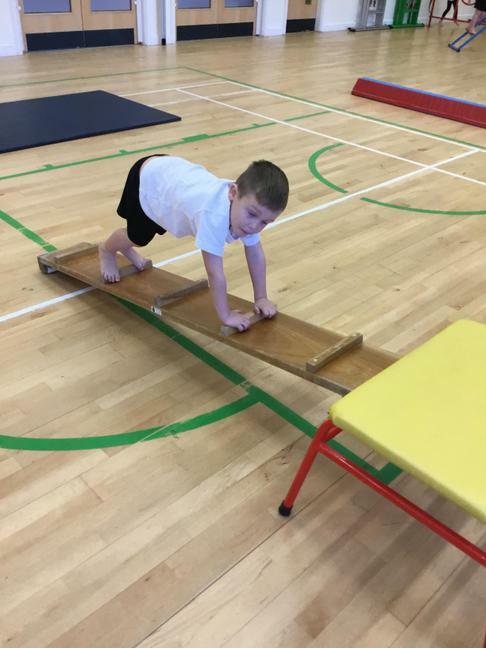 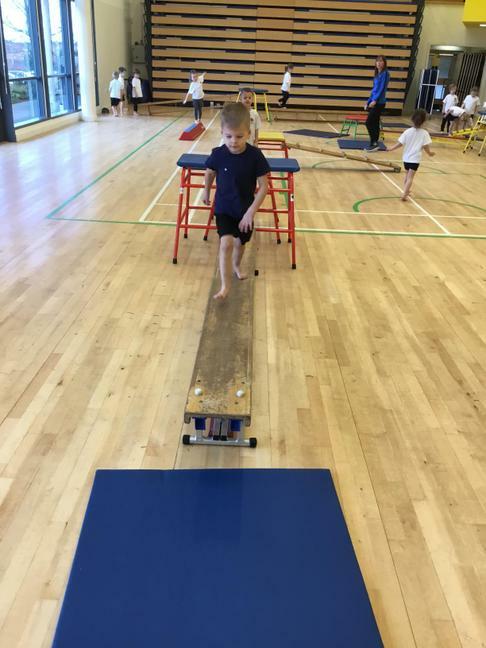 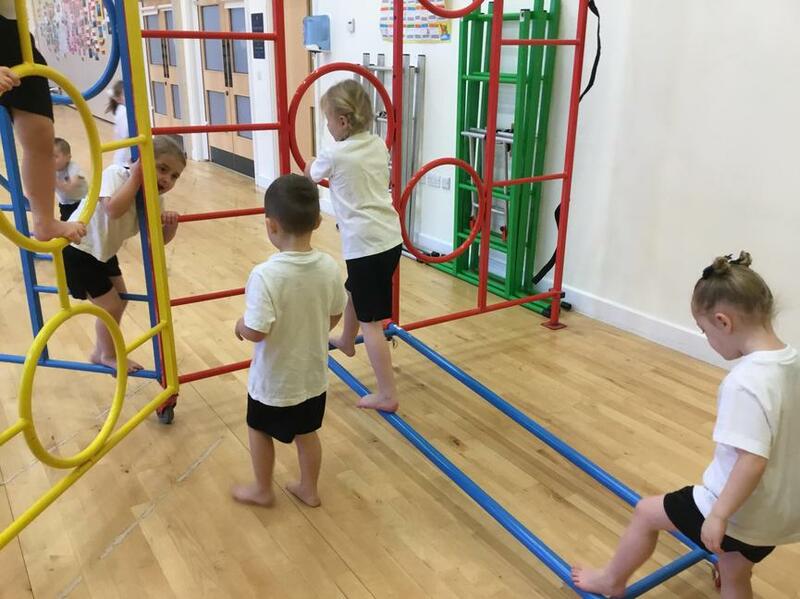 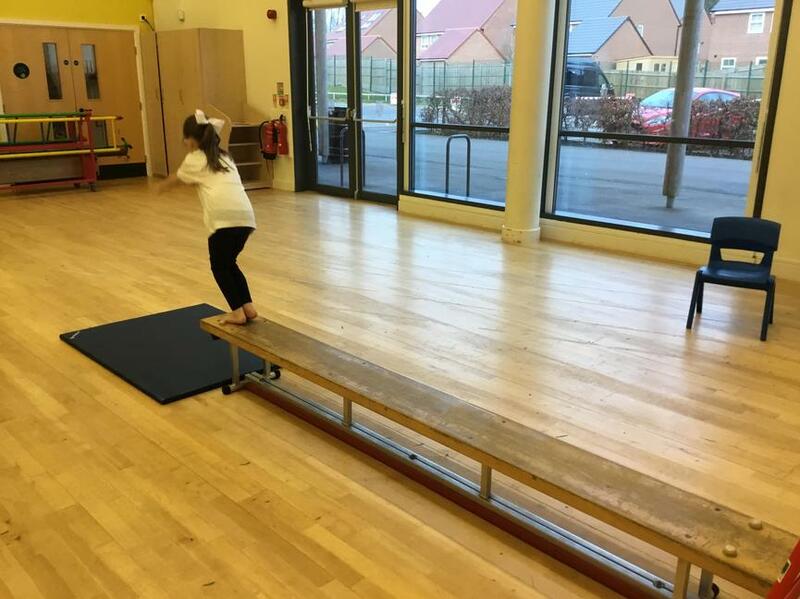 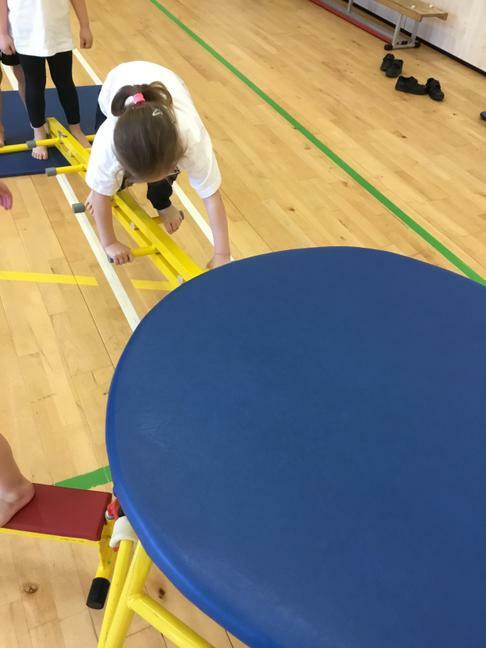 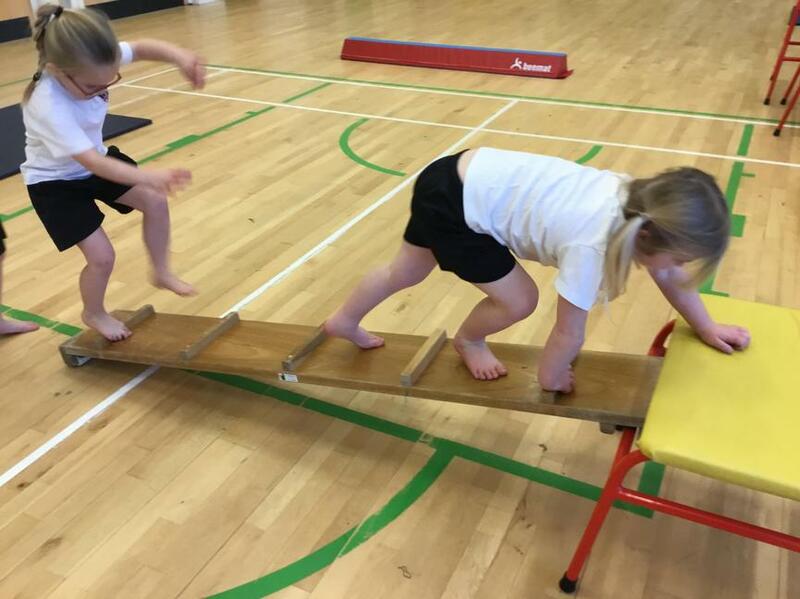 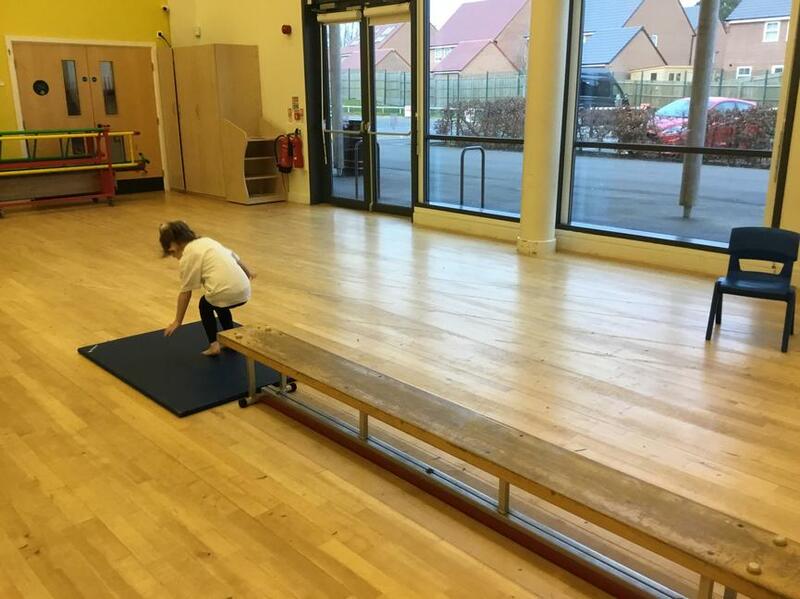 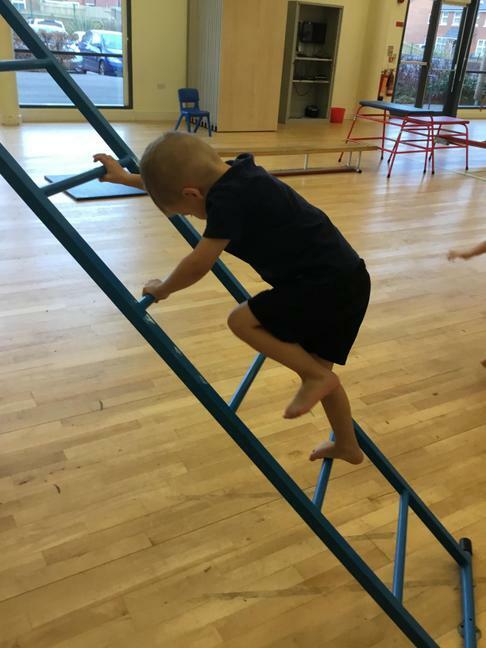 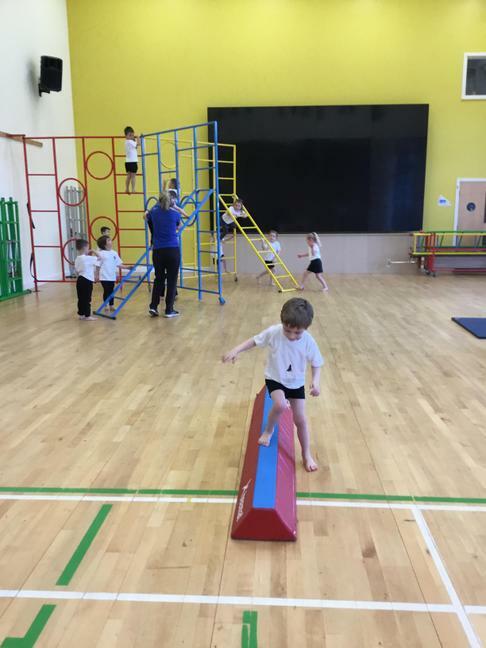 We have played skittles, practised balancing as we walked along a bench, then jumped off the end and practised negotiating space by weaving in and out of tubes. 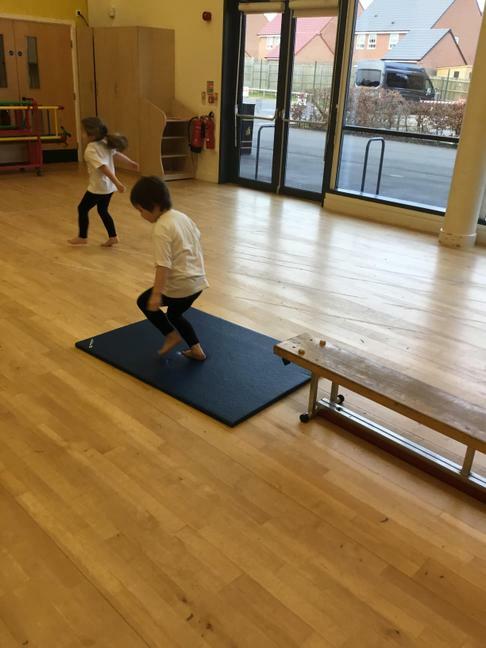 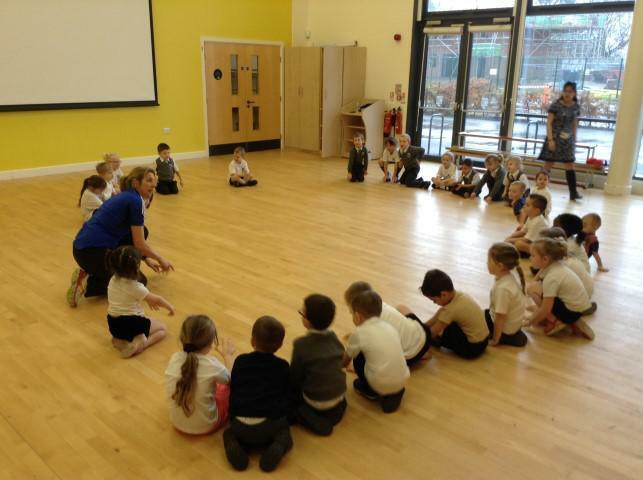 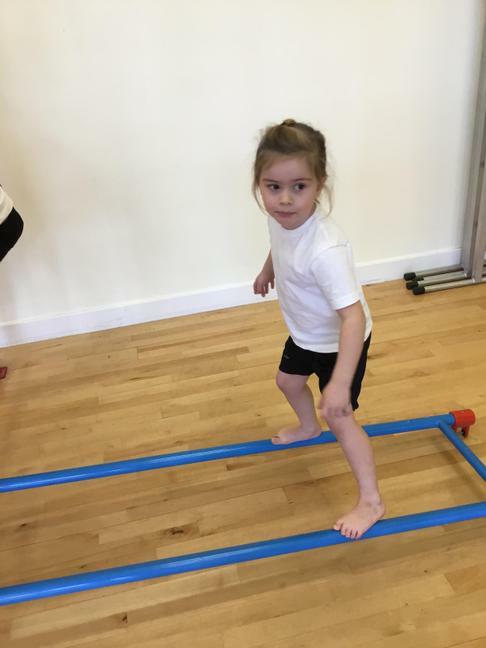 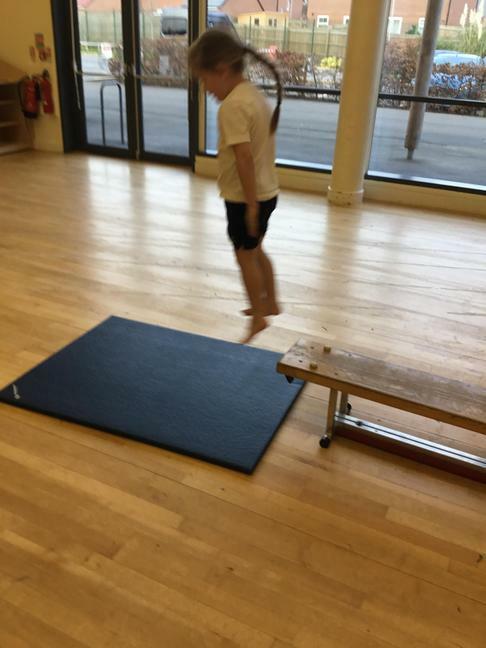 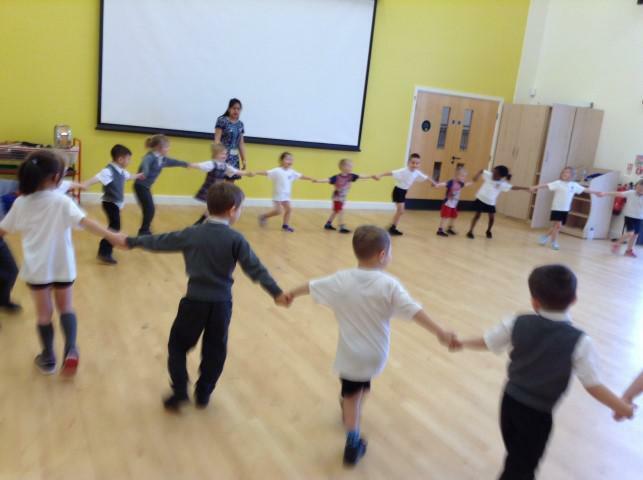 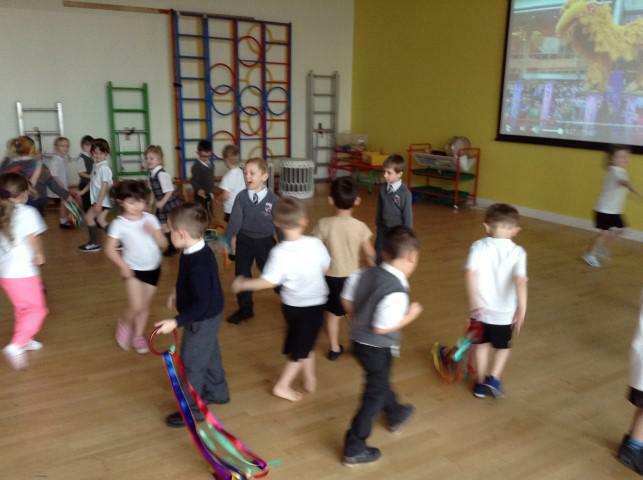 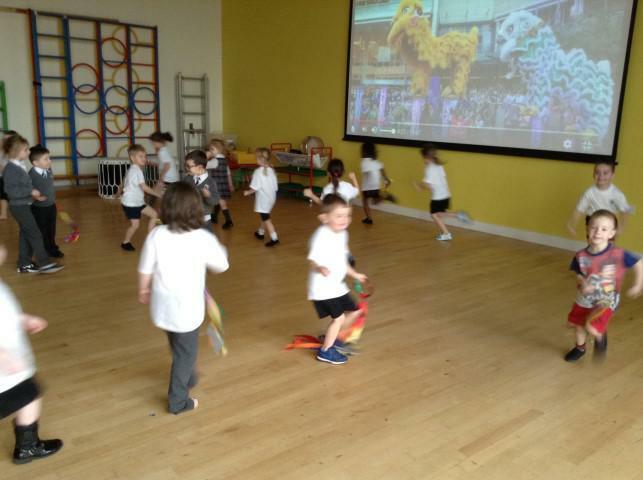 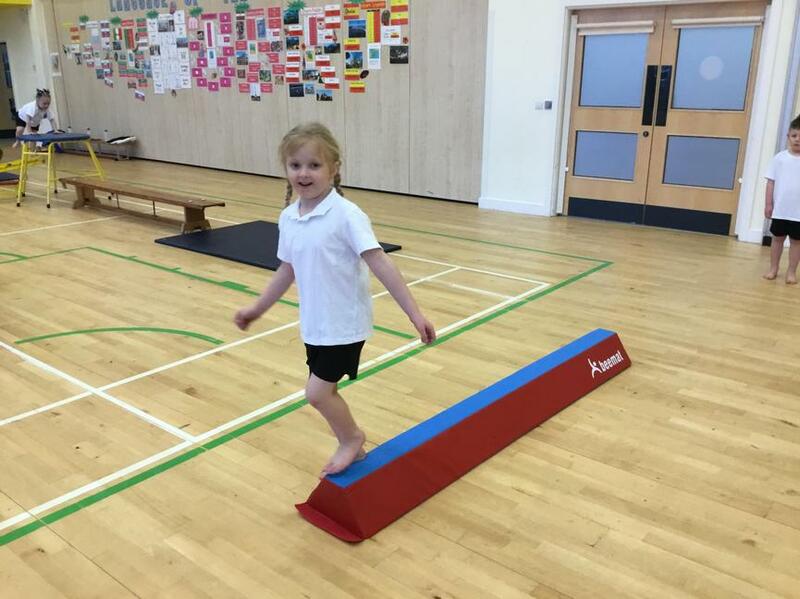 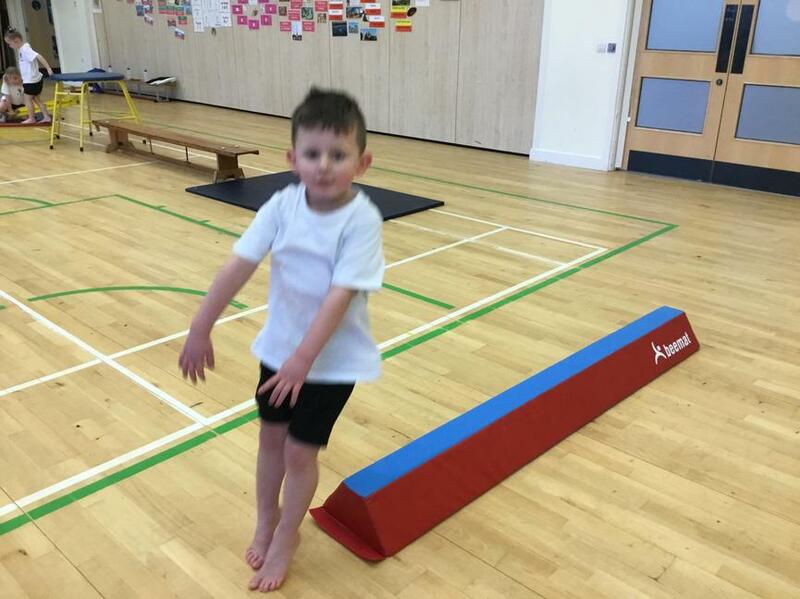 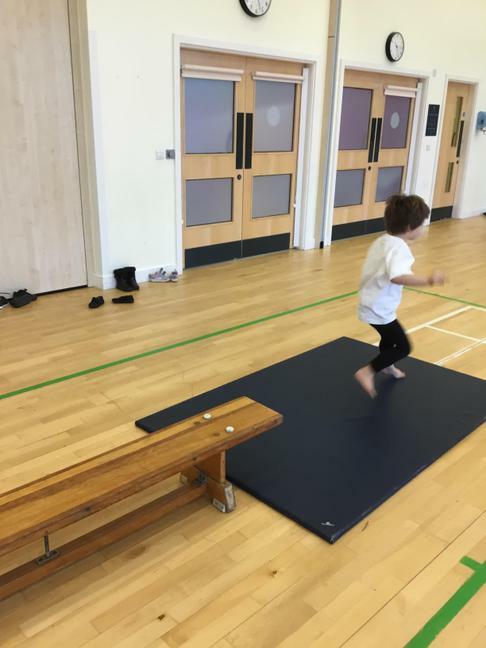 We have practised lots of different ways of hopping - normal hopping, bunny hopping and hopscotch! 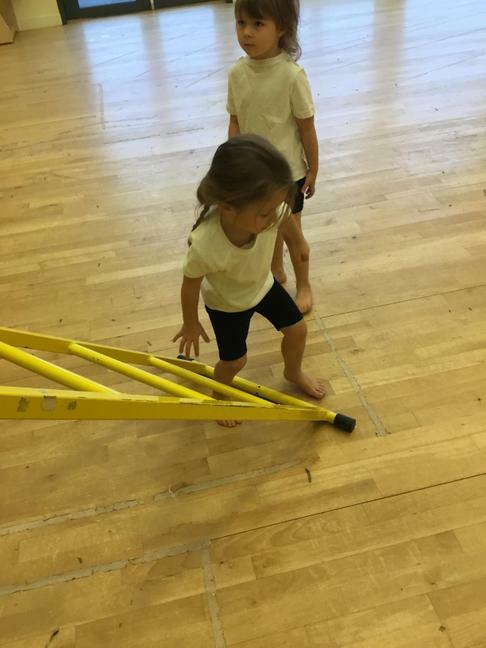 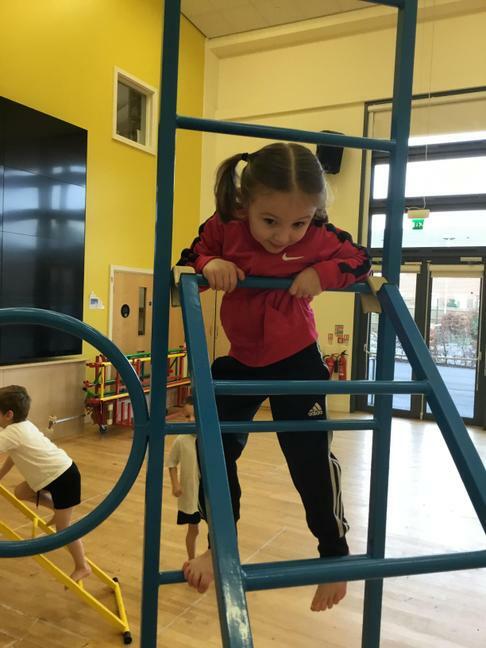 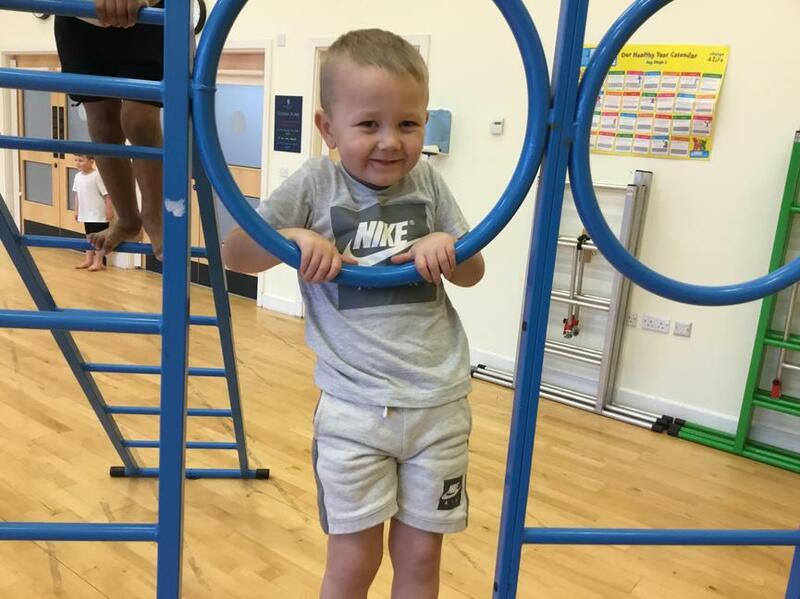 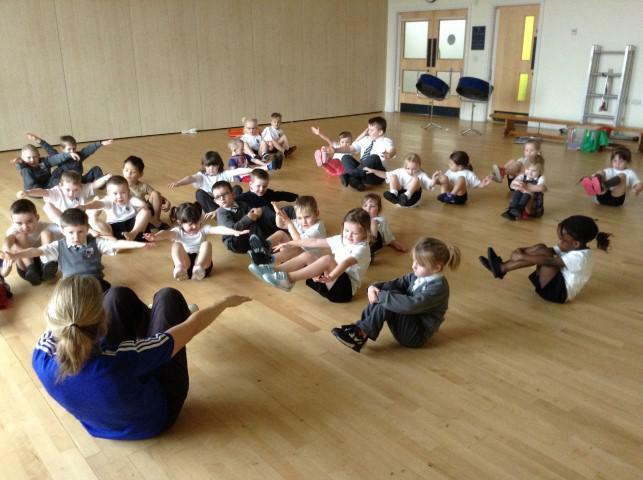 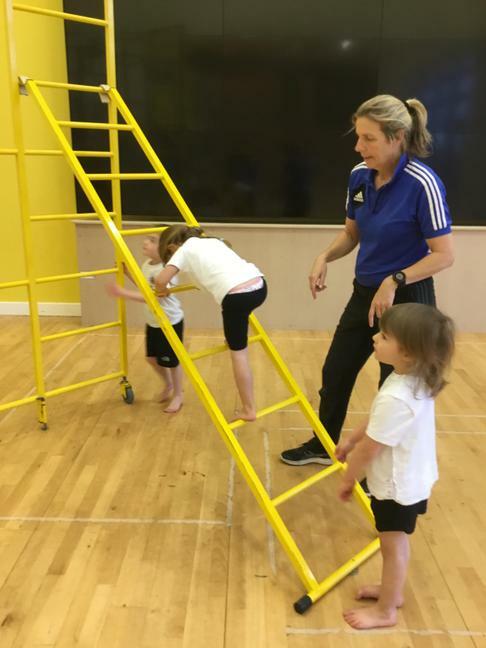 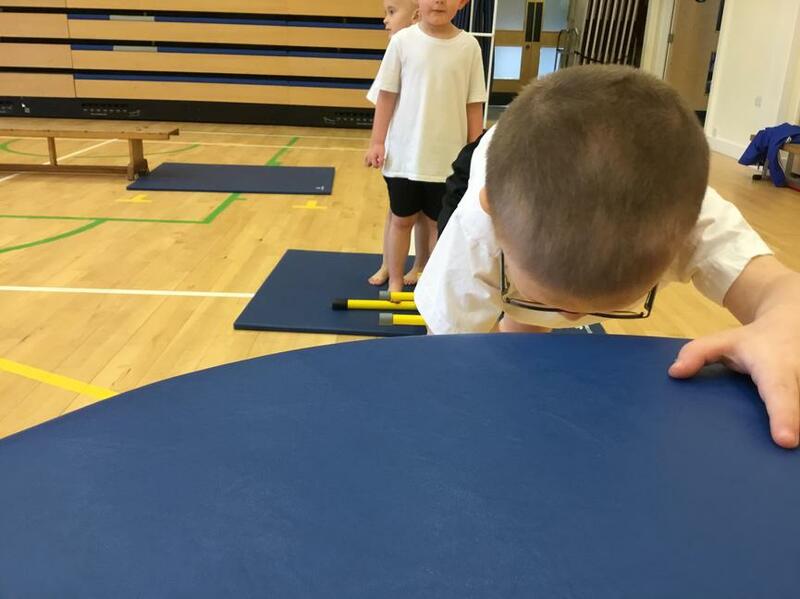 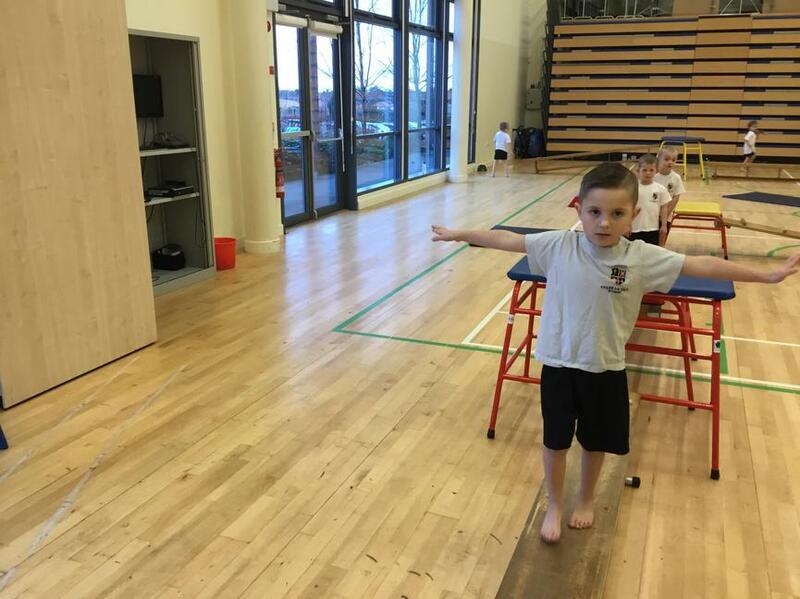 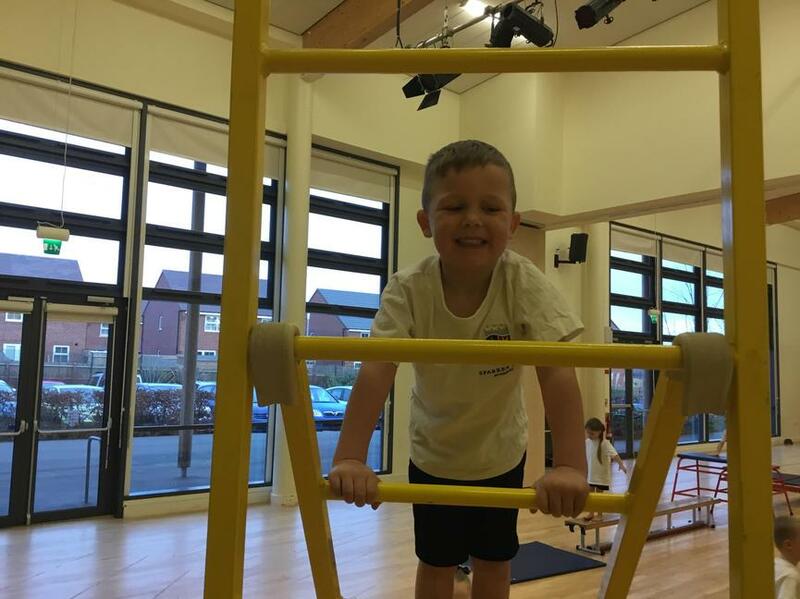 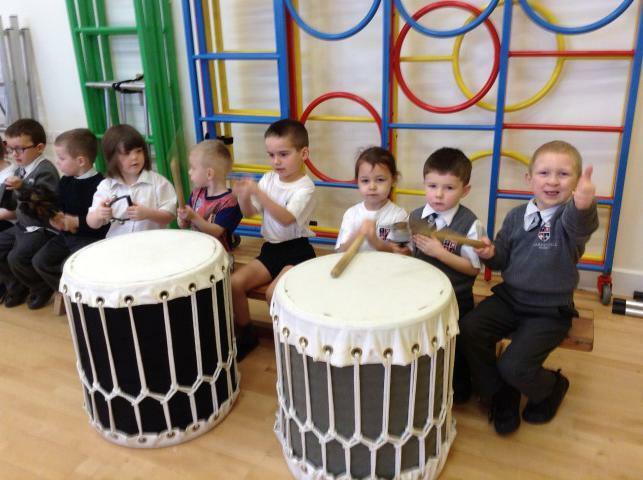 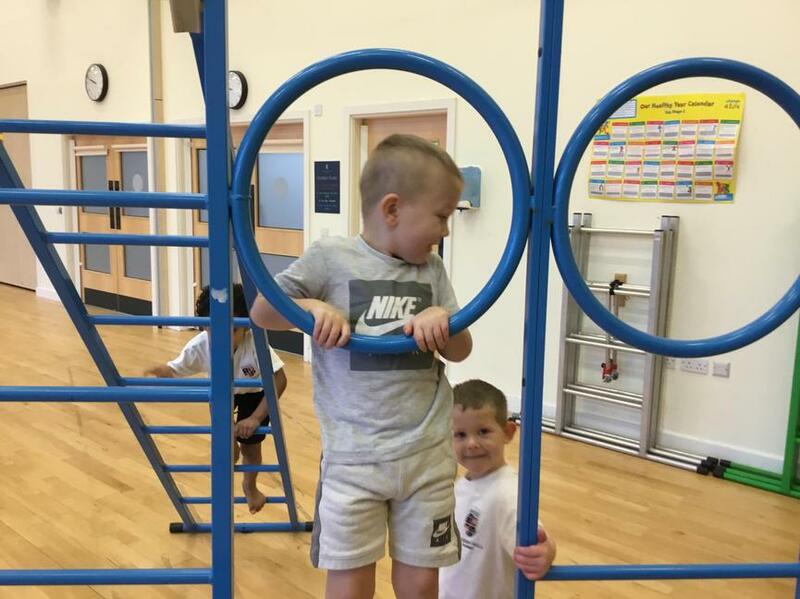 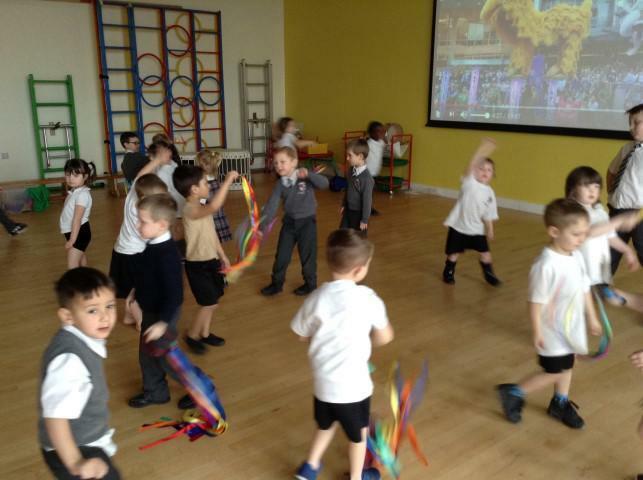 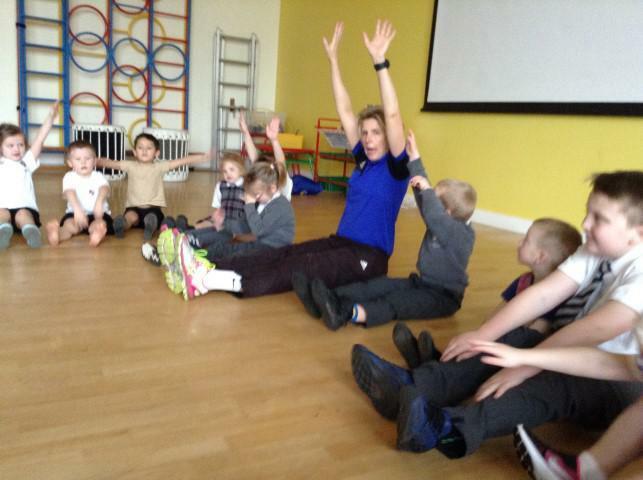 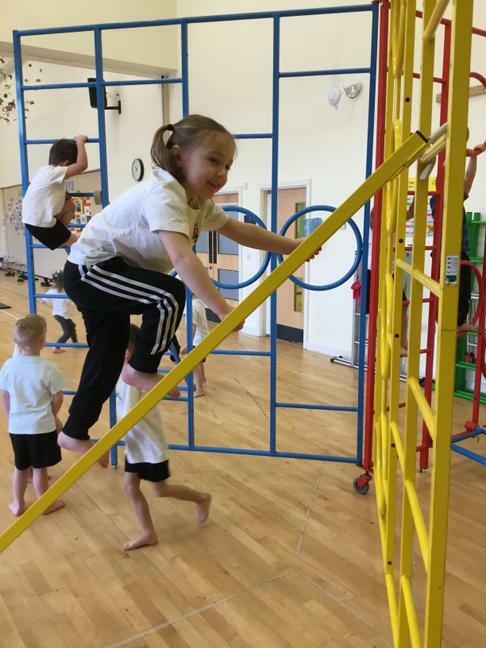 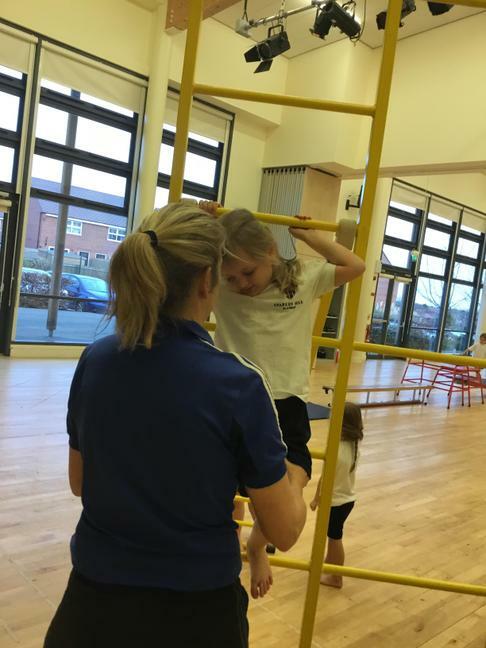 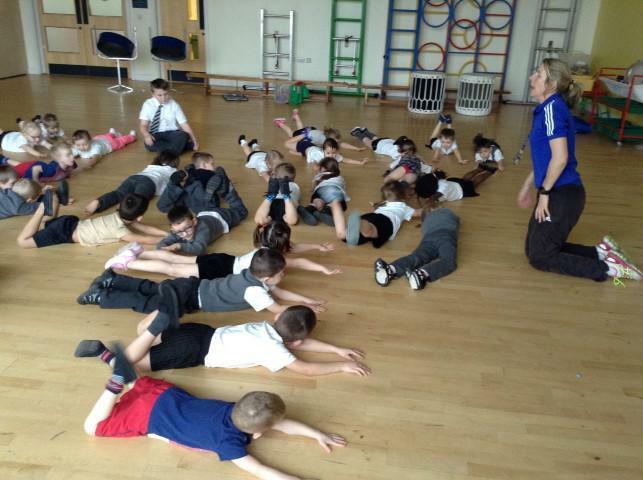 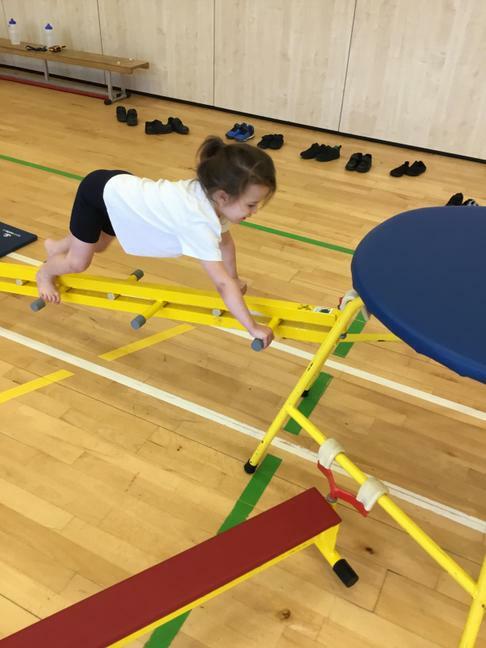 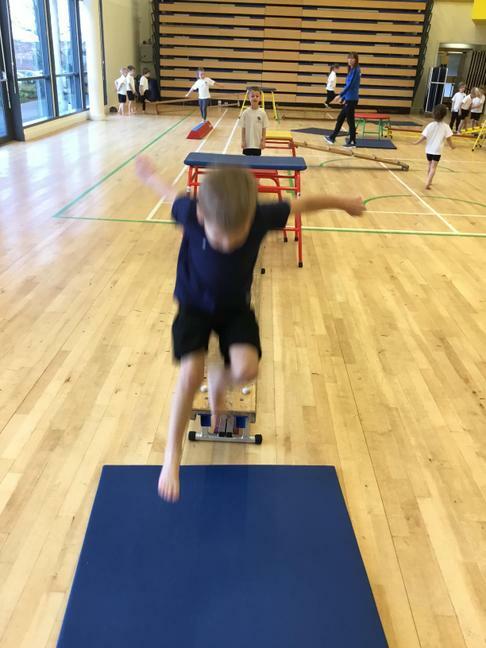 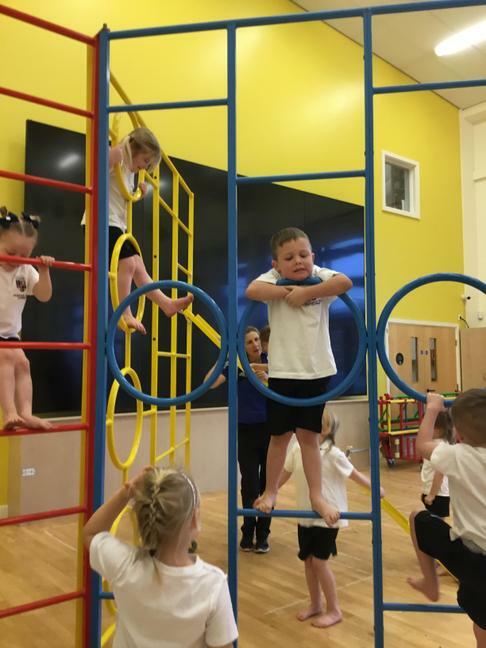 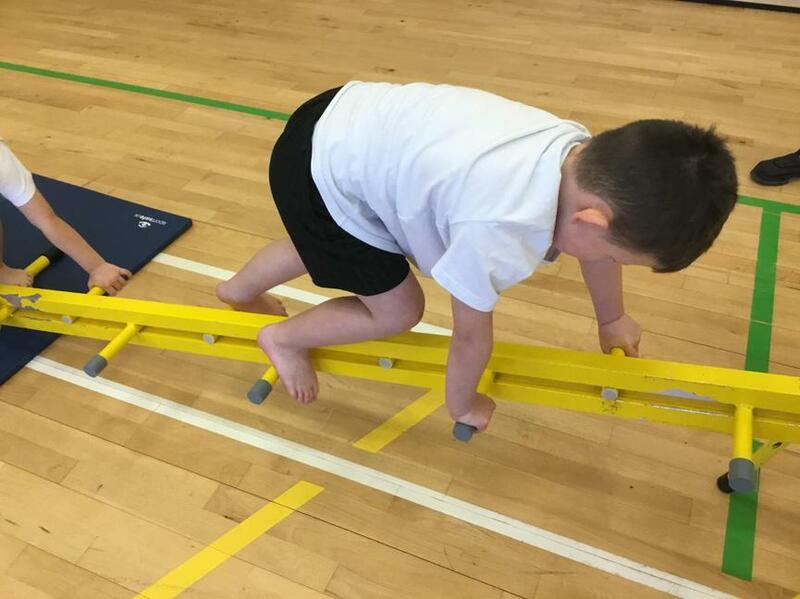 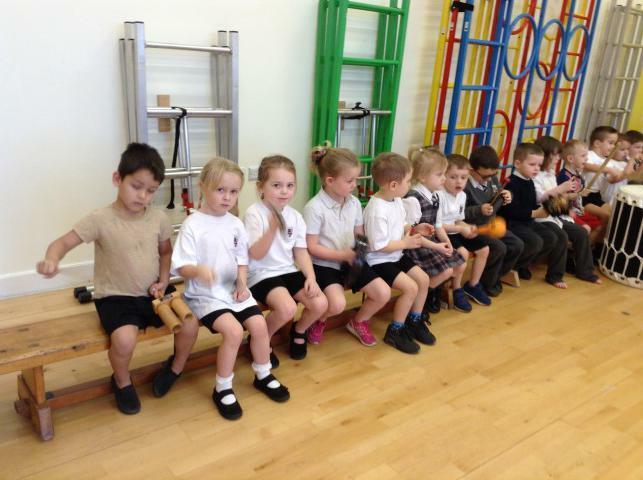 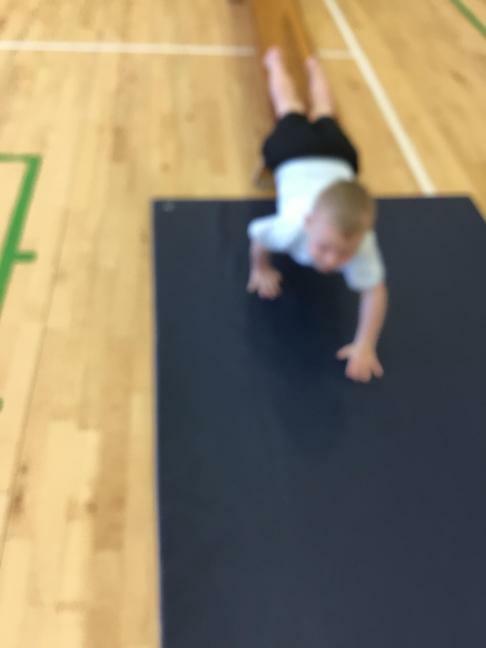 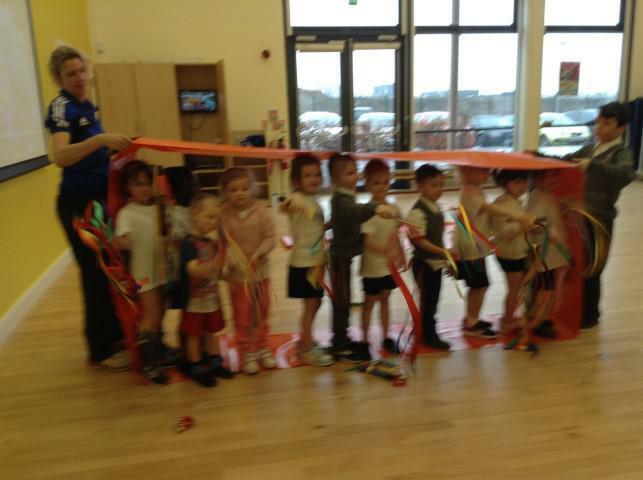 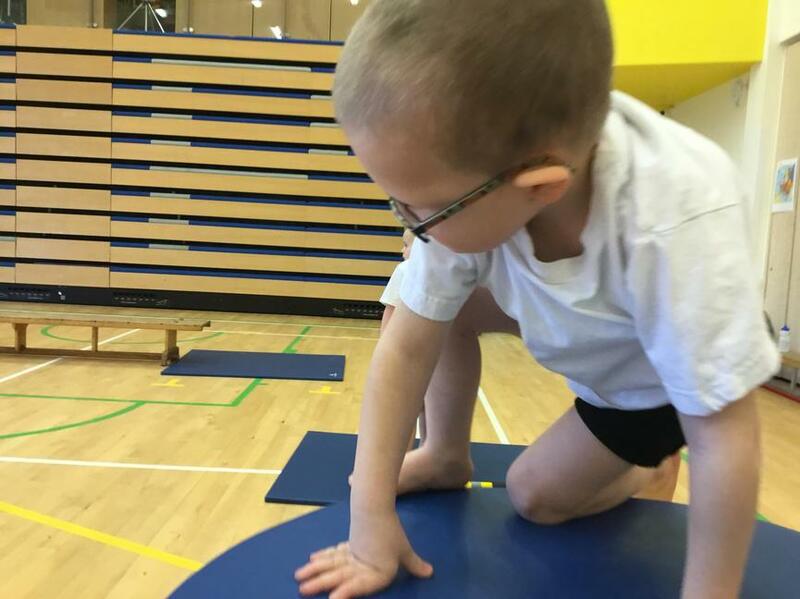 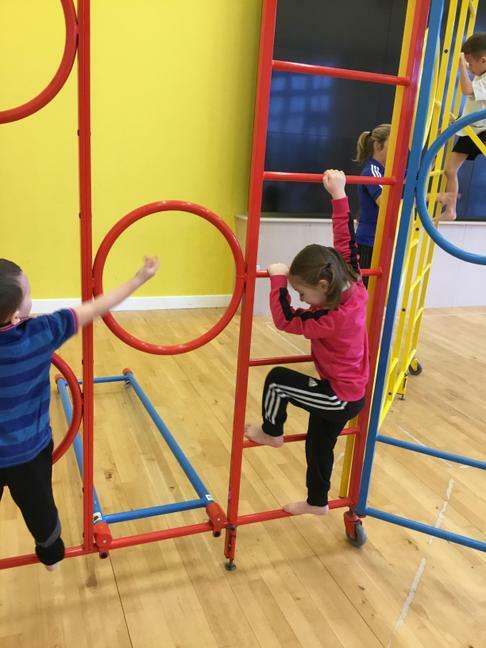 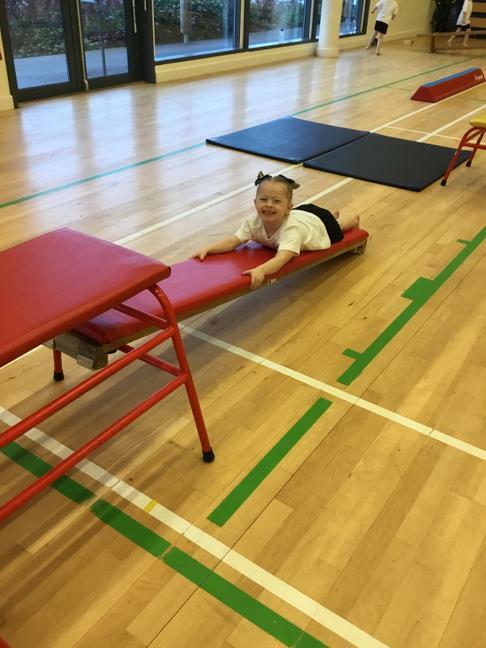 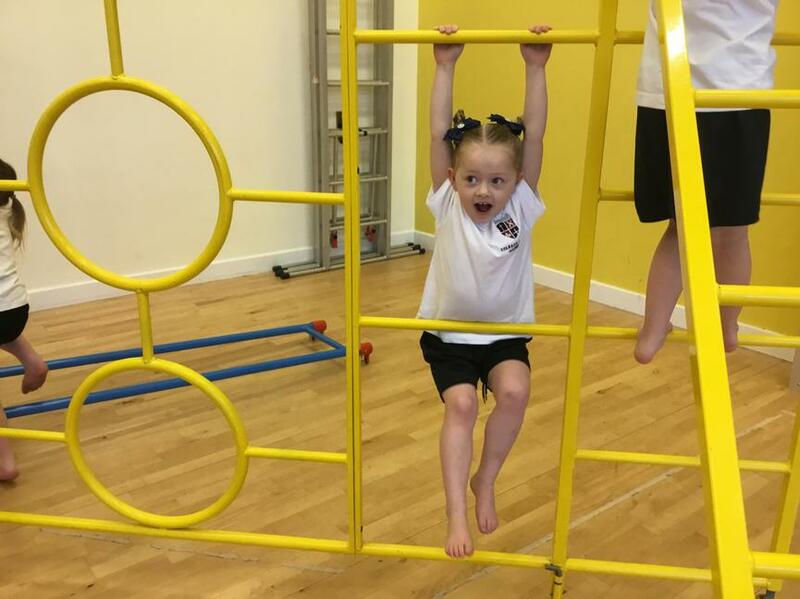 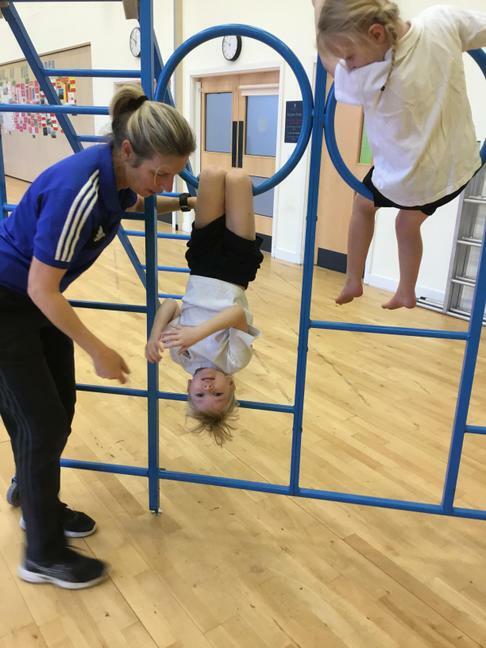 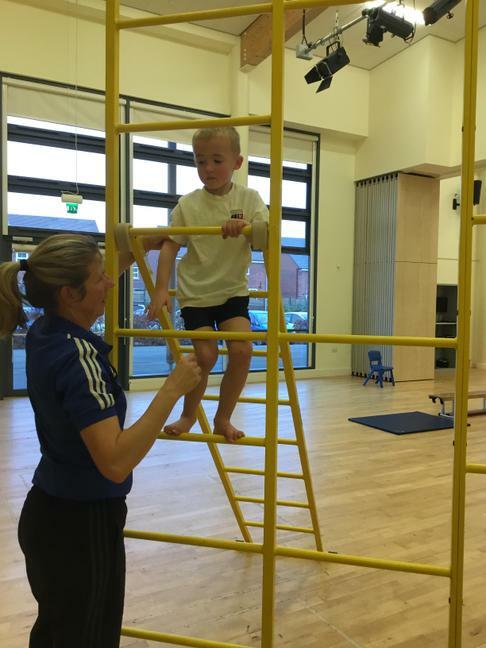 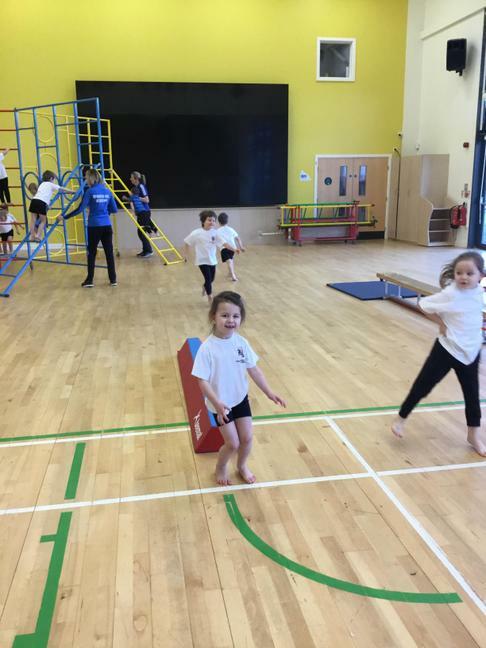 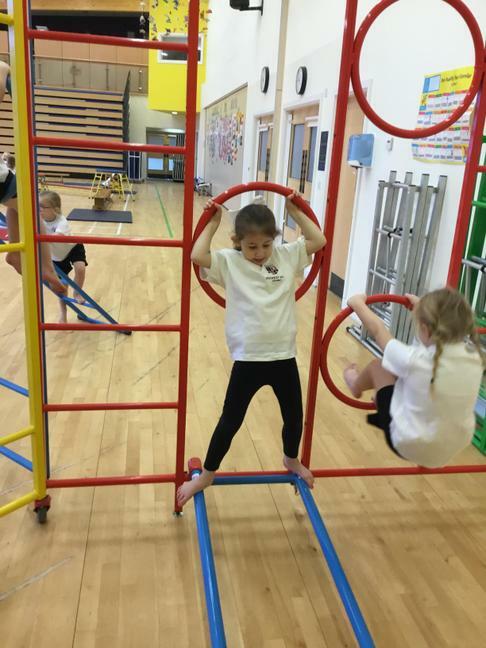 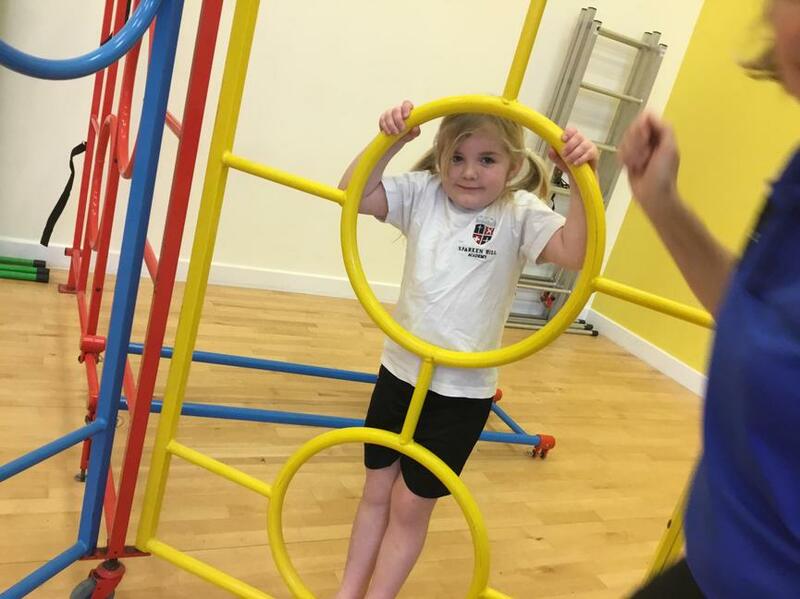 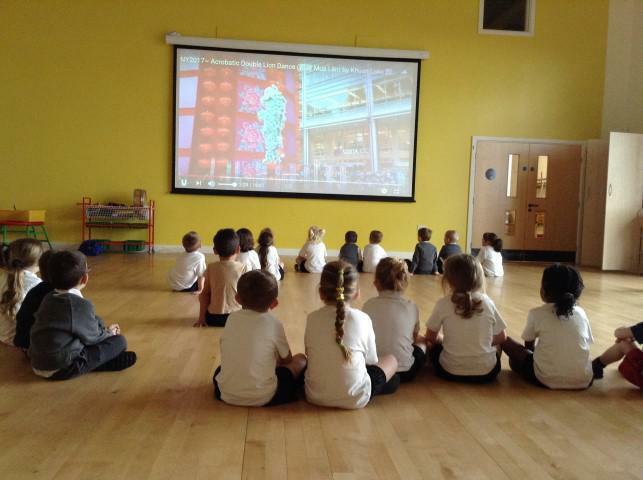 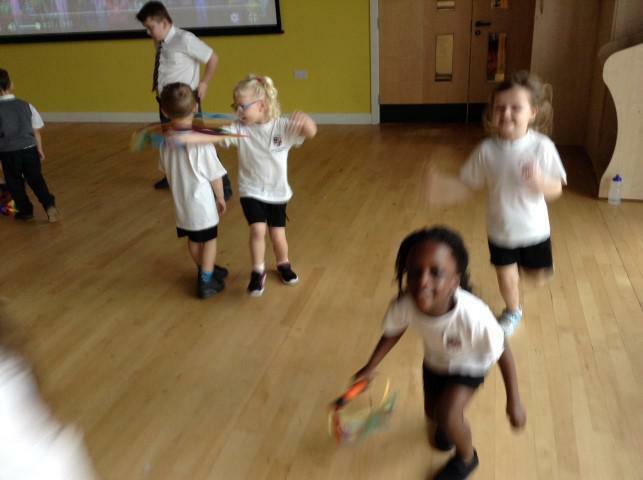 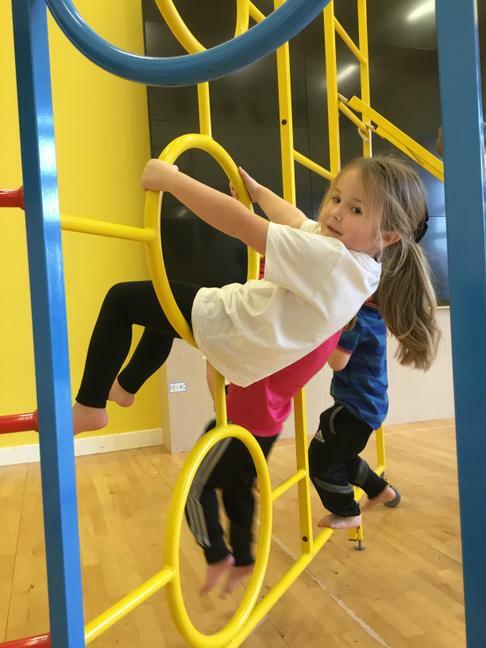 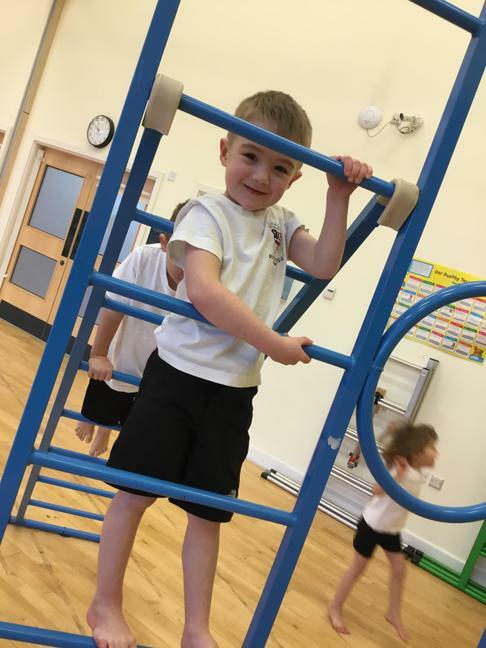 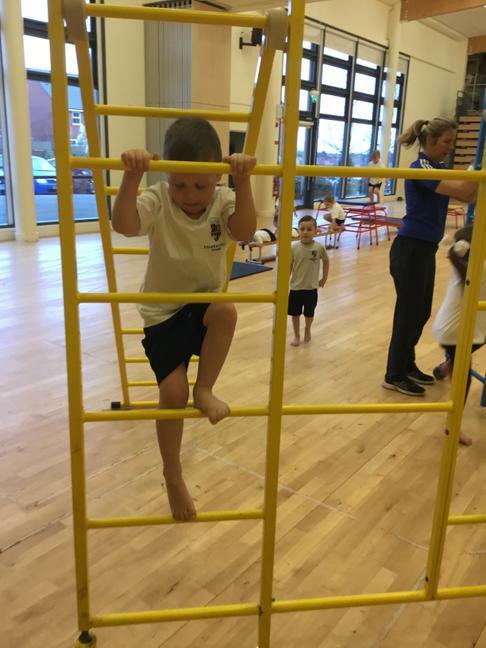 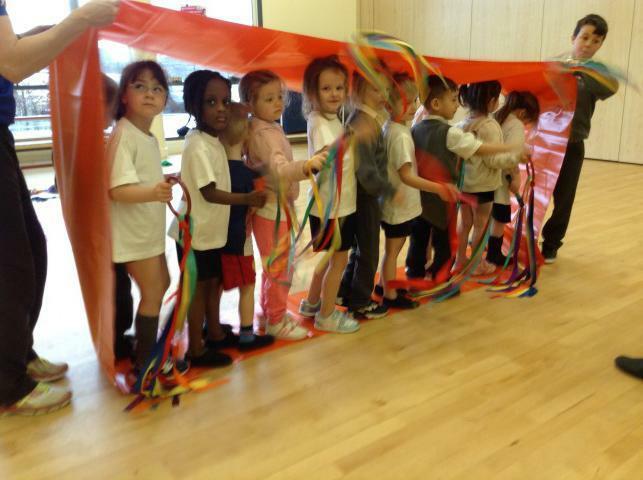 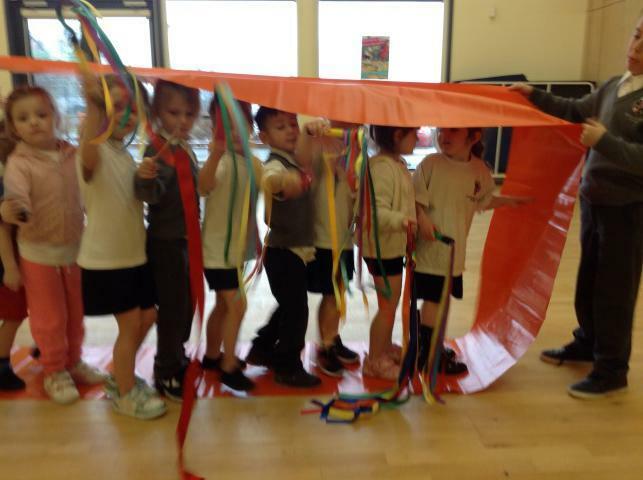 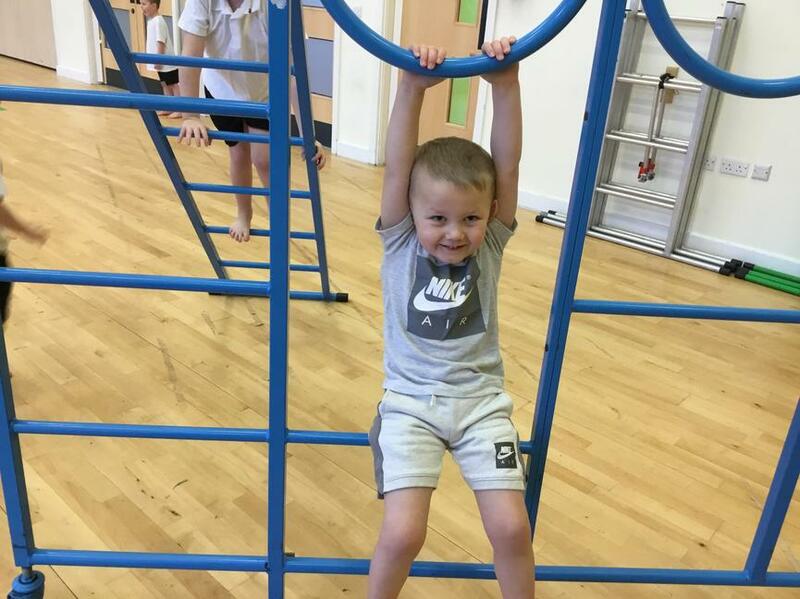 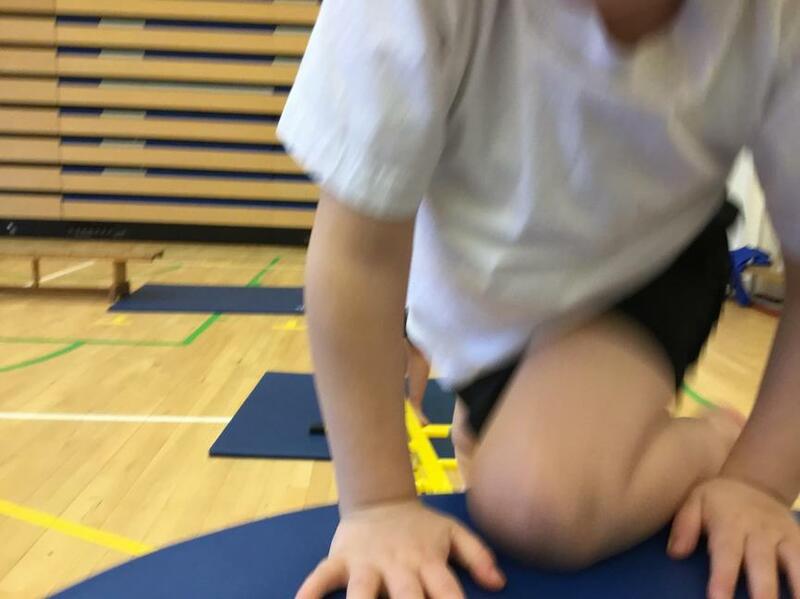 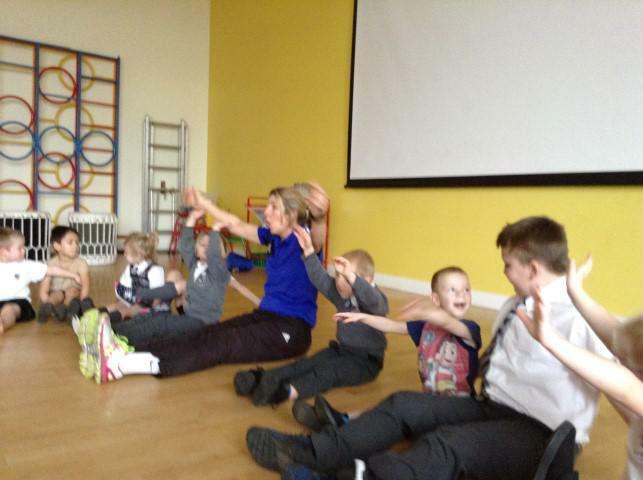 Week 1 - We went zooming to the moon today in PE! 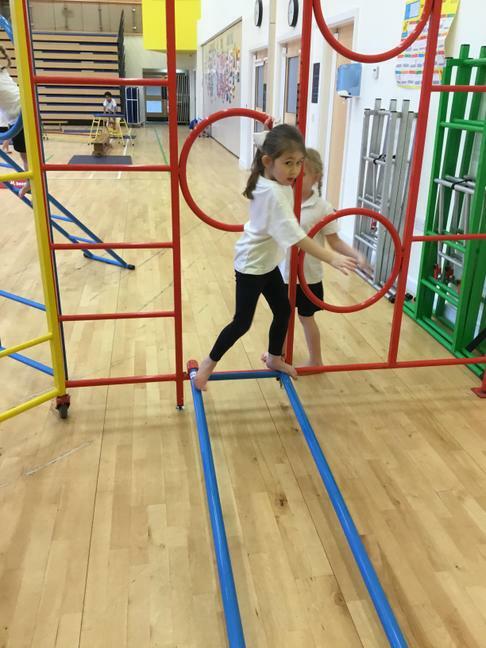 We used stepping stones to make sure that we didn't get stuck in moon sand, then we weaved in and out of meteorite rocks. 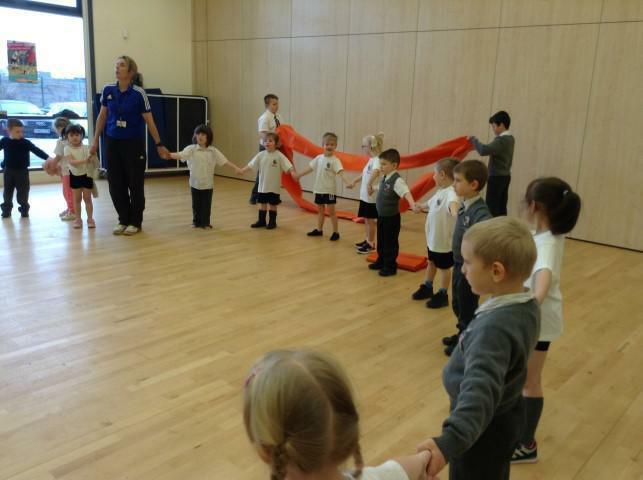 We rolled meteroite rockets to each other, making sure we didn't hit the meteorite rocks too! 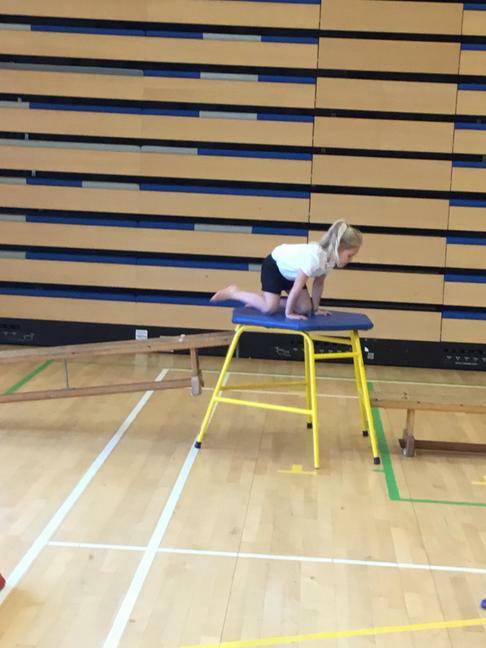 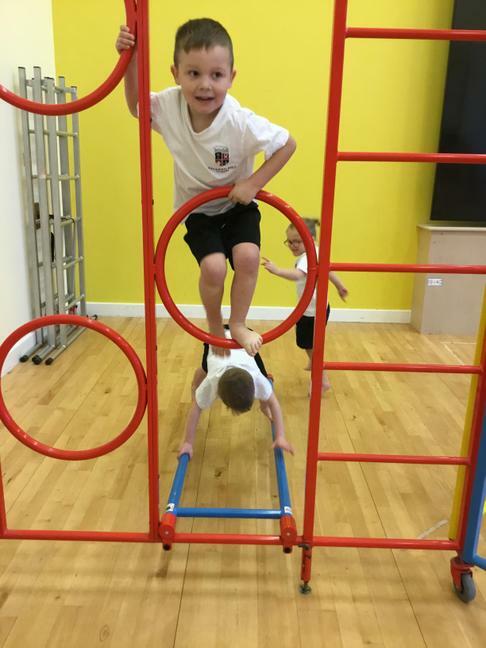 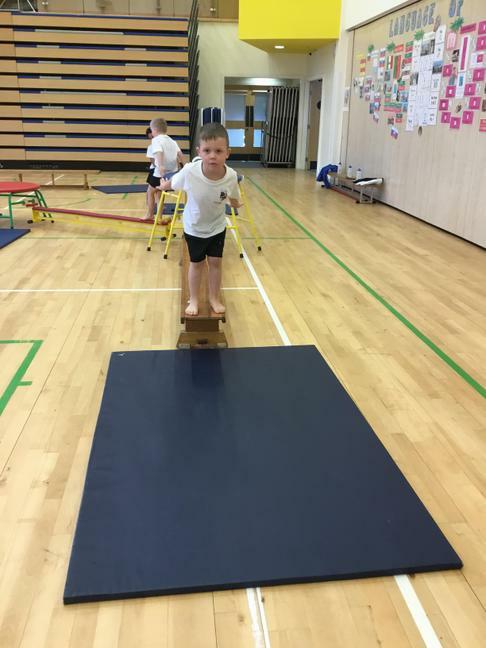 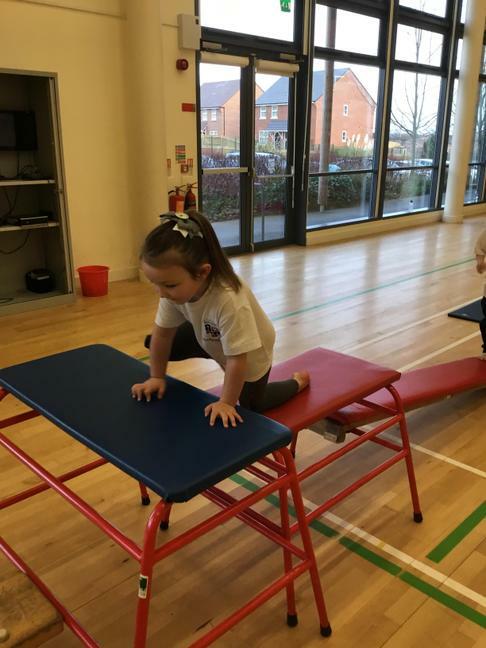 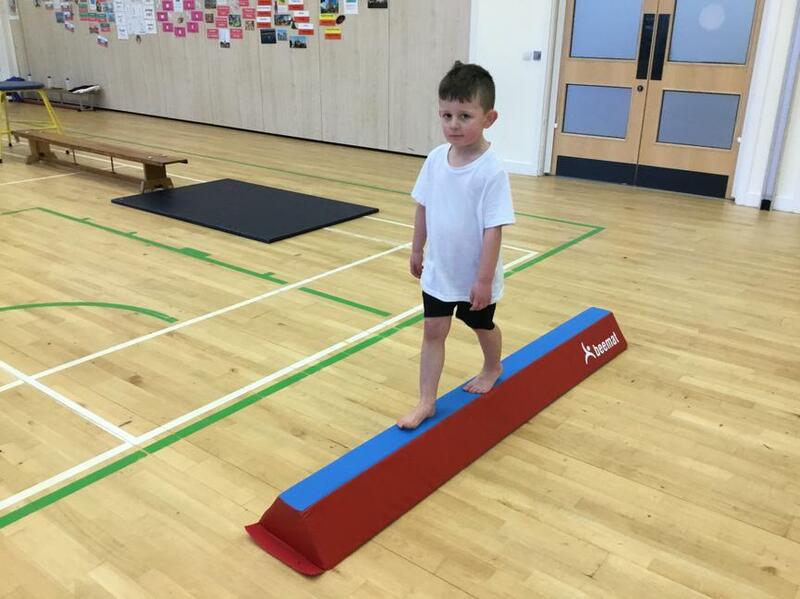 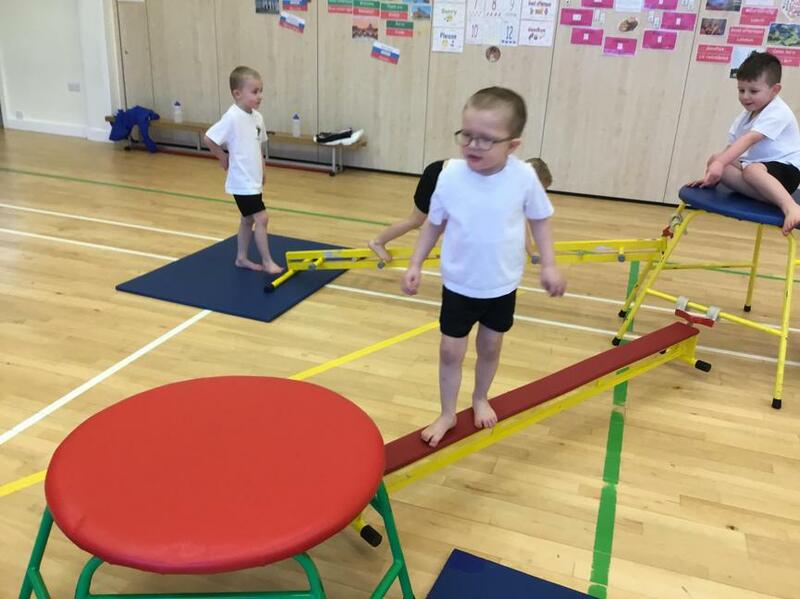 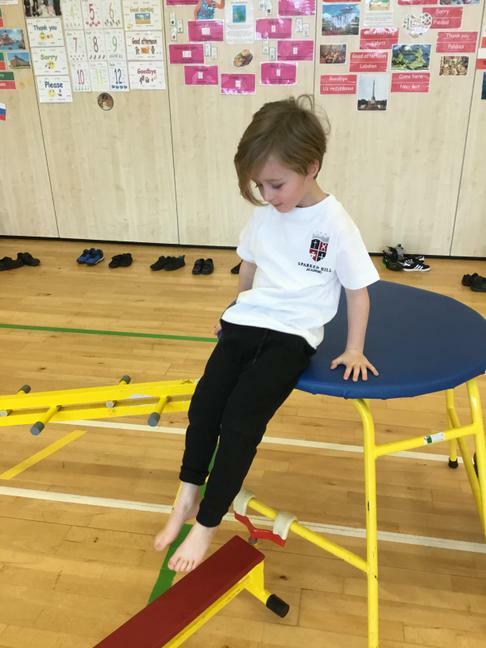 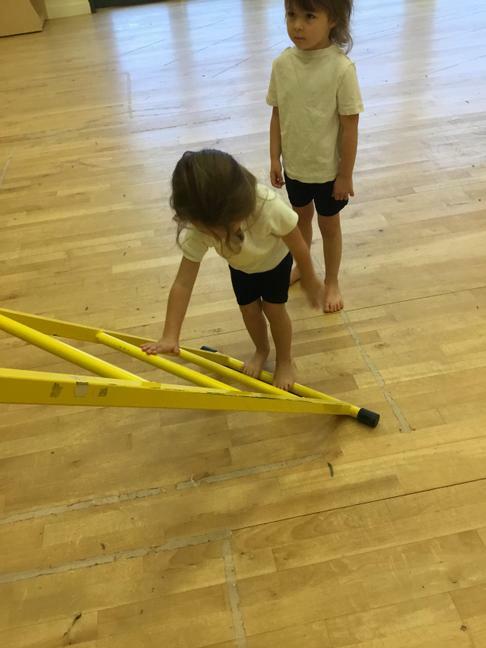 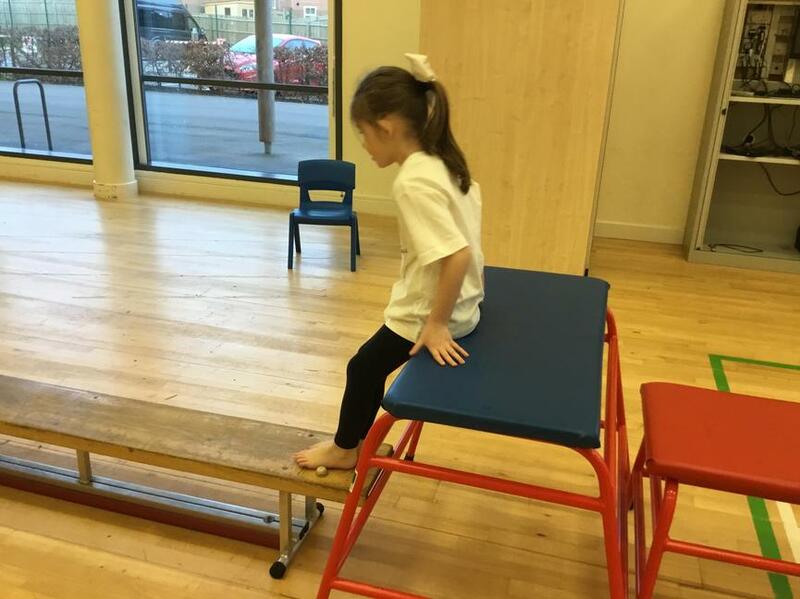 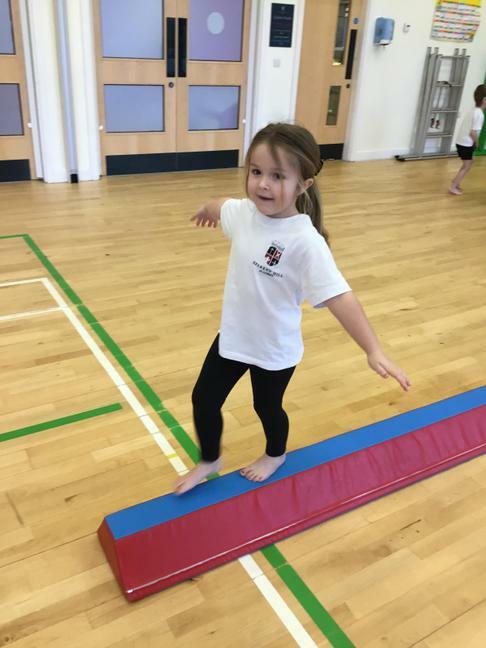 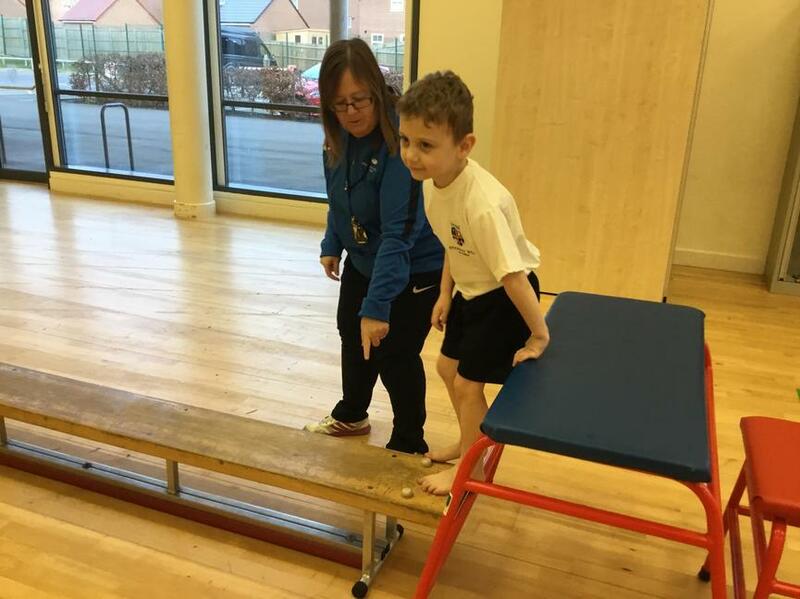 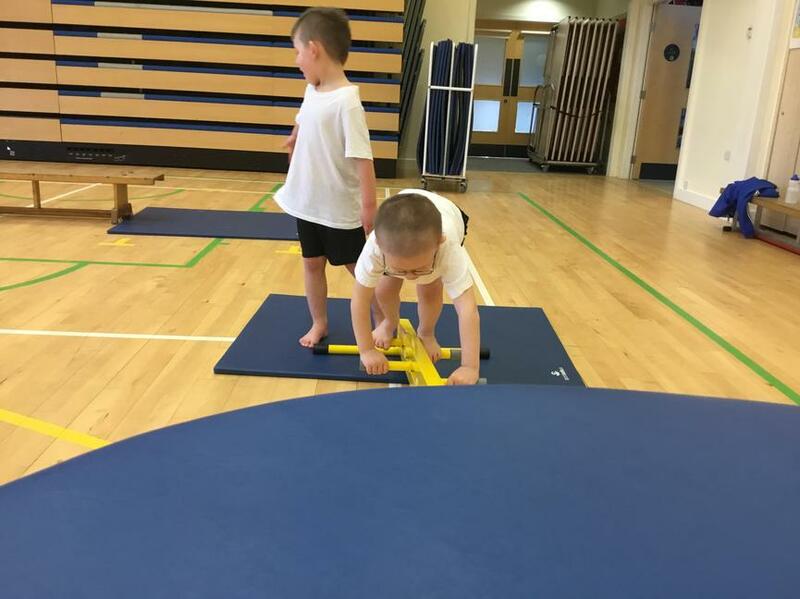 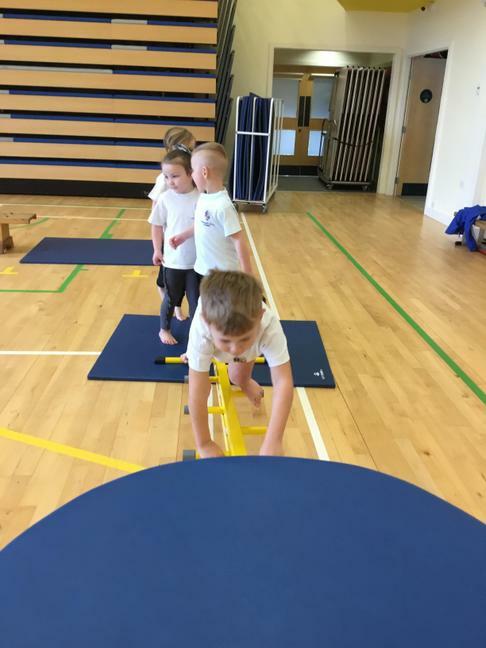 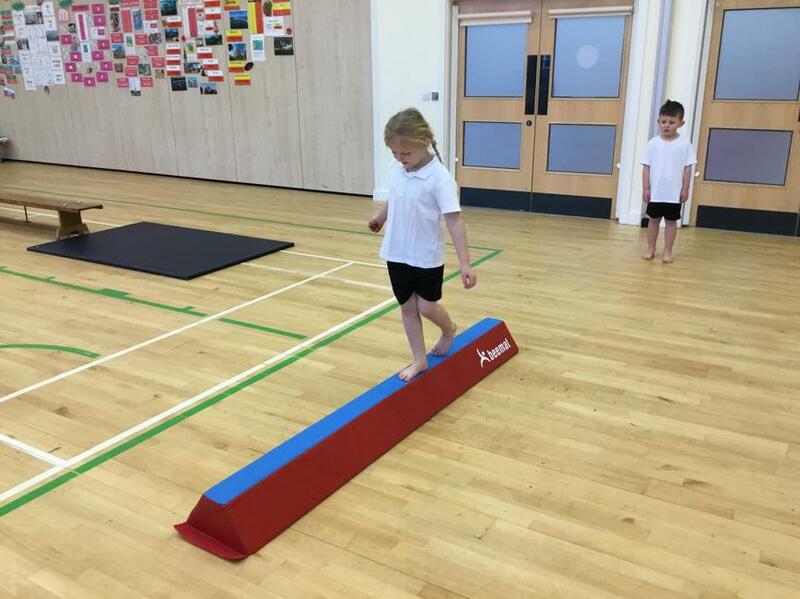 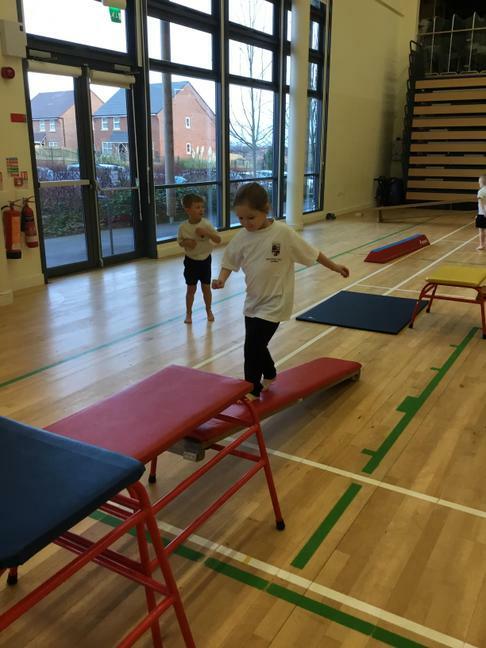 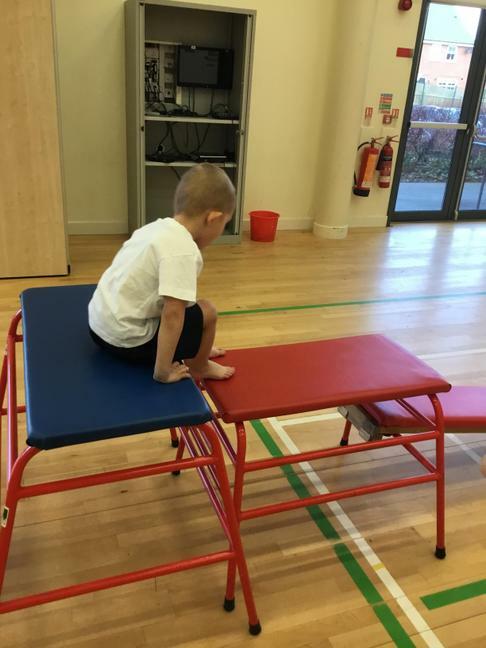 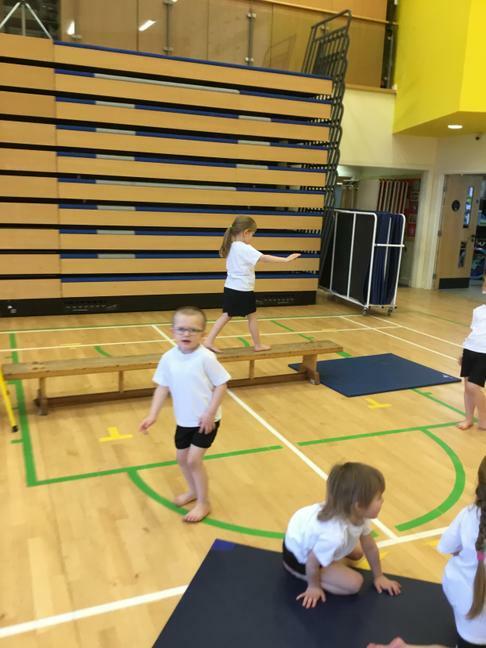 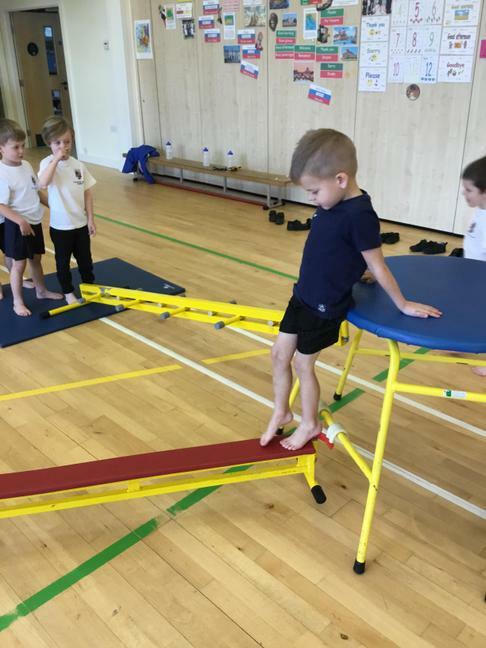 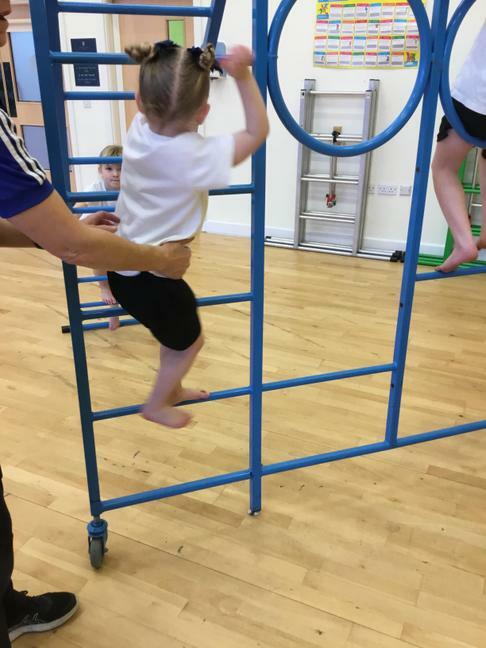 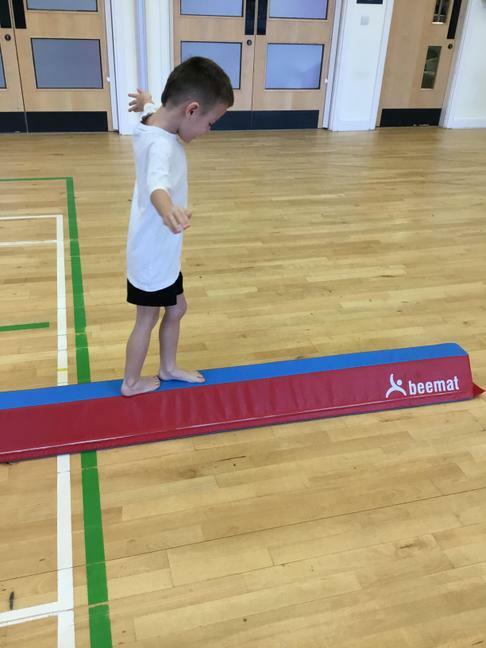 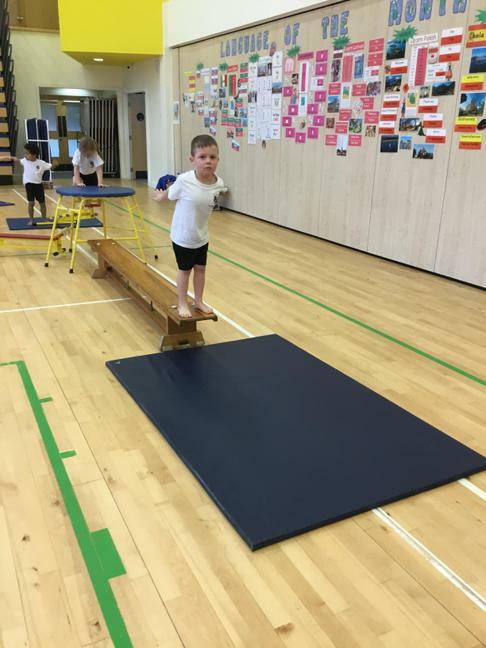 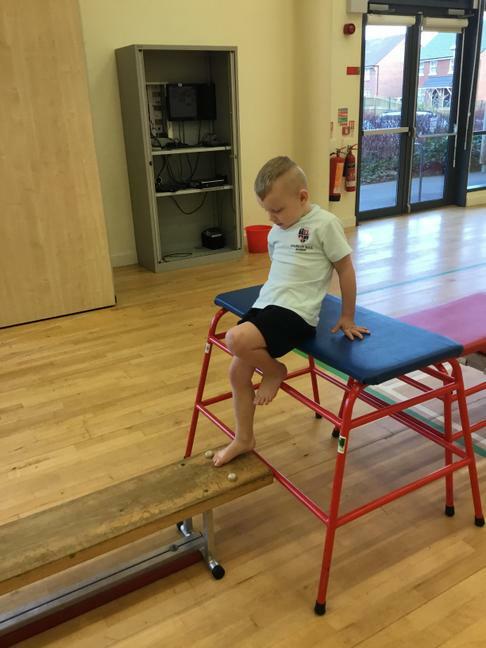 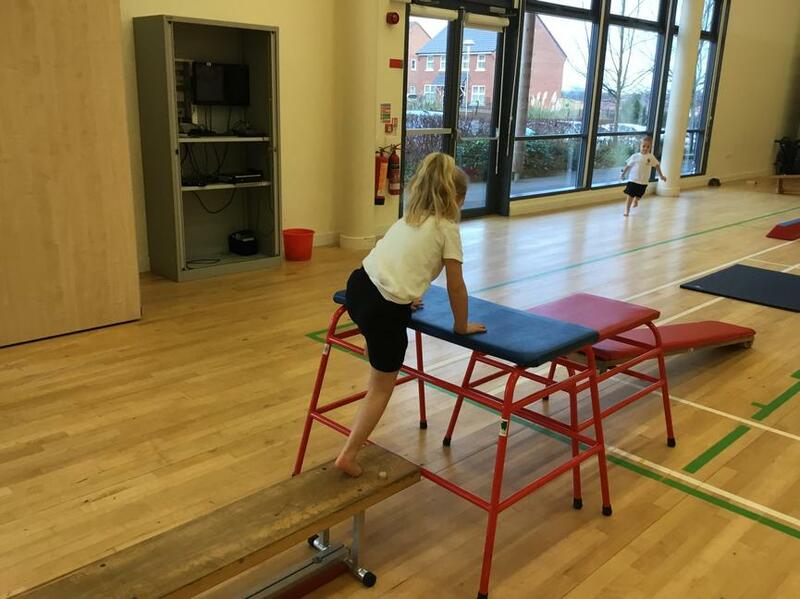 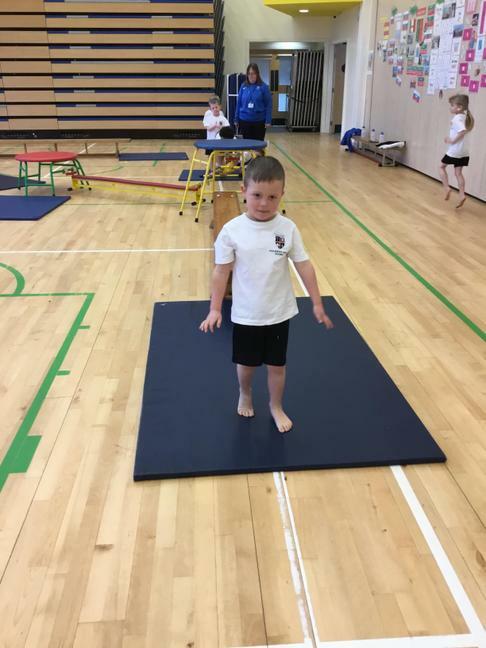 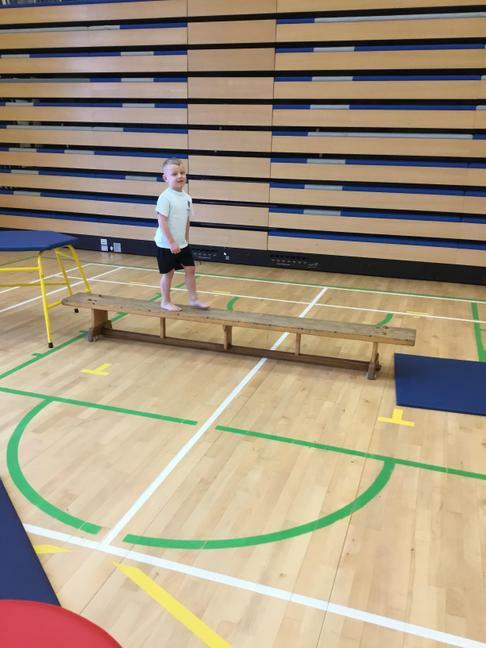 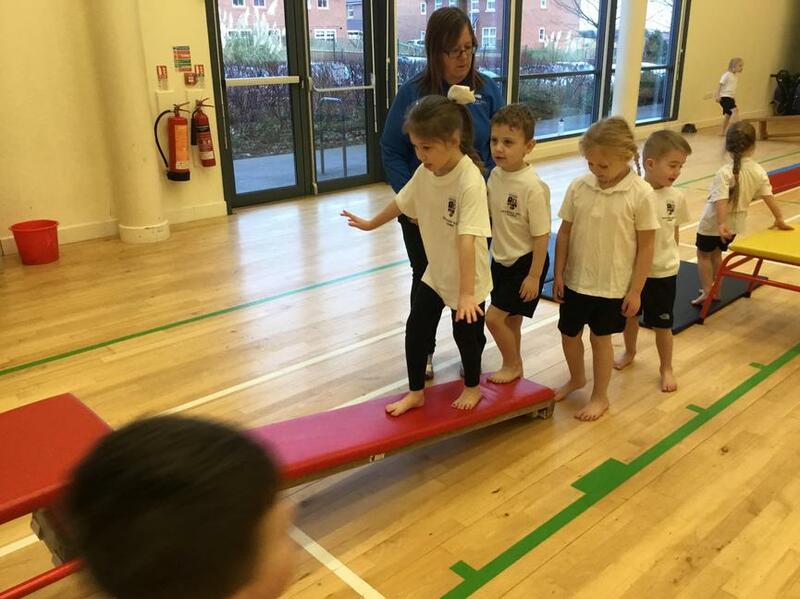 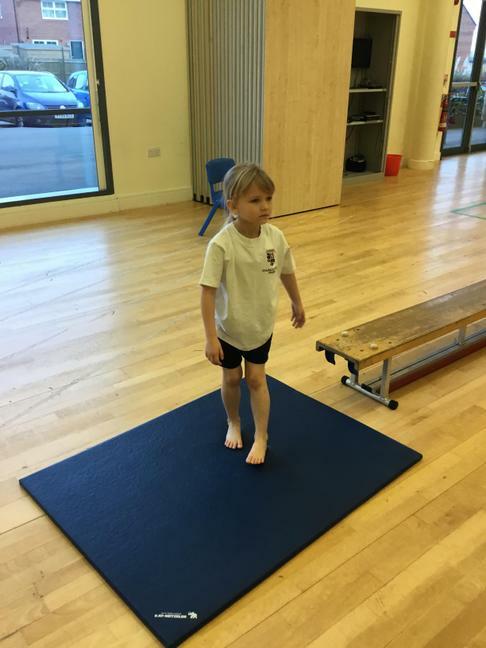 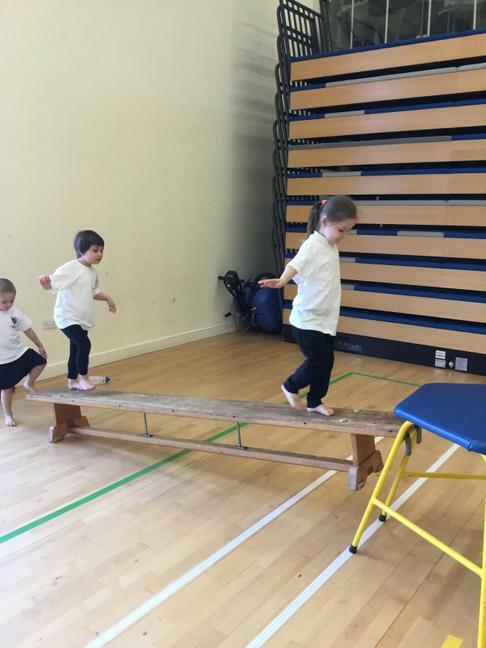 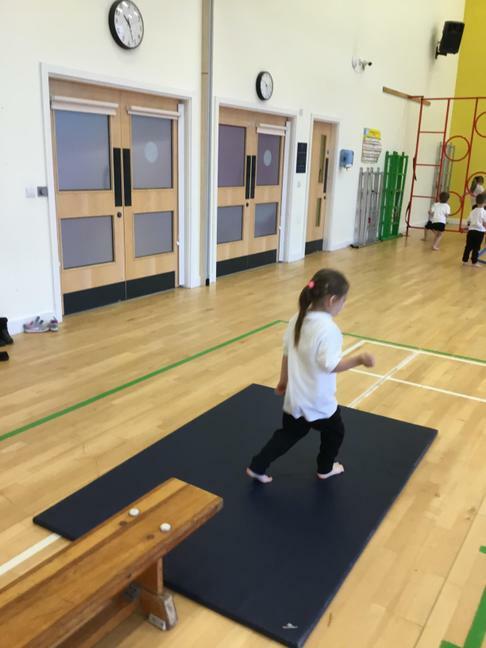 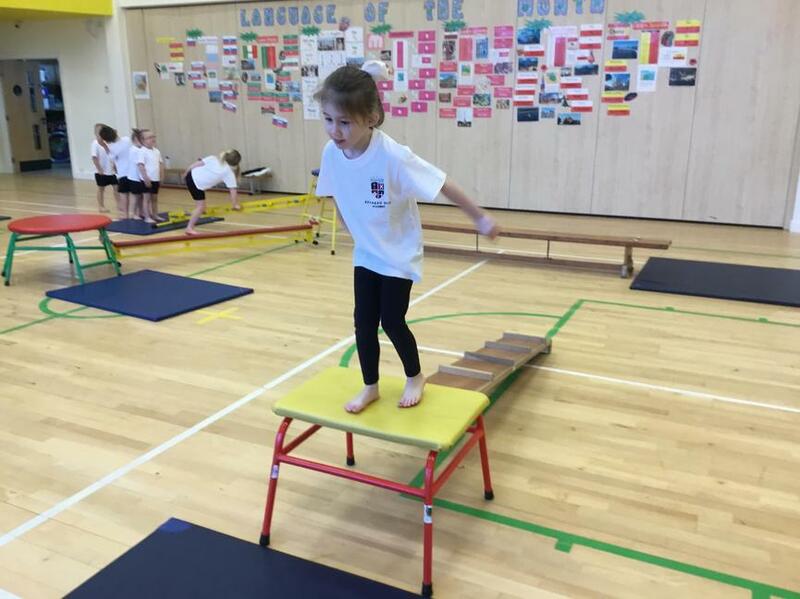 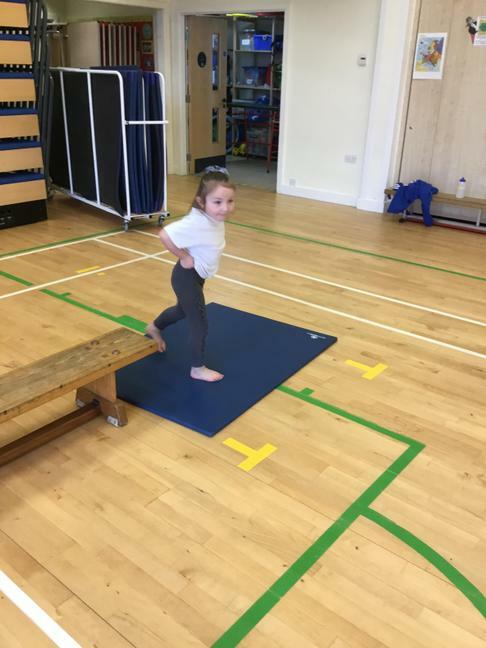 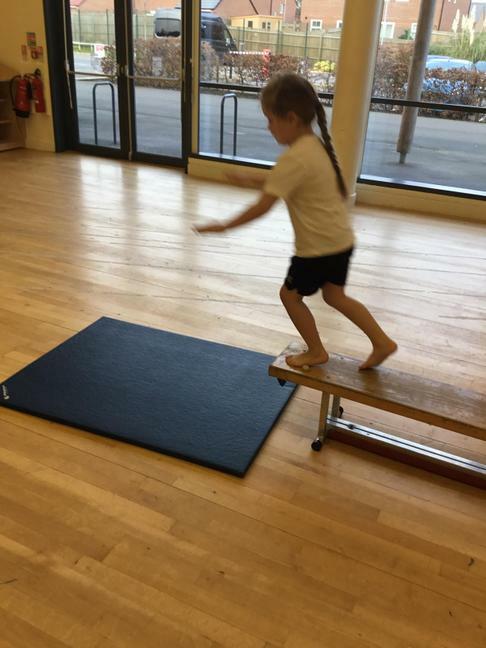 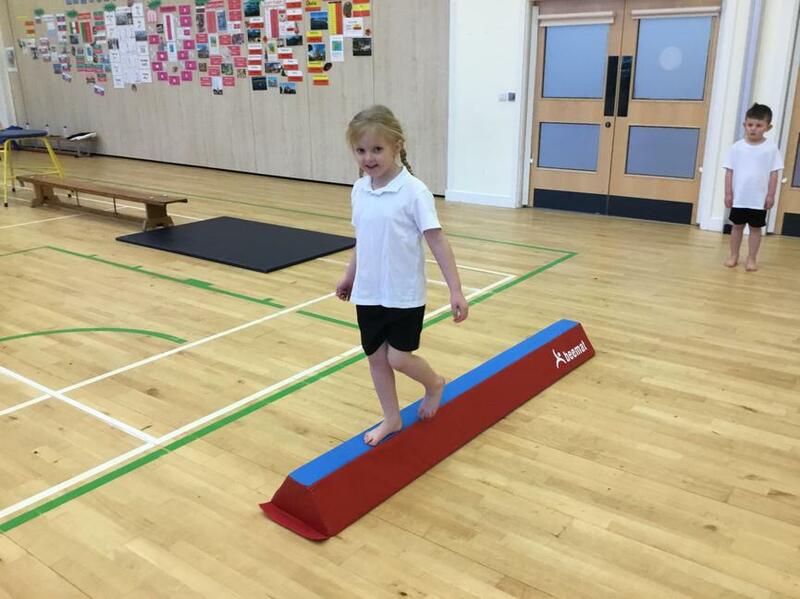 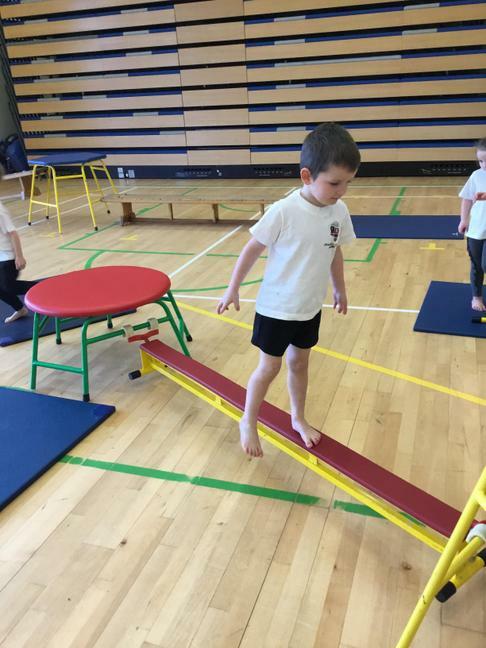 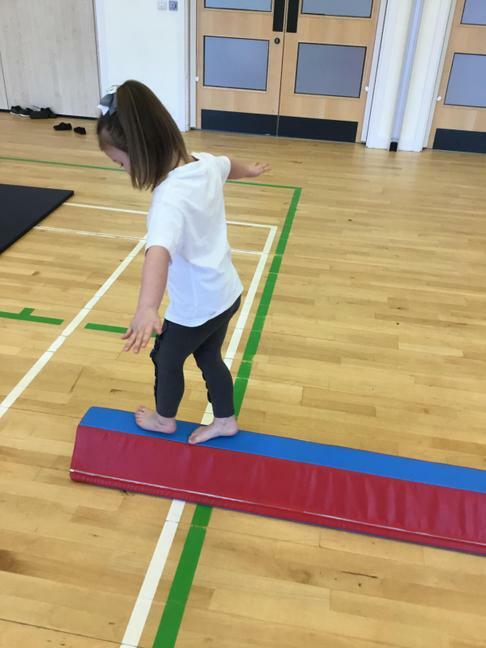 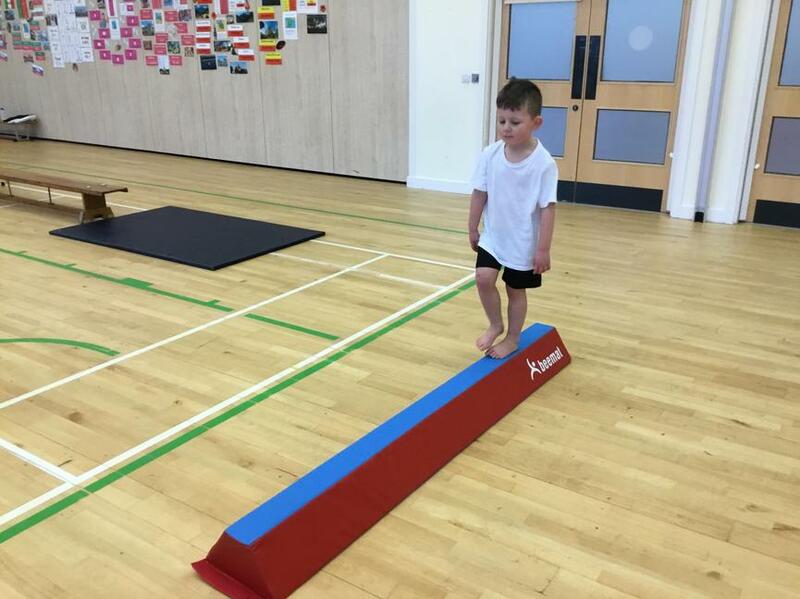 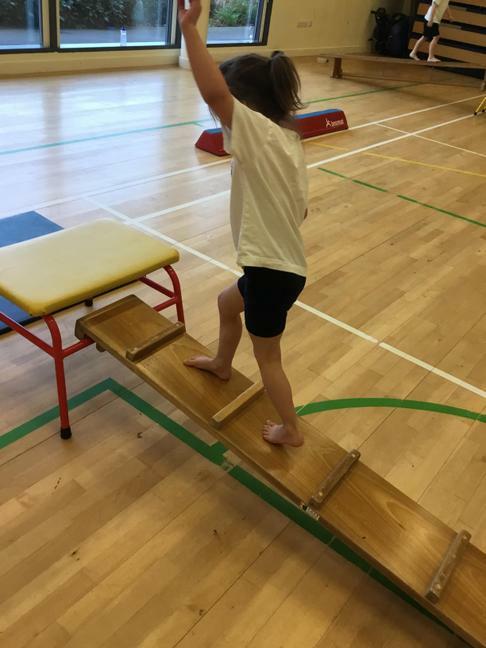 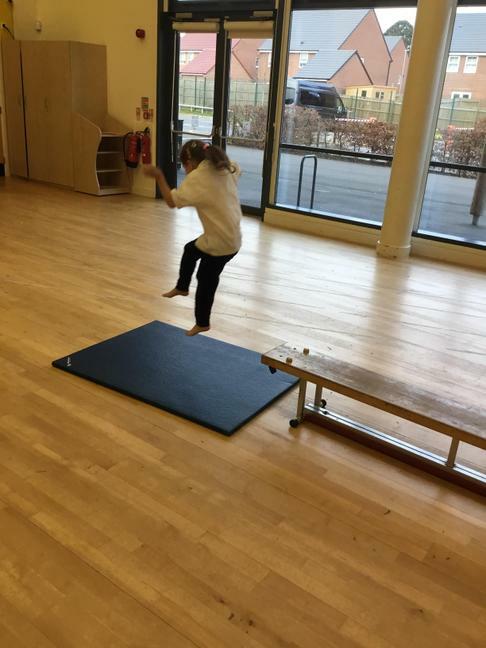 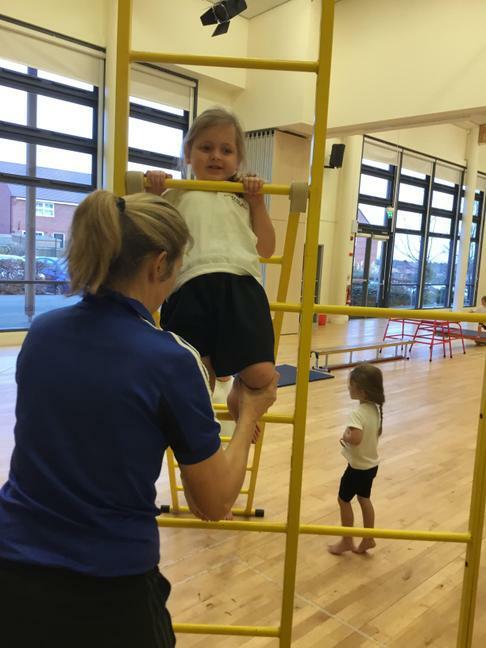 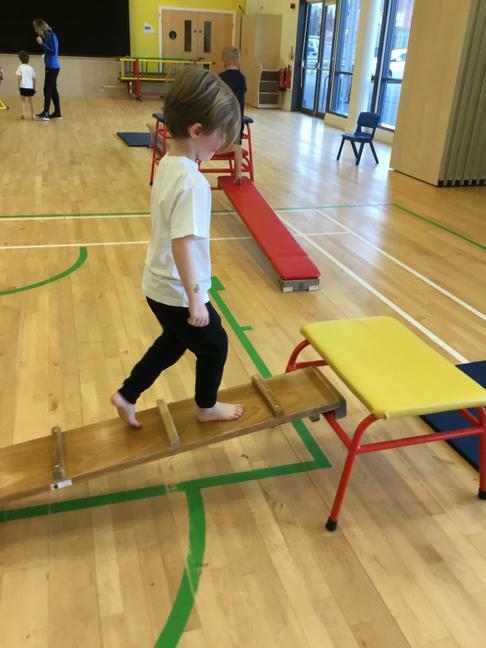 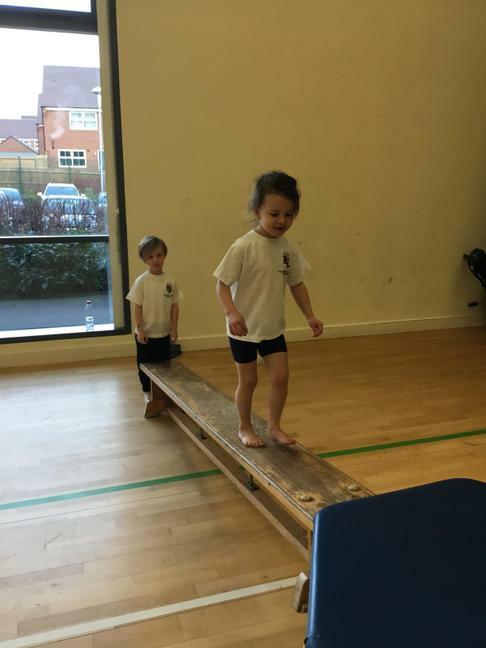 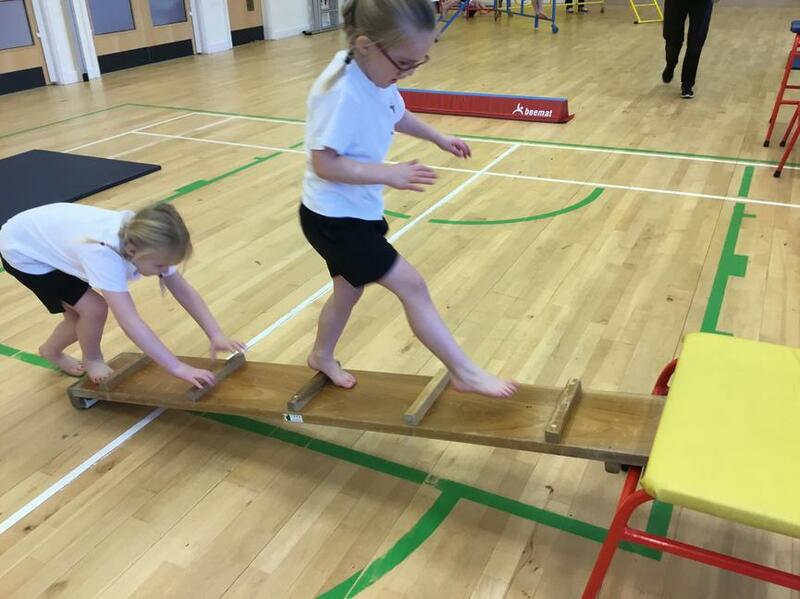 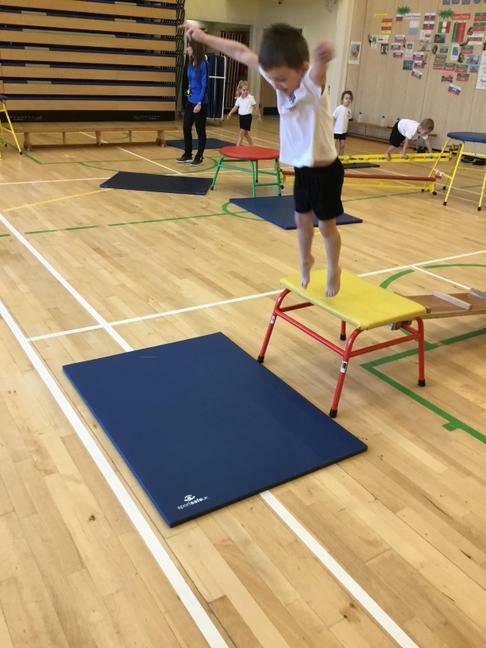 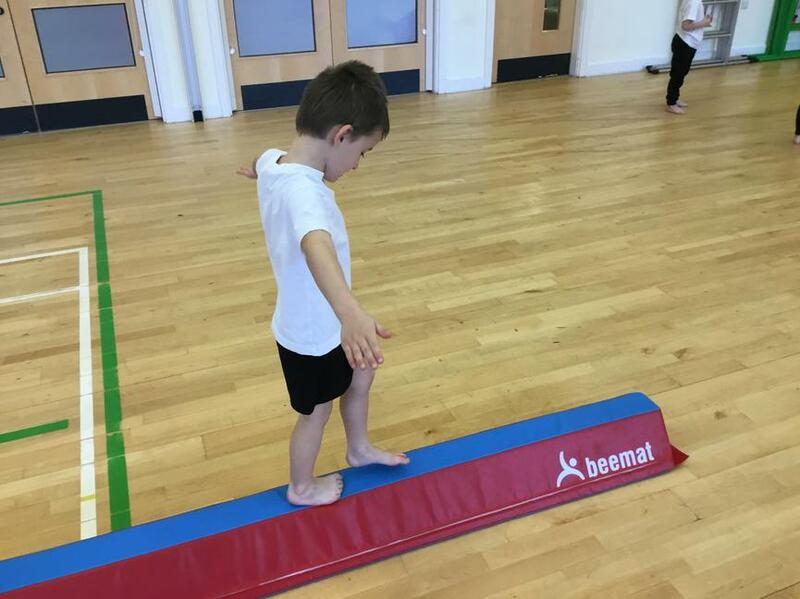 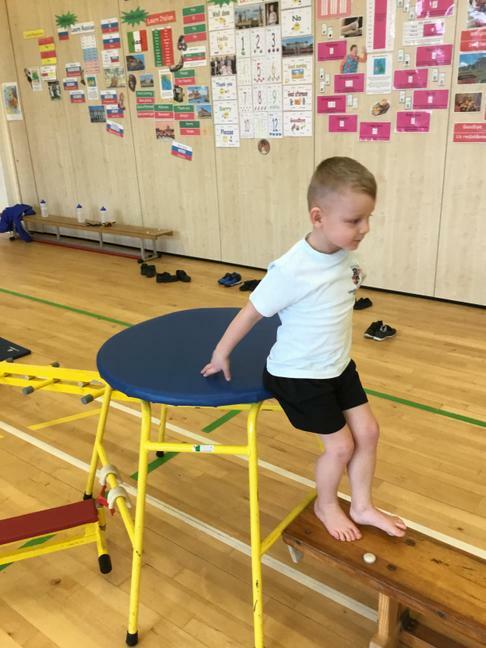 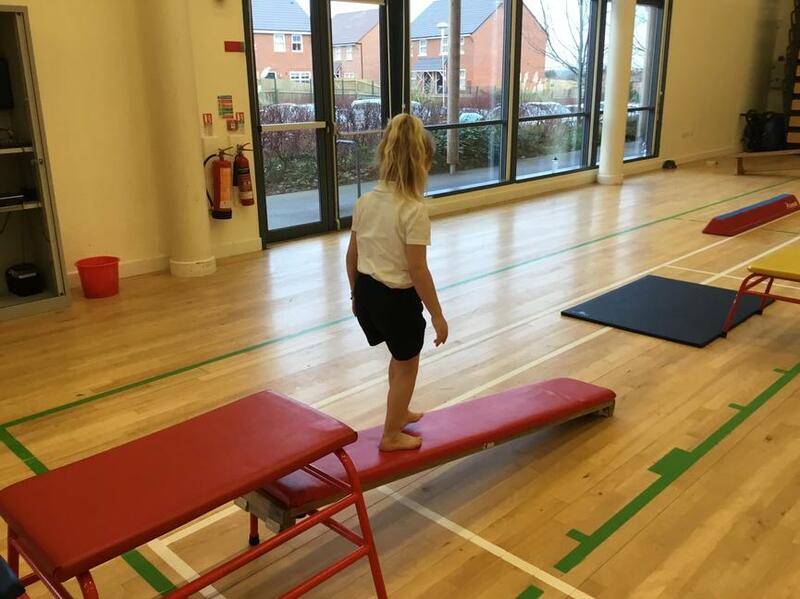 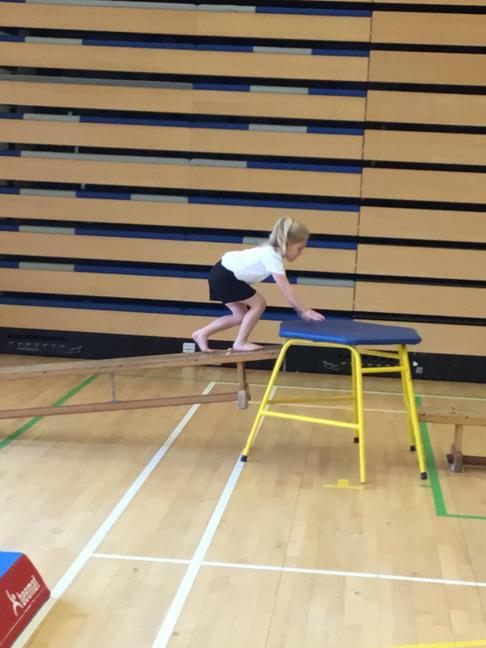 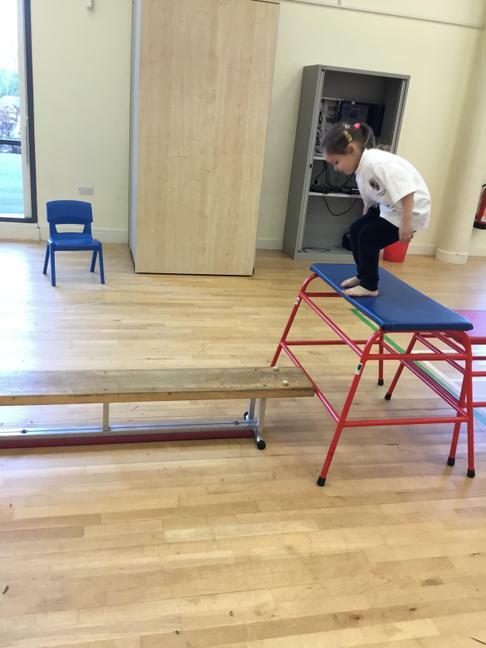 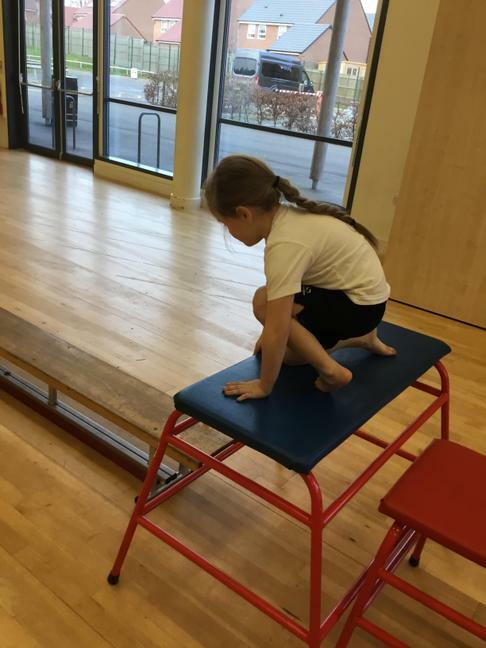 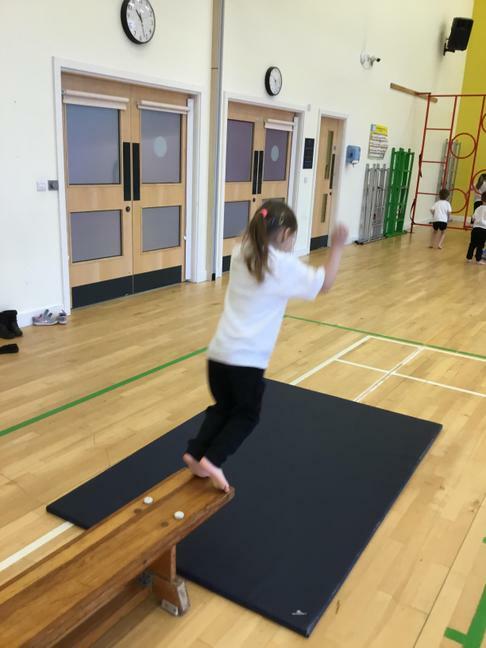 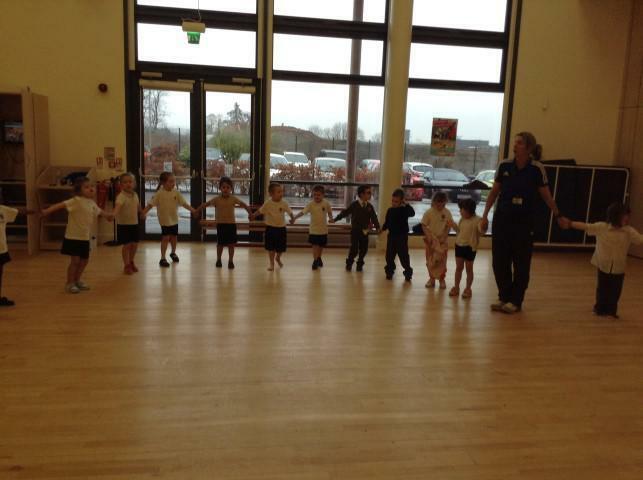 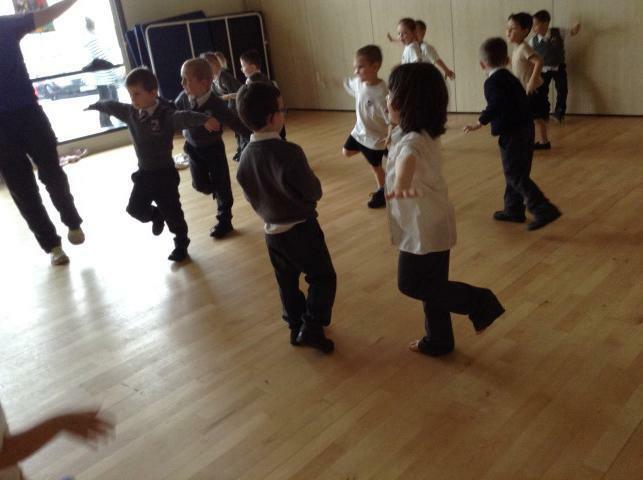 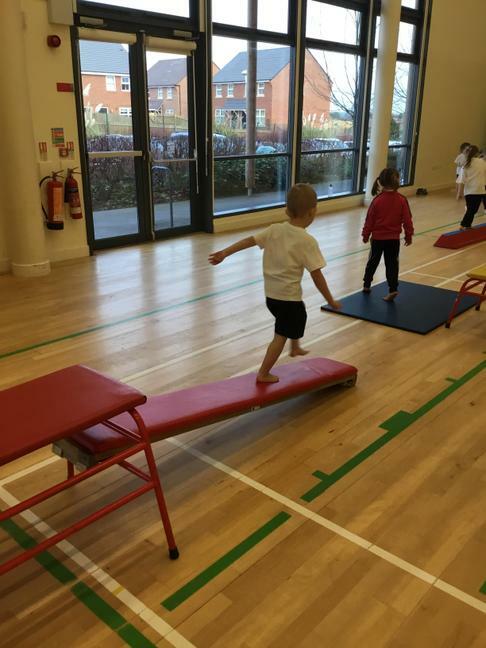 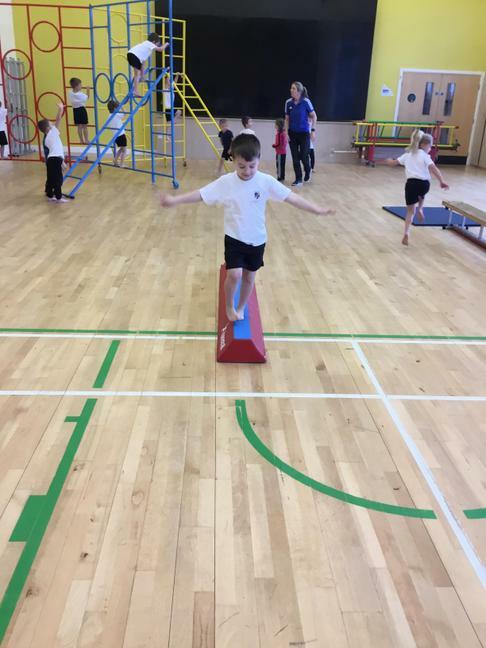 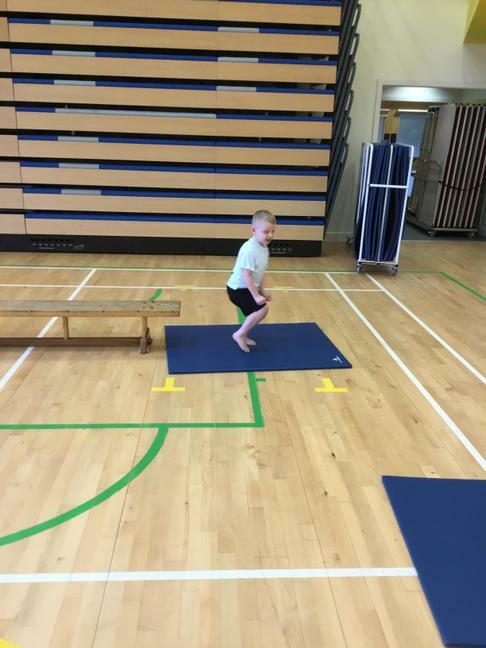 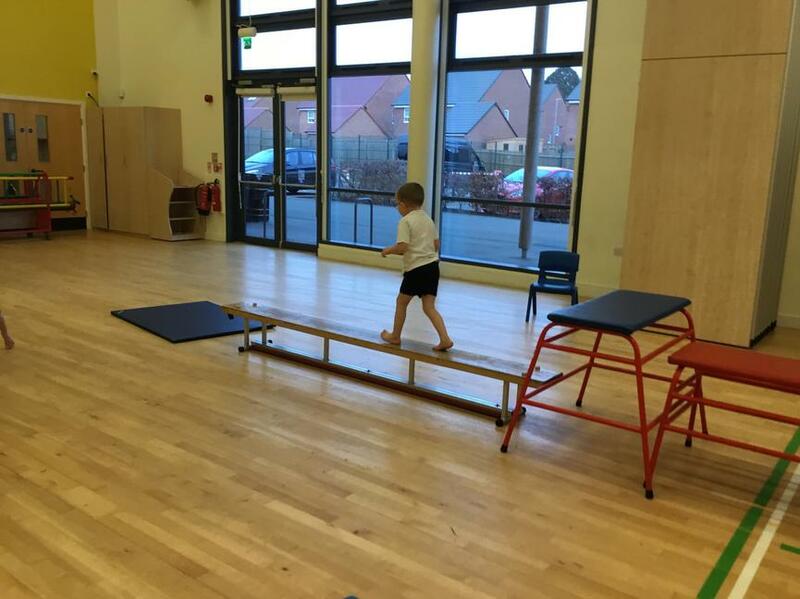 We also practised balancing on one leg.